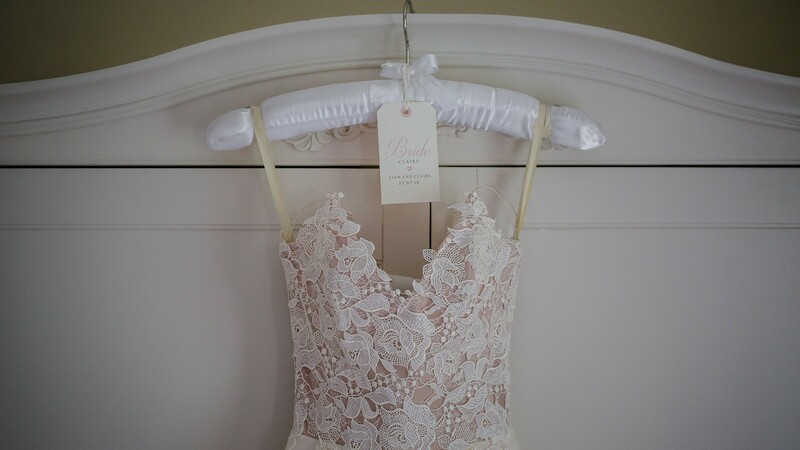 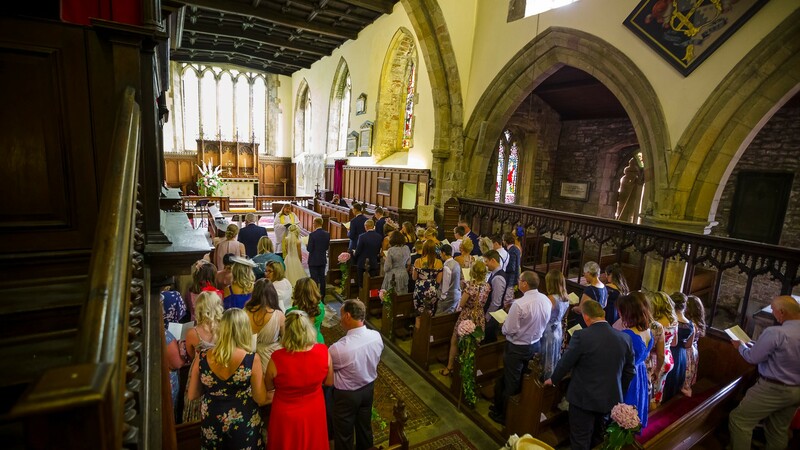 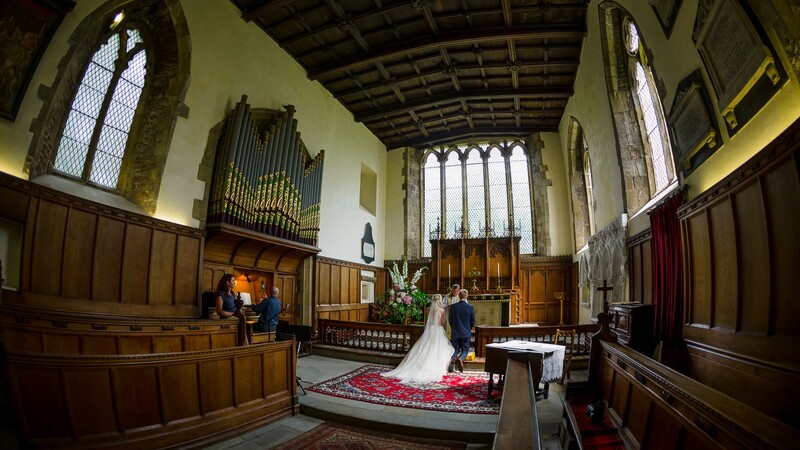 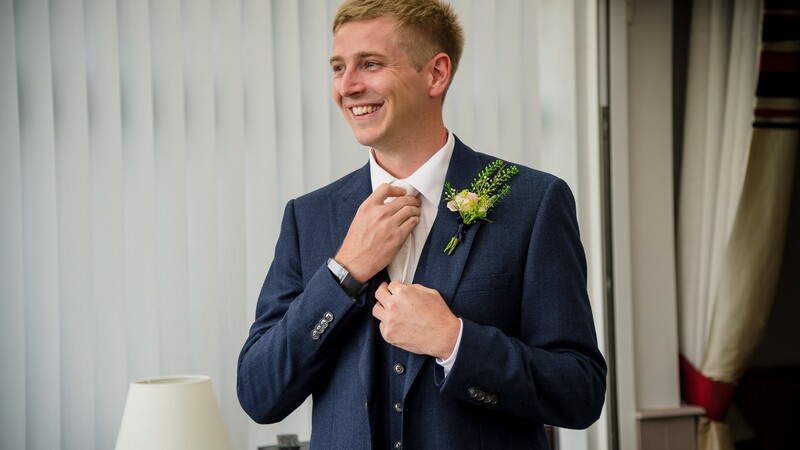 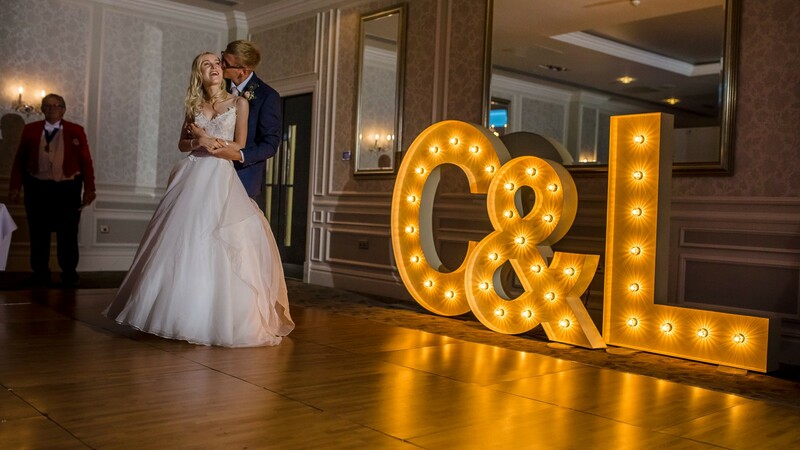 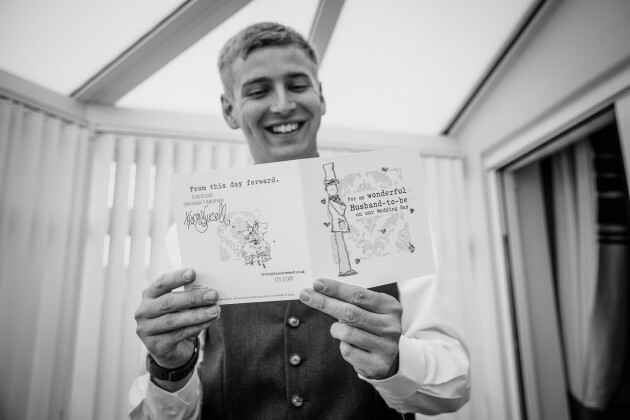 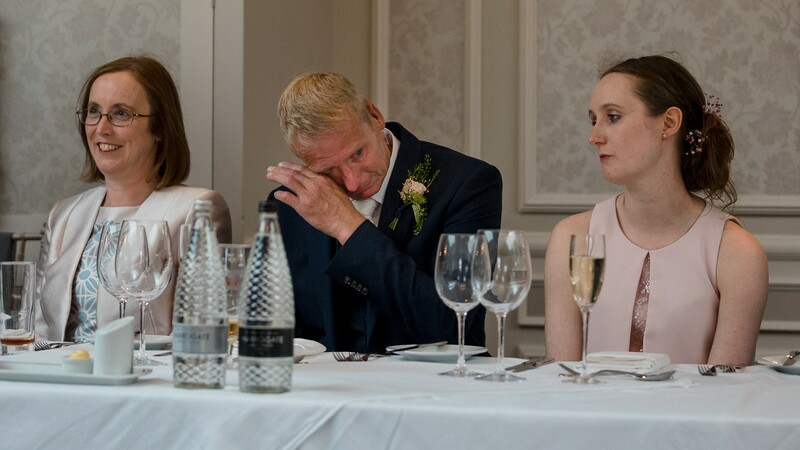 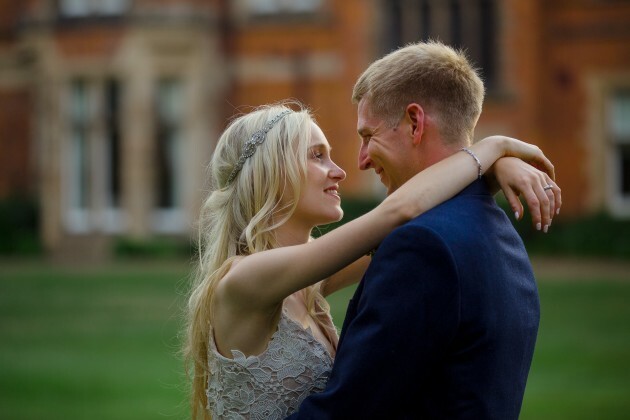 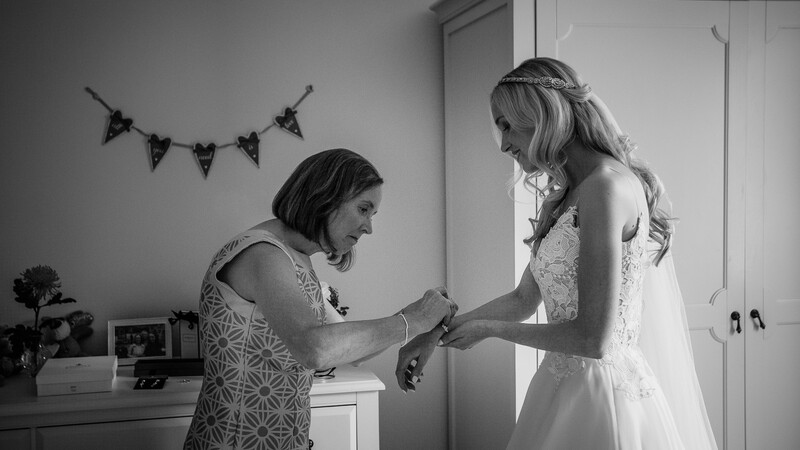 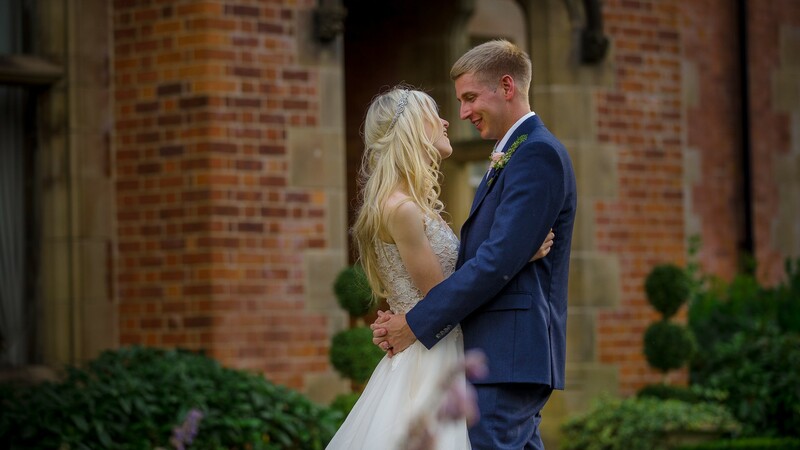 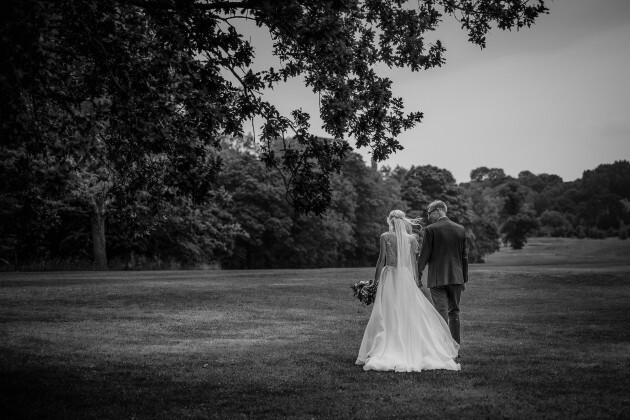 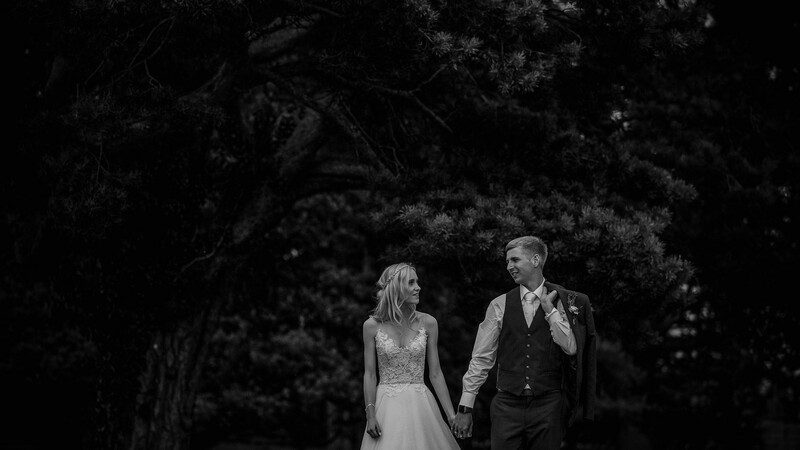 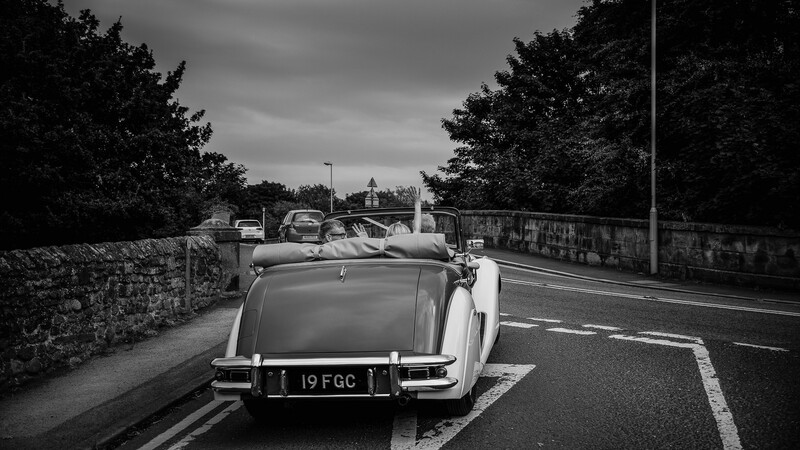 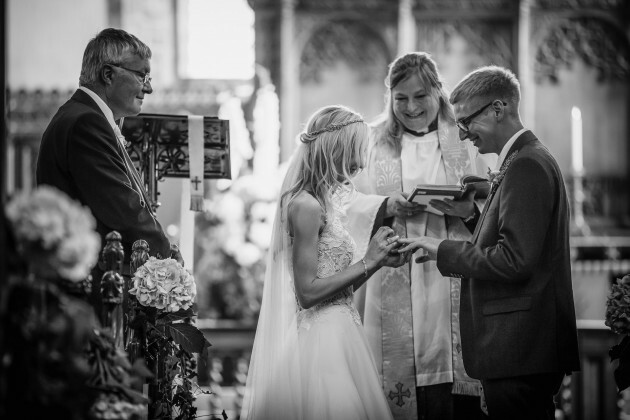 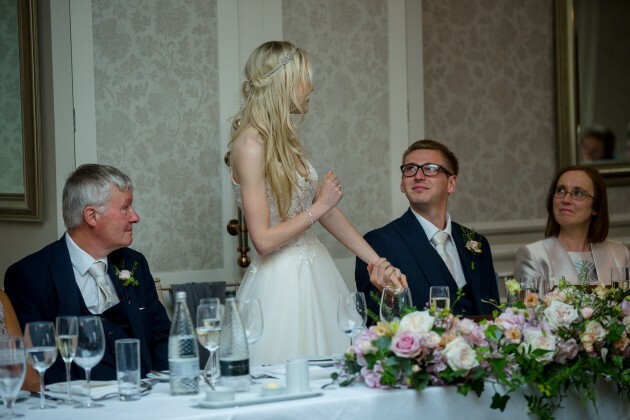 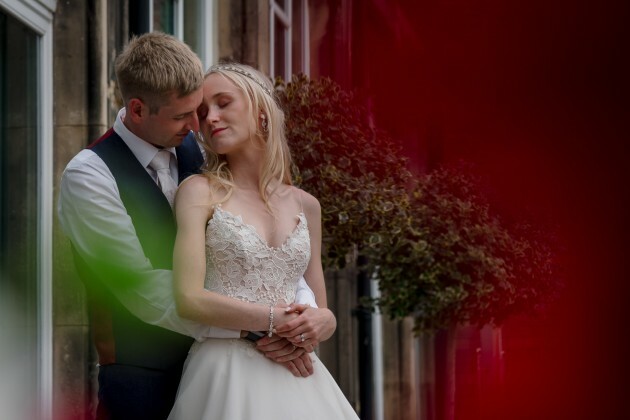 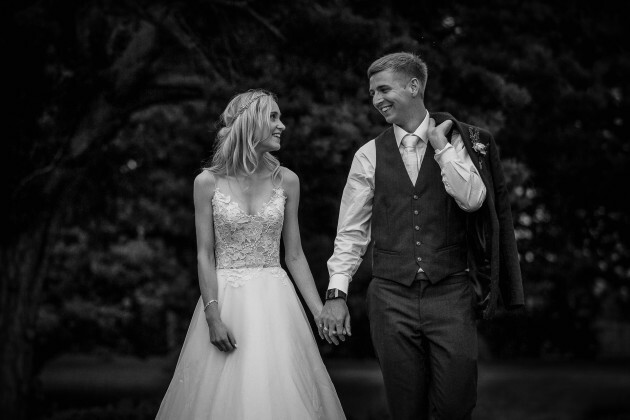 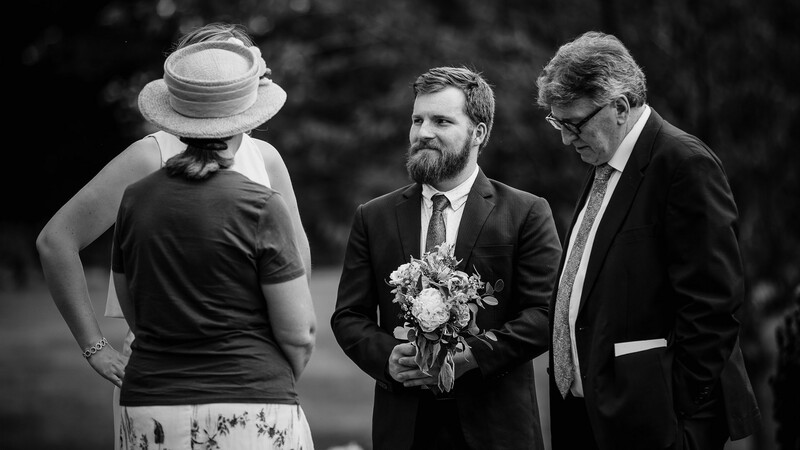 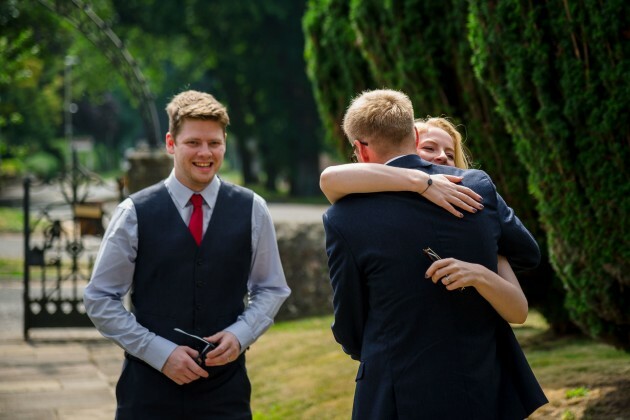 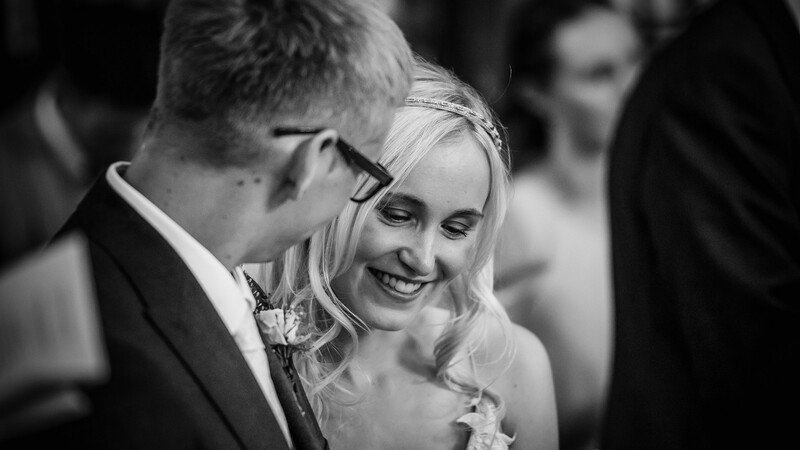 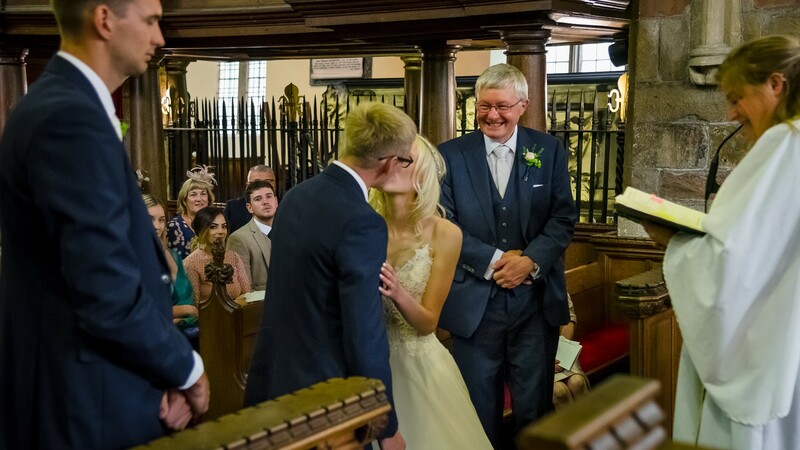 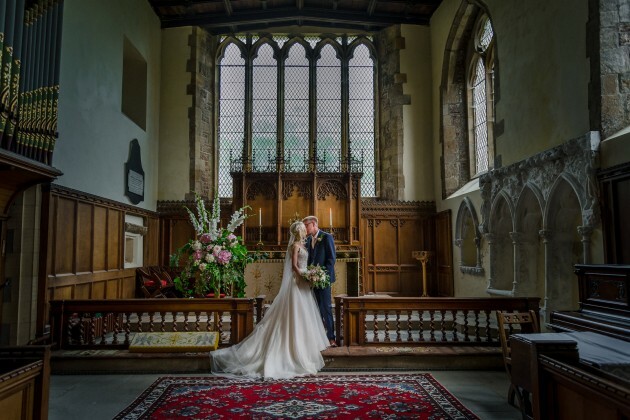 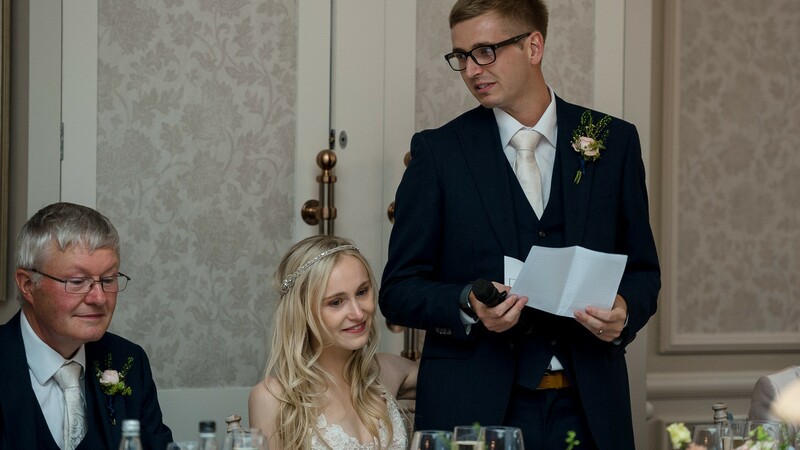 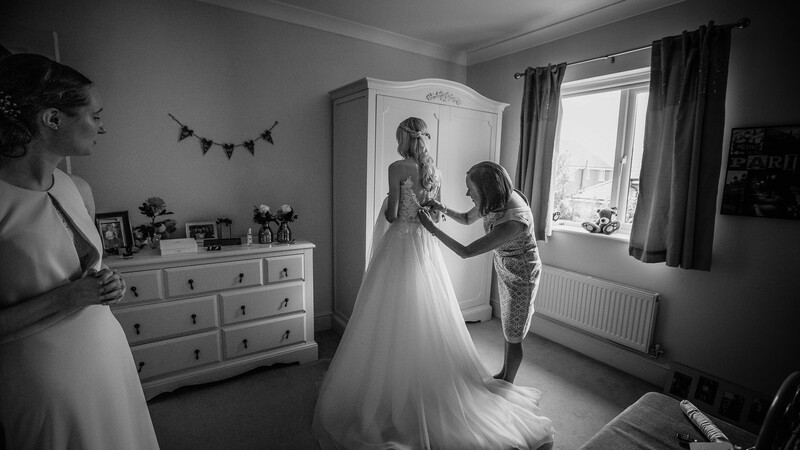 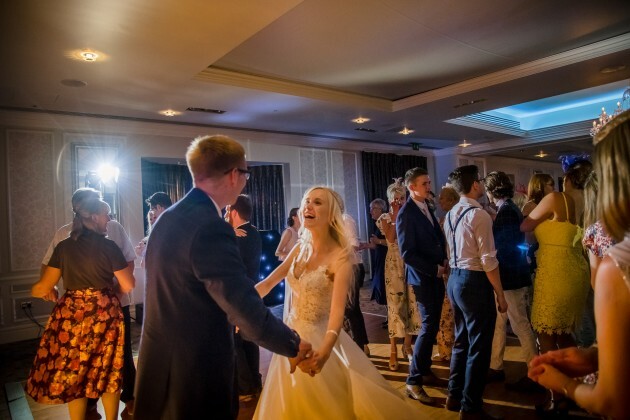 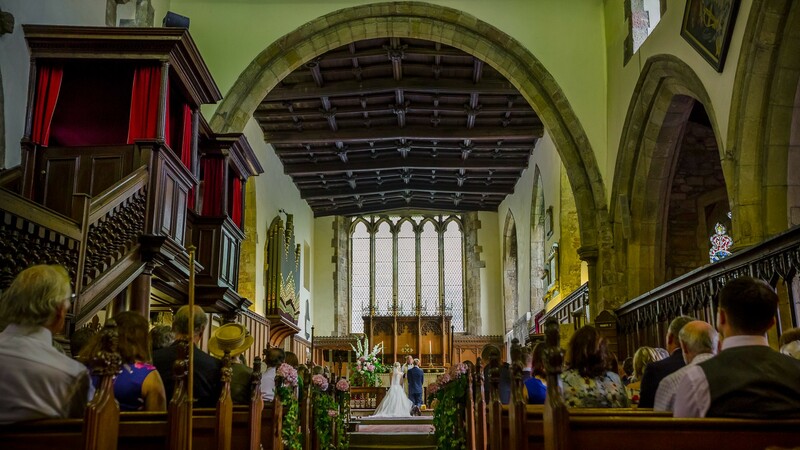 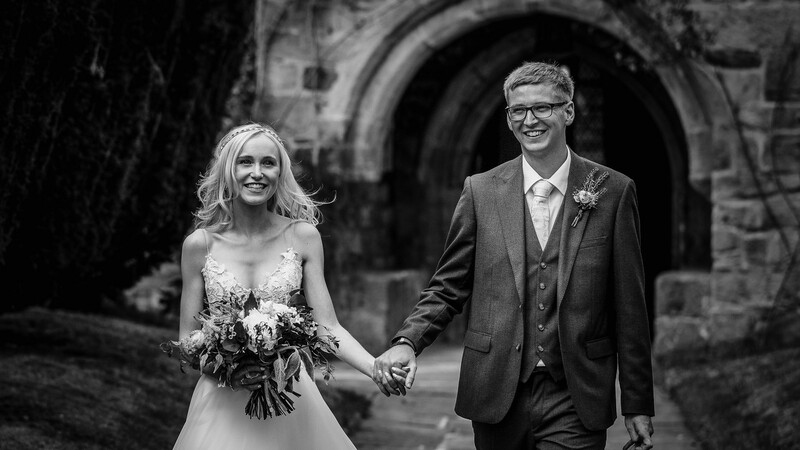 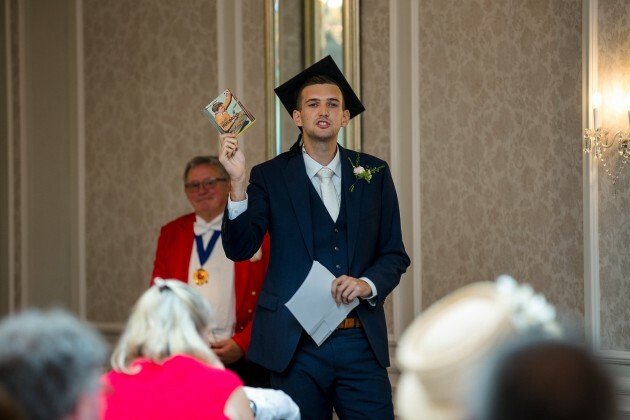 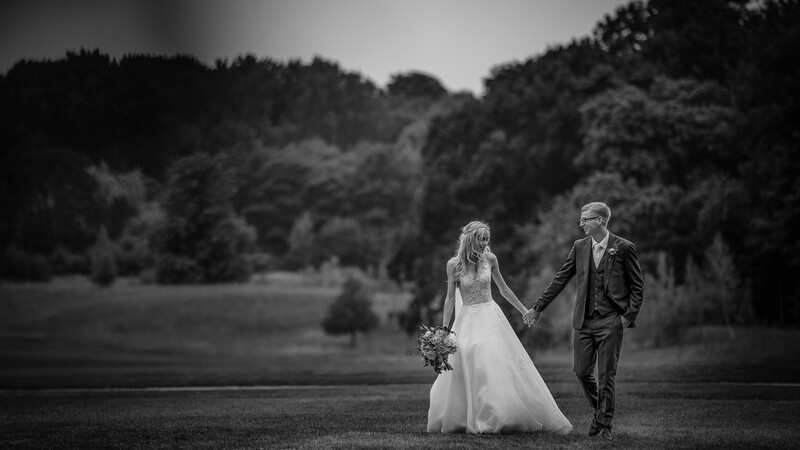 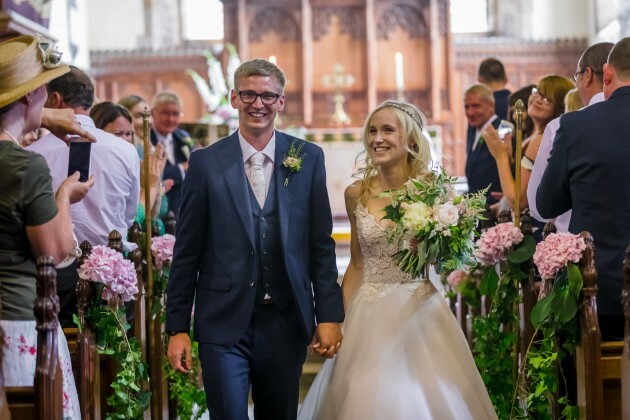 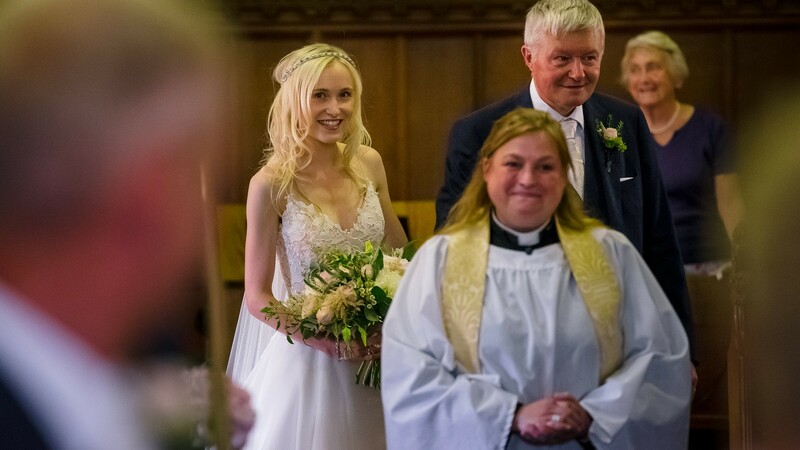 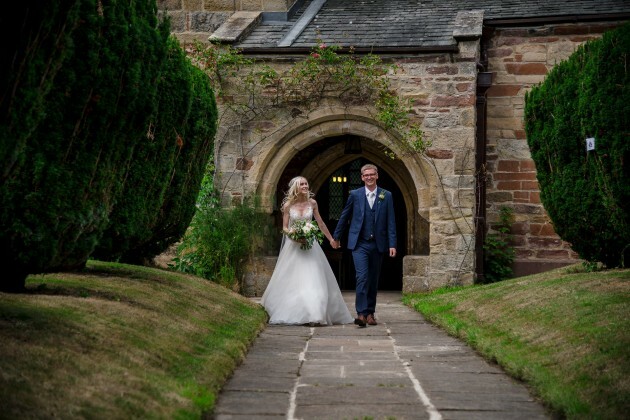 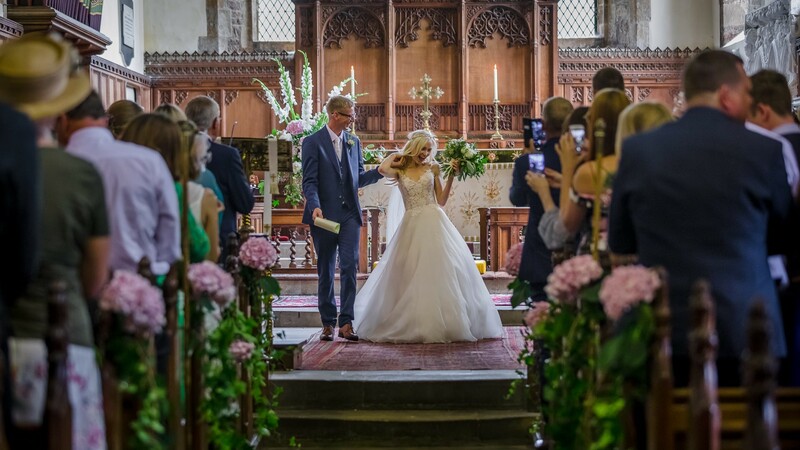 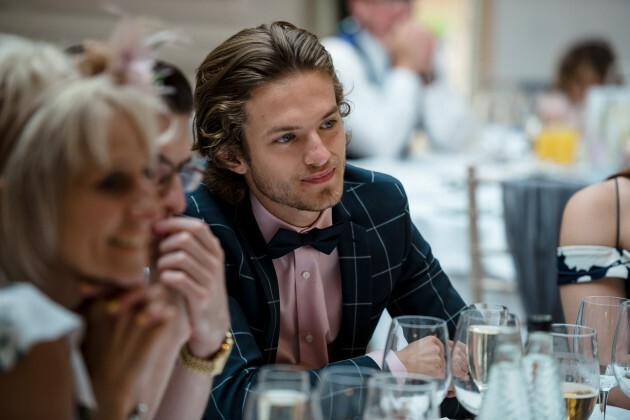 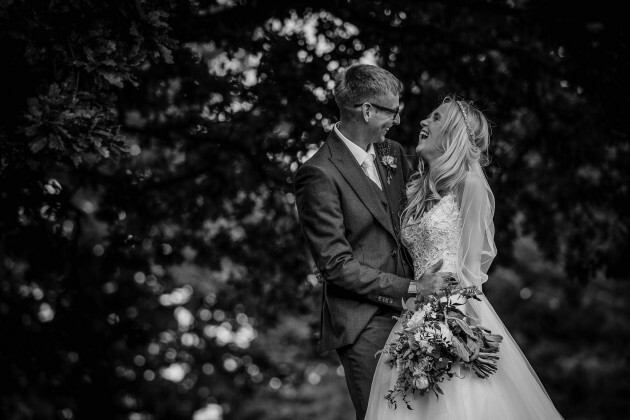 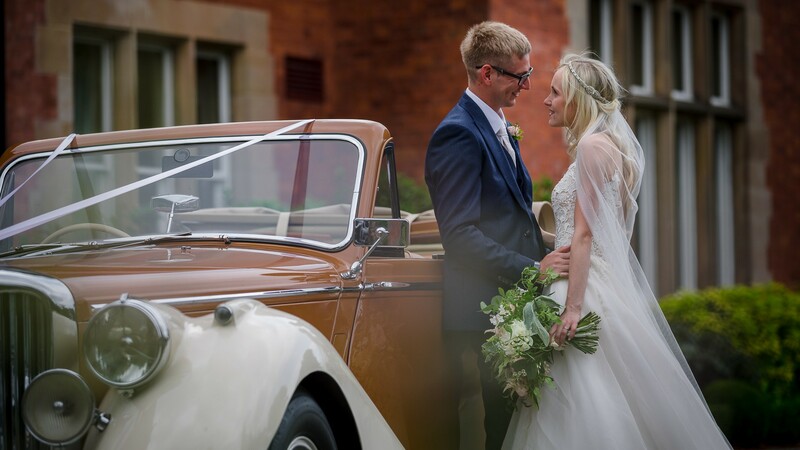 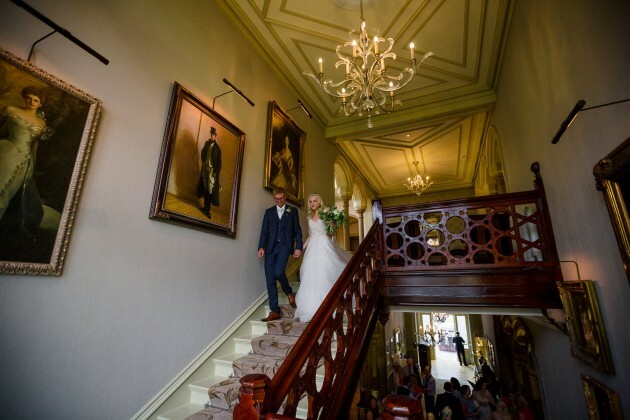 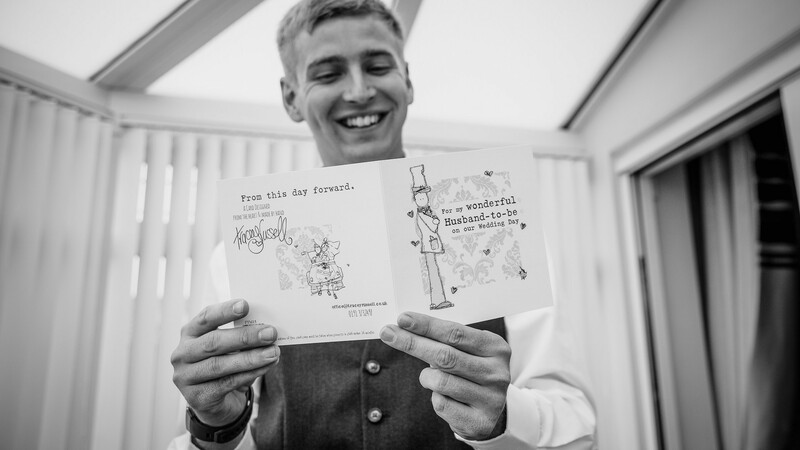 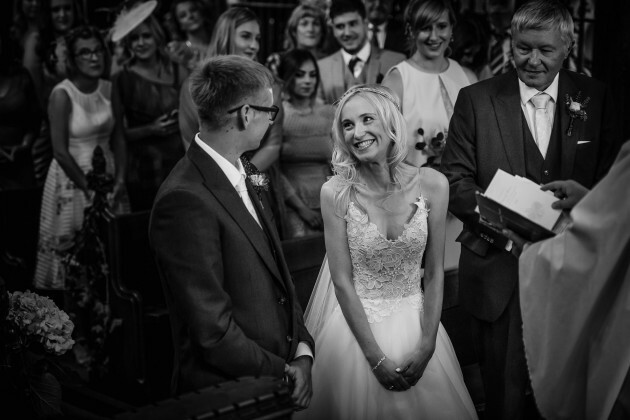 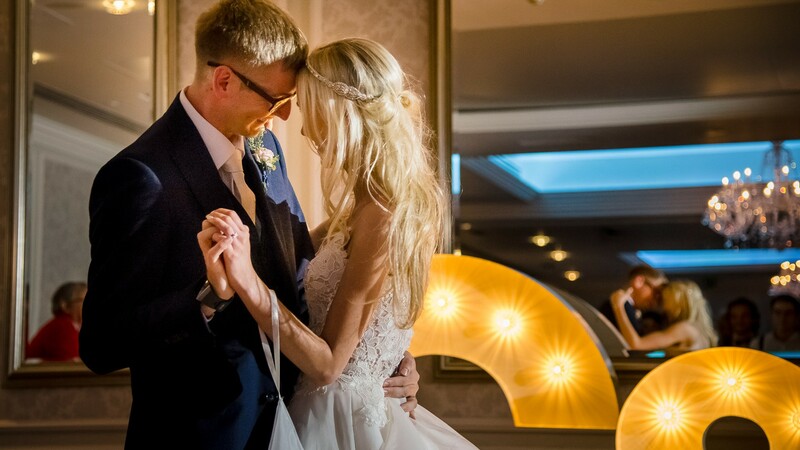 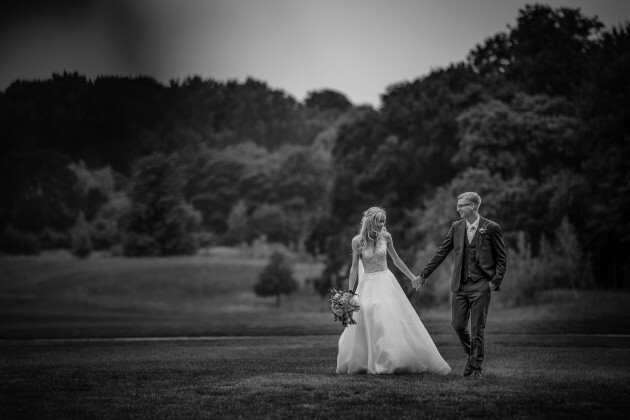 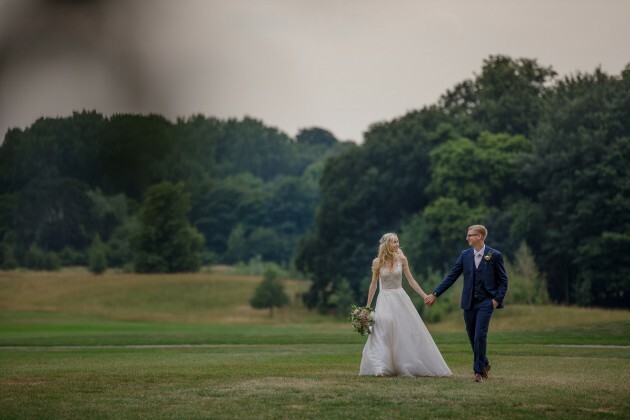 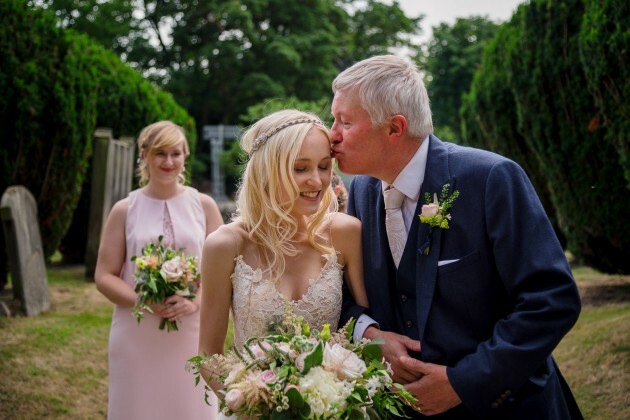 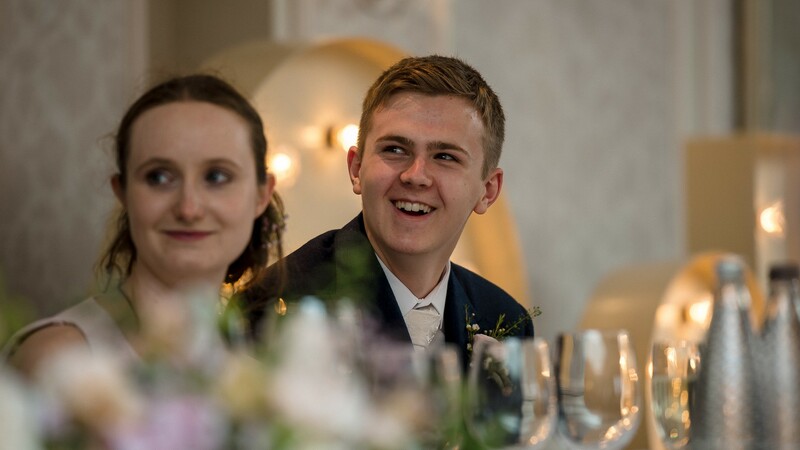 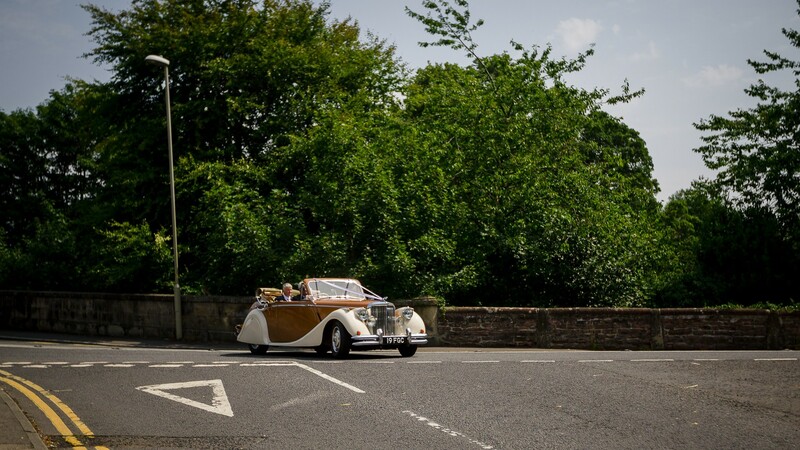 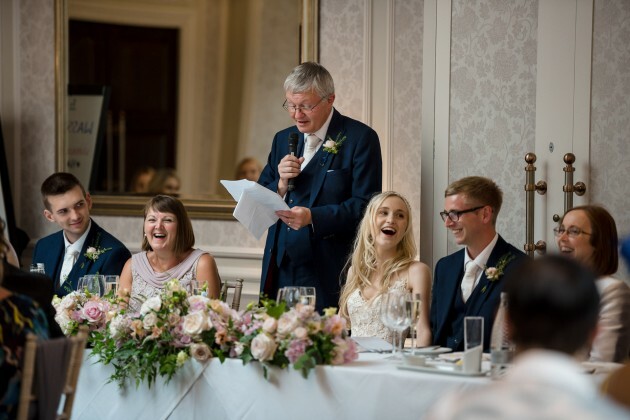 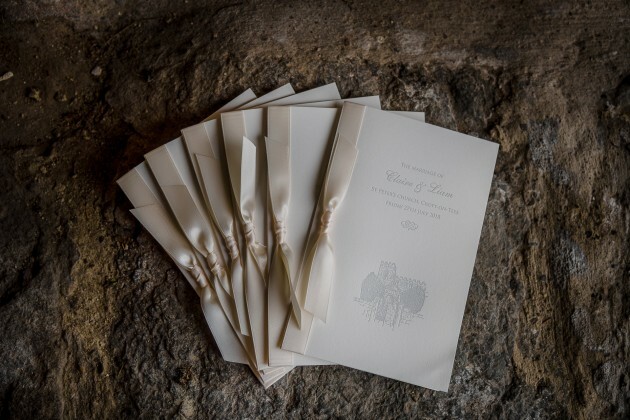 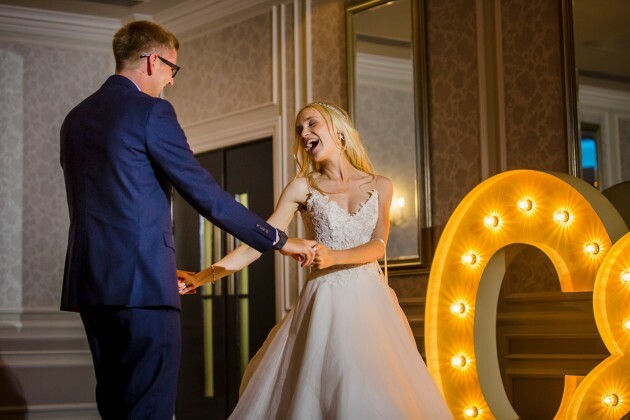 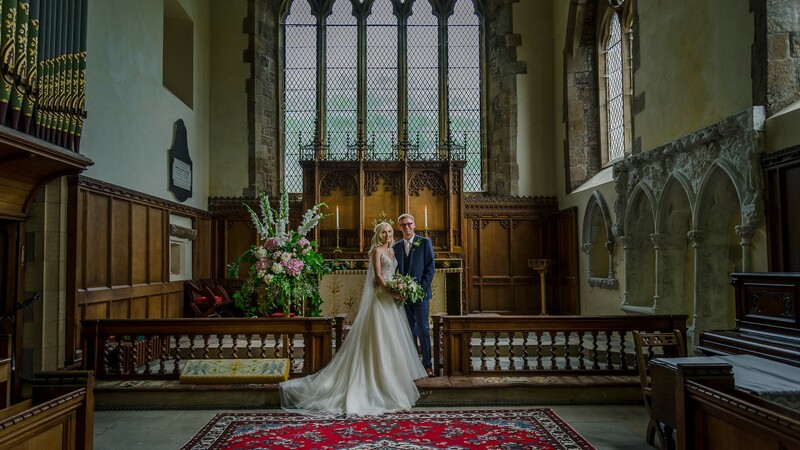 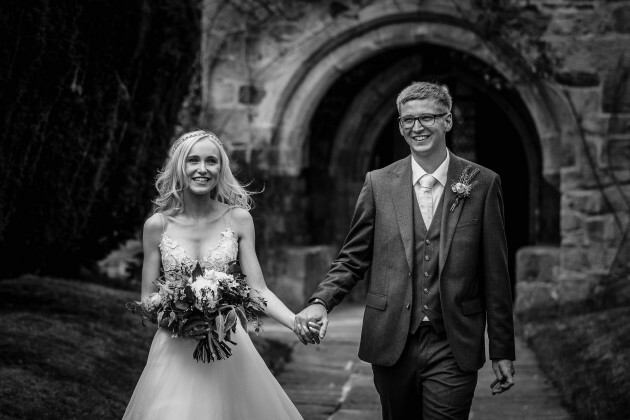 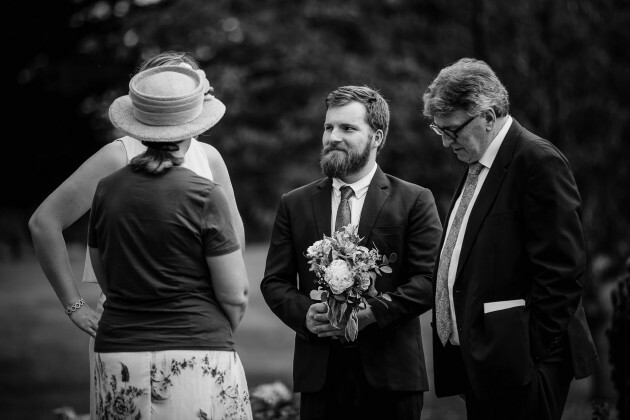 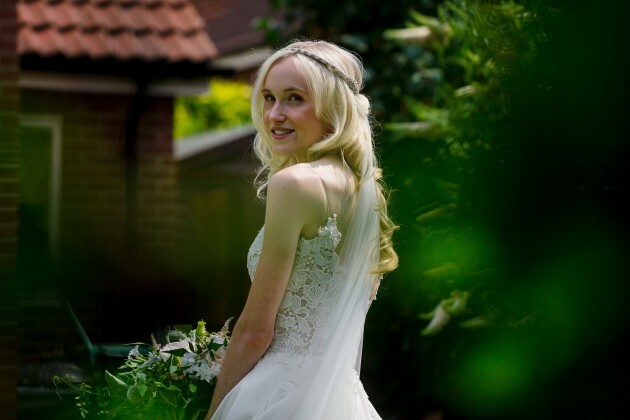 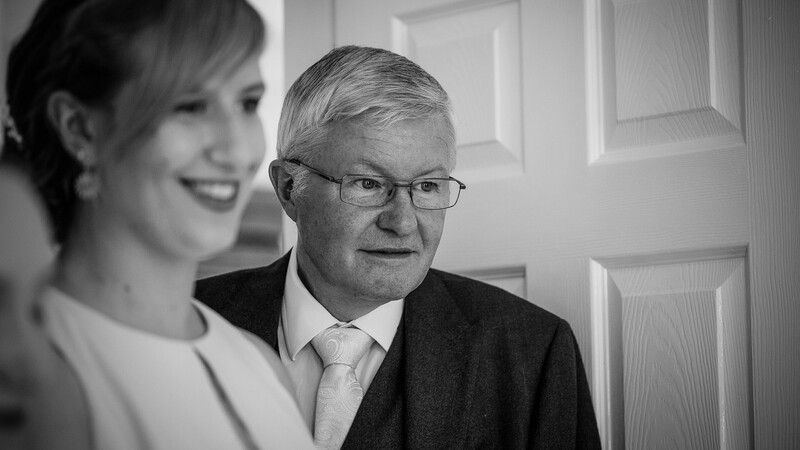 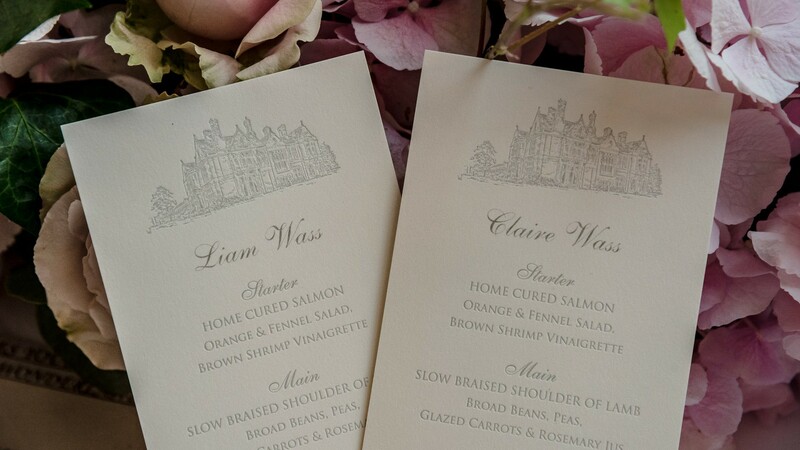 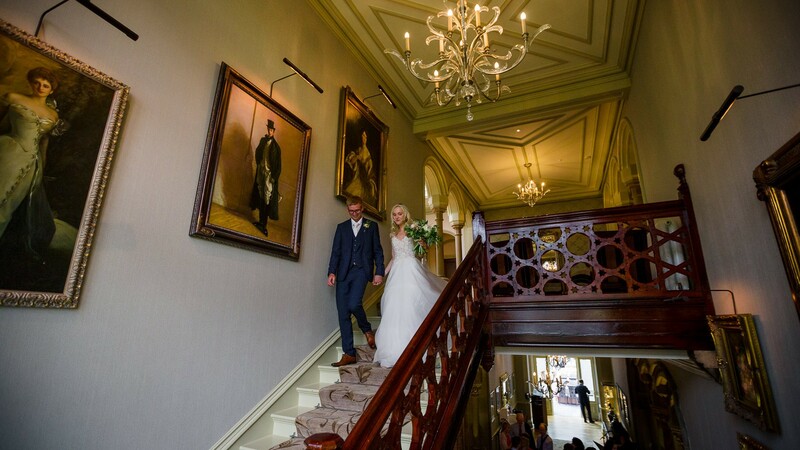 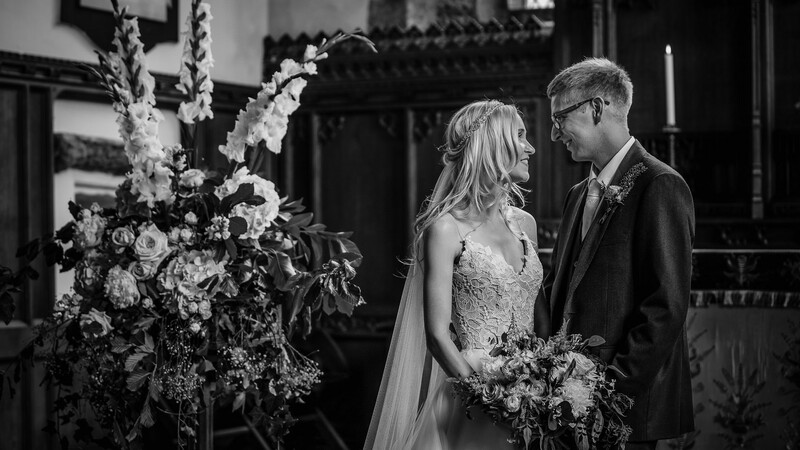 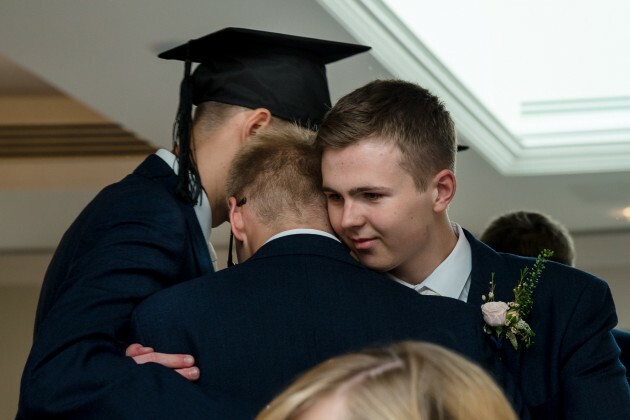 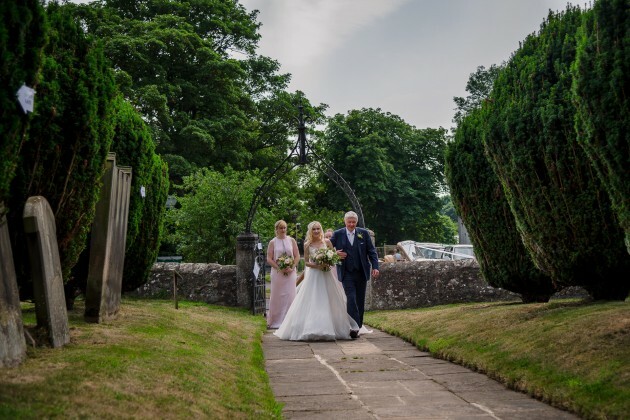 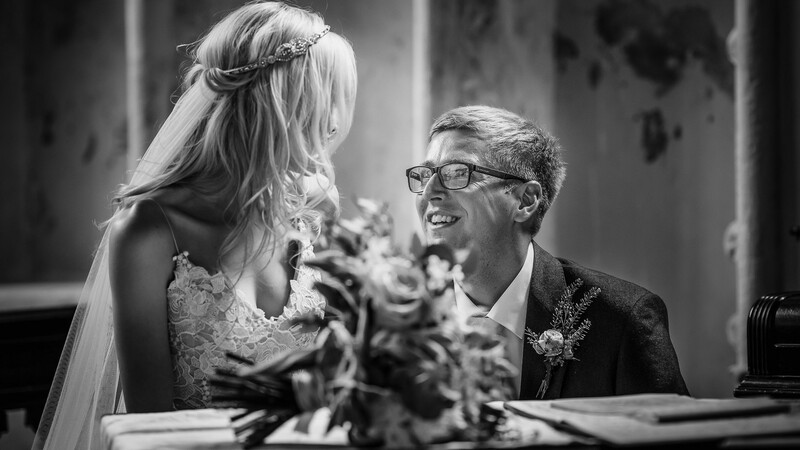 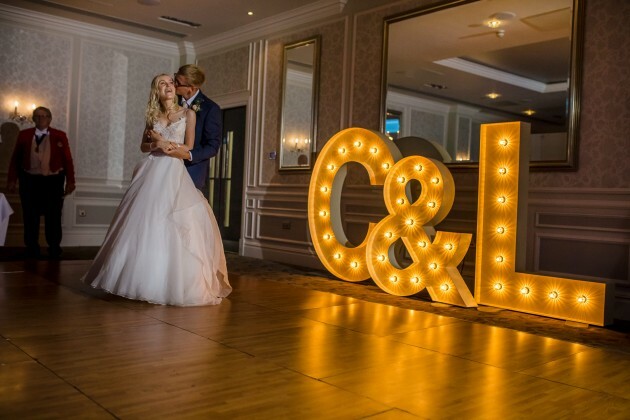 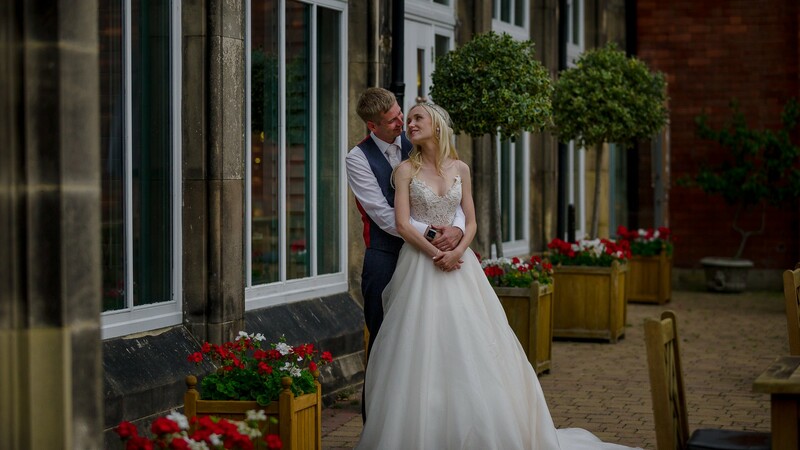 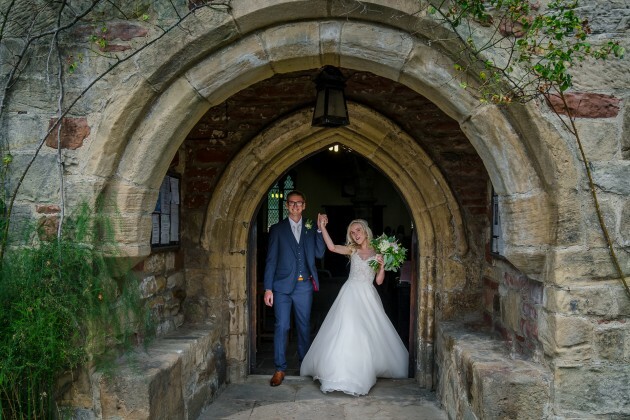 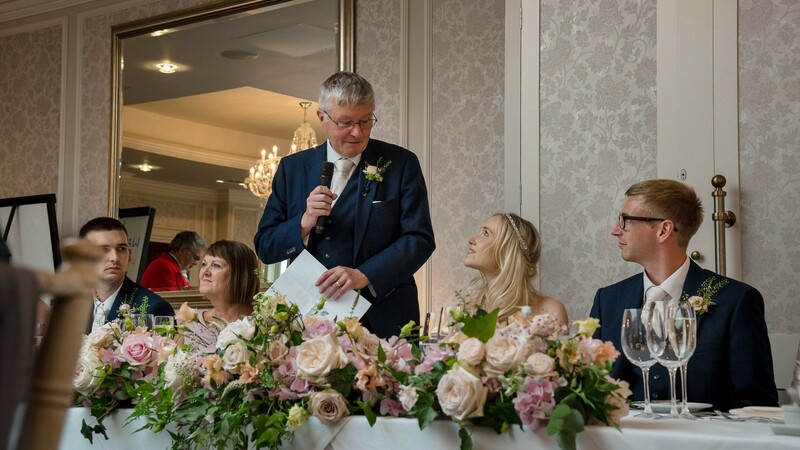 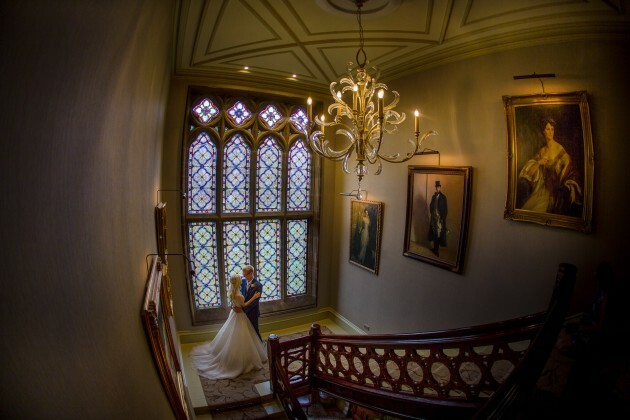 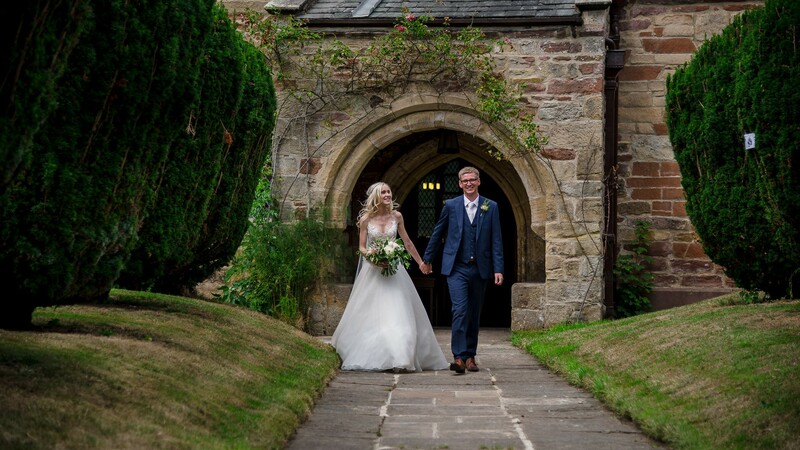 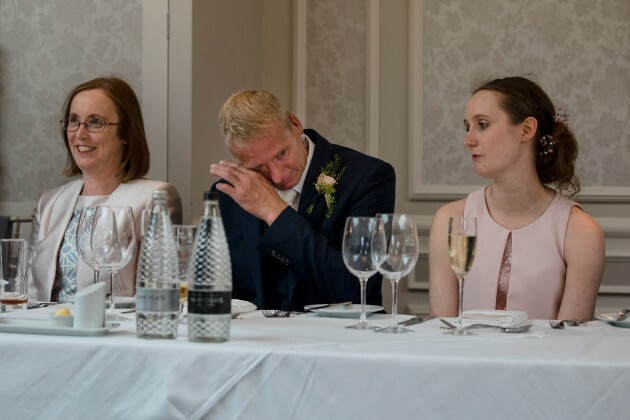 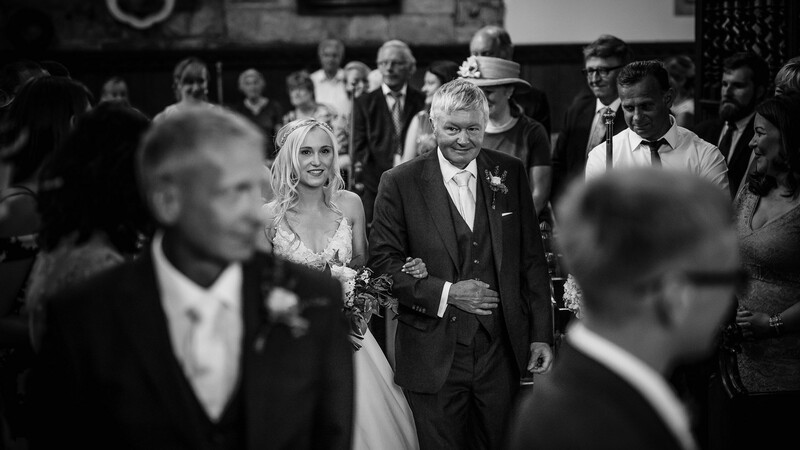 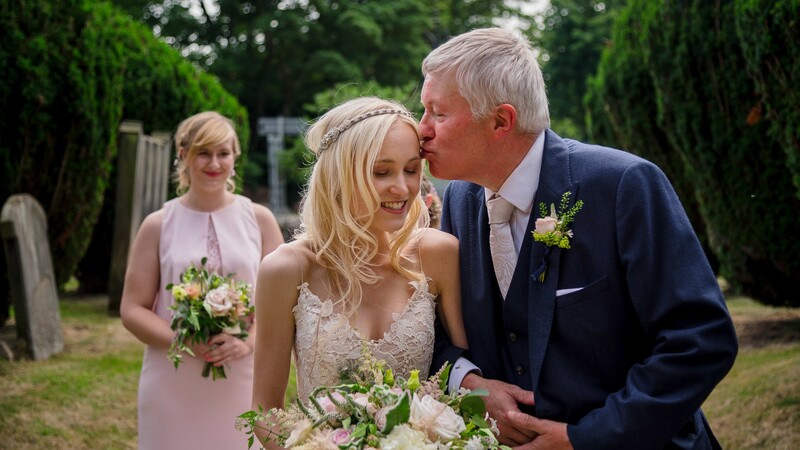 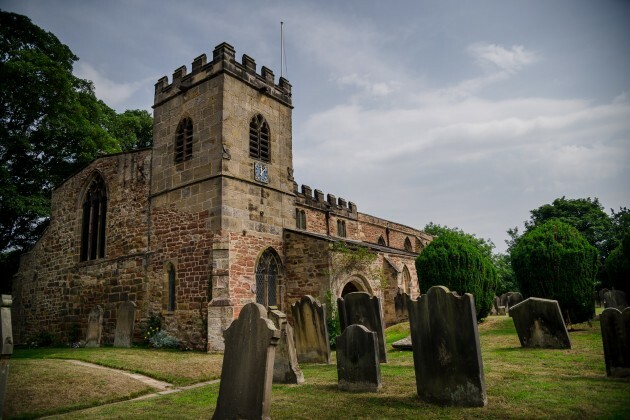 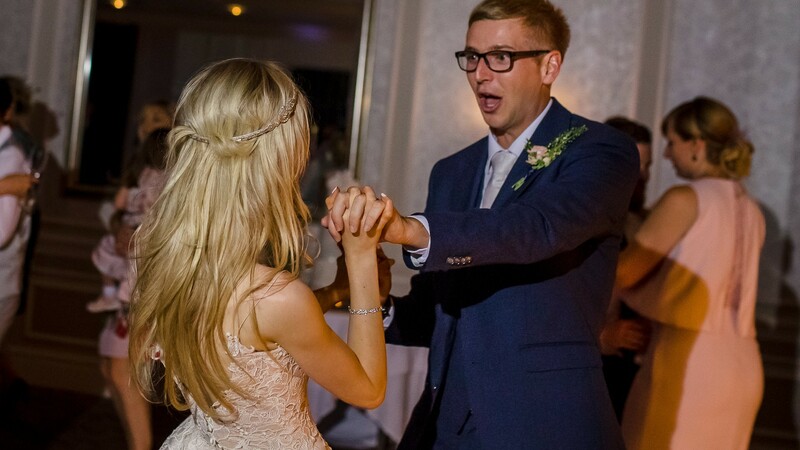 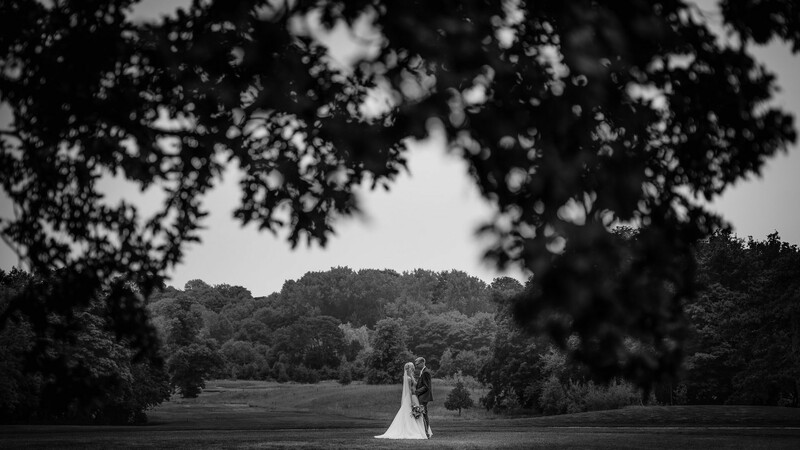 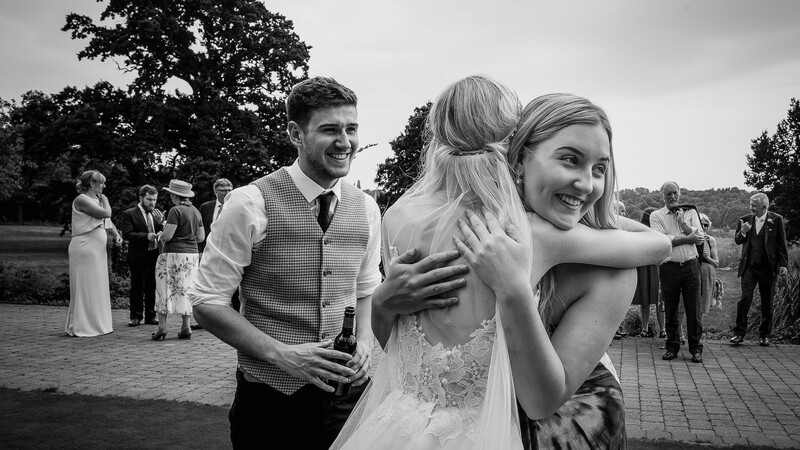 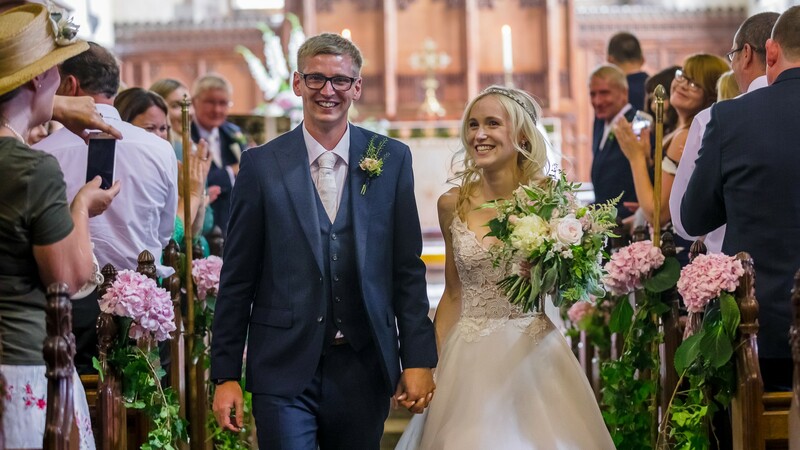 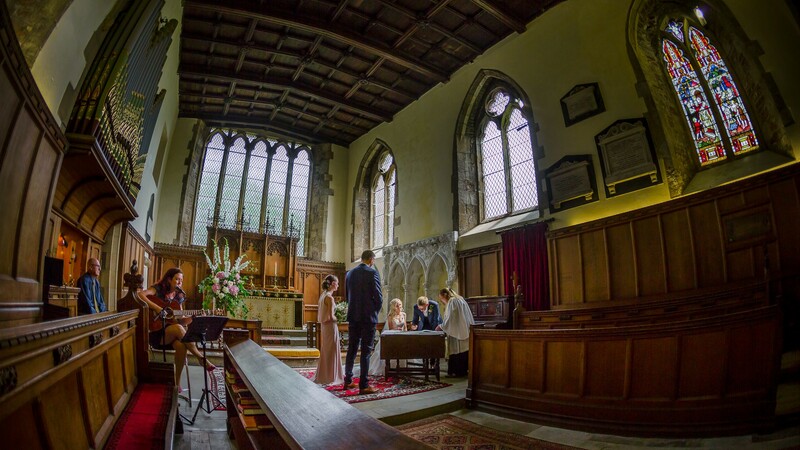 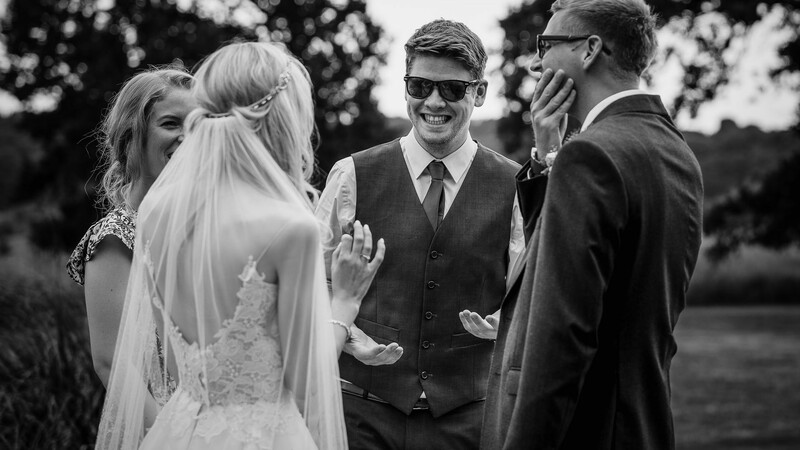 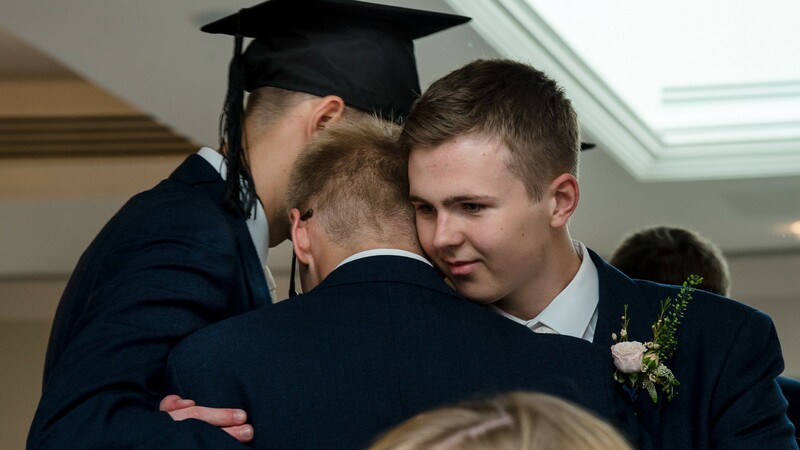 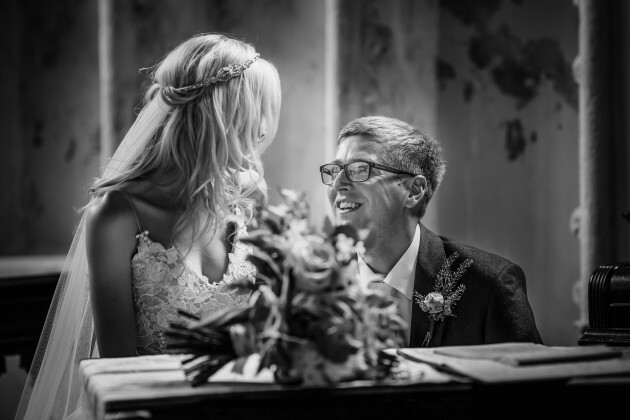 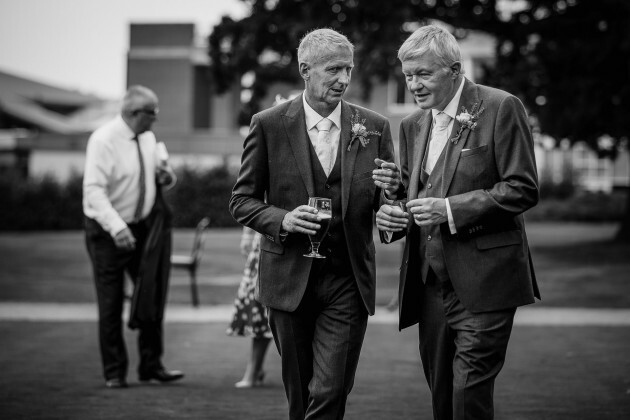 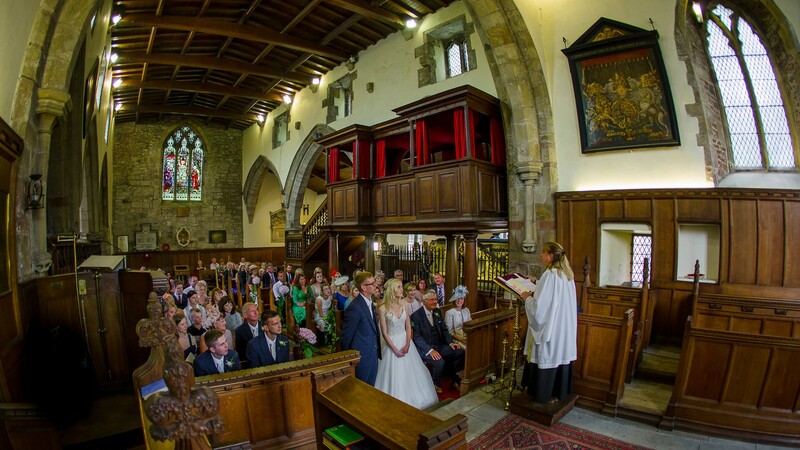 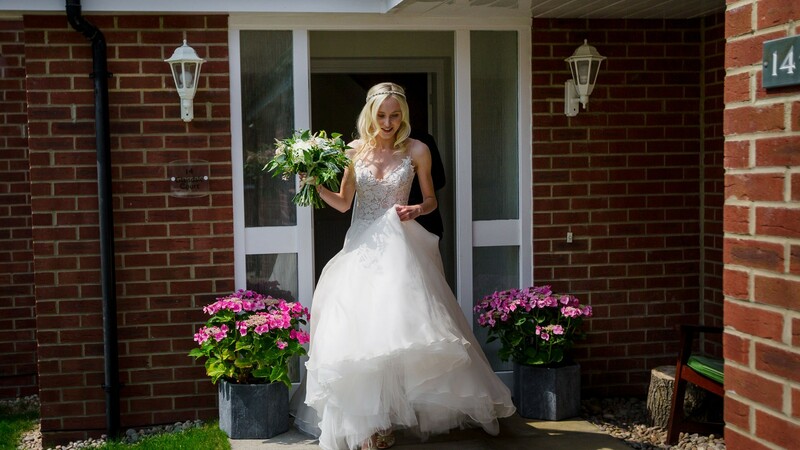 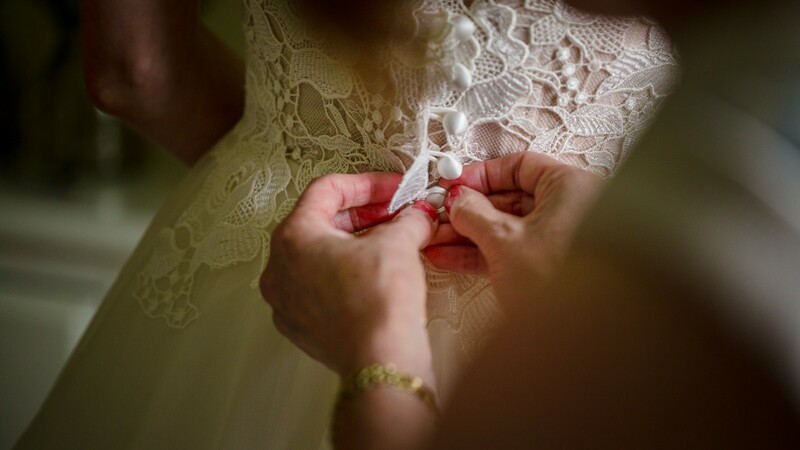 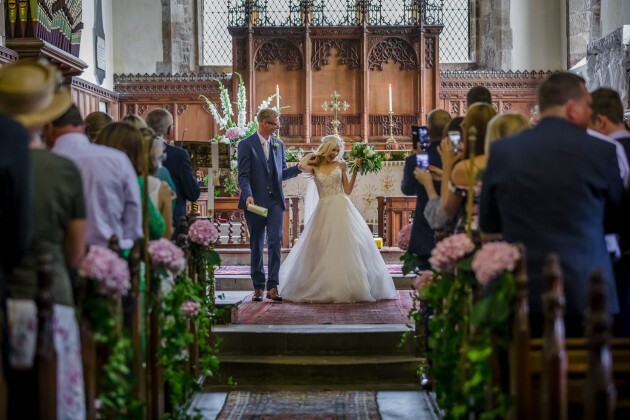 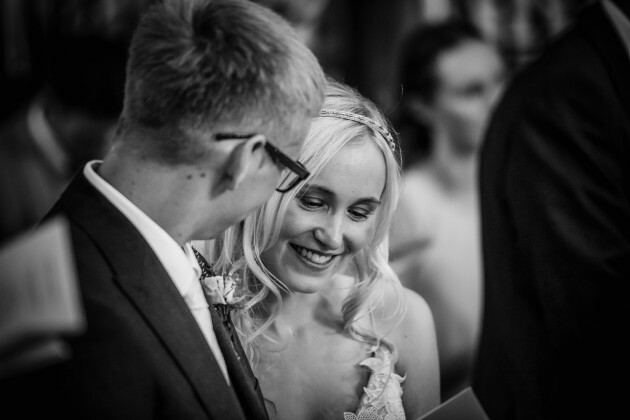 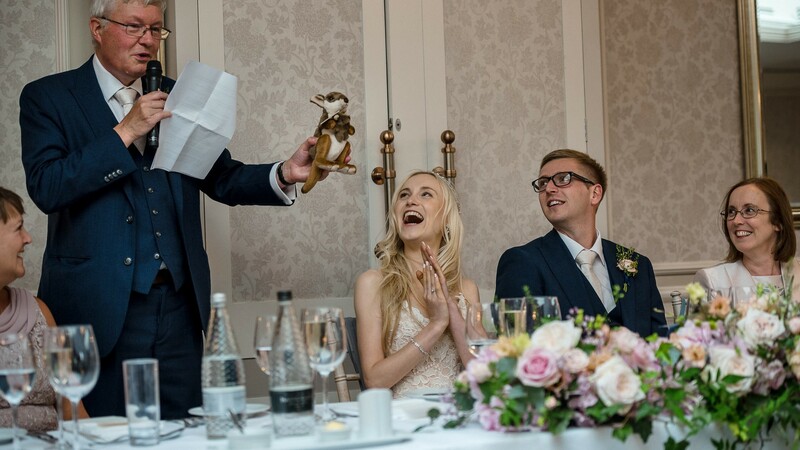 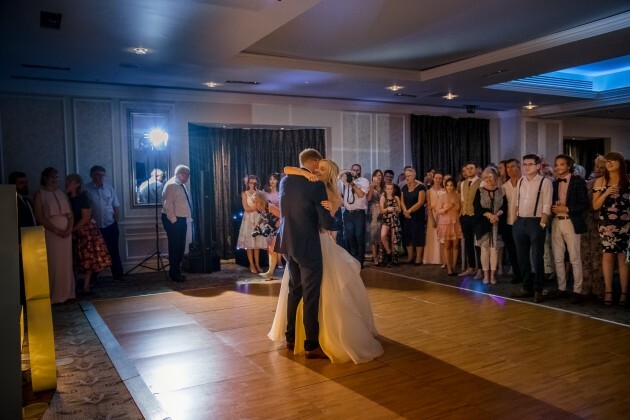 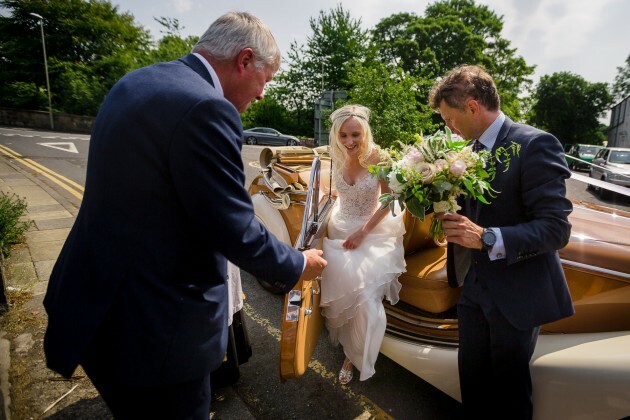 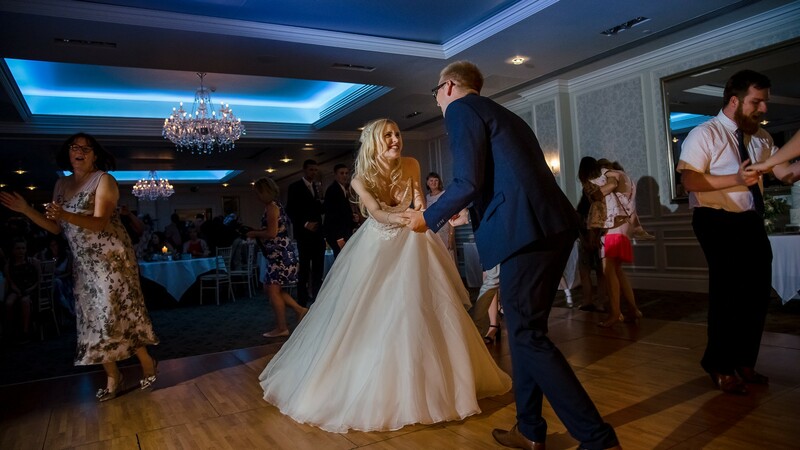 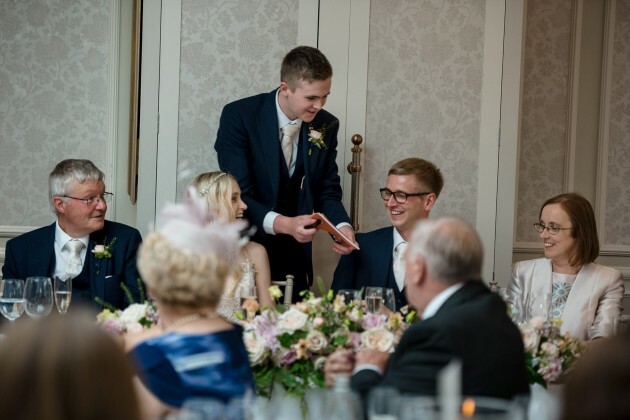 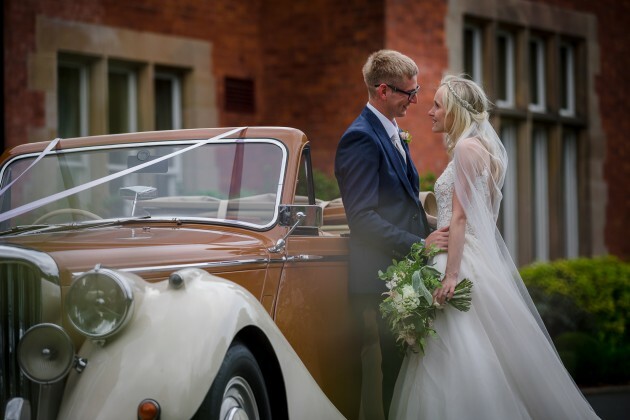 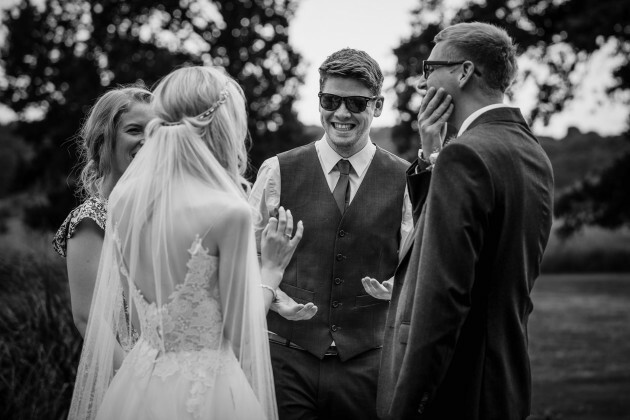 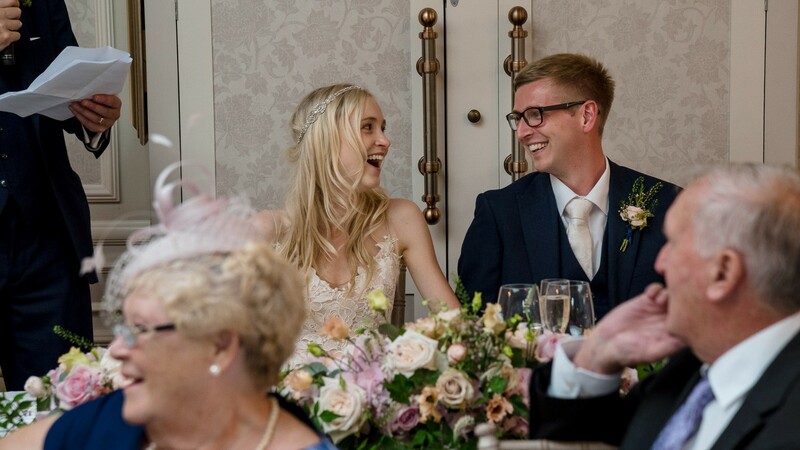 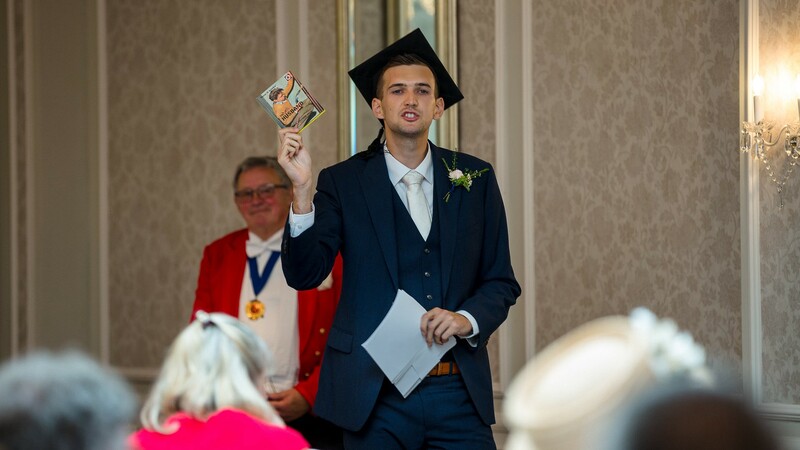 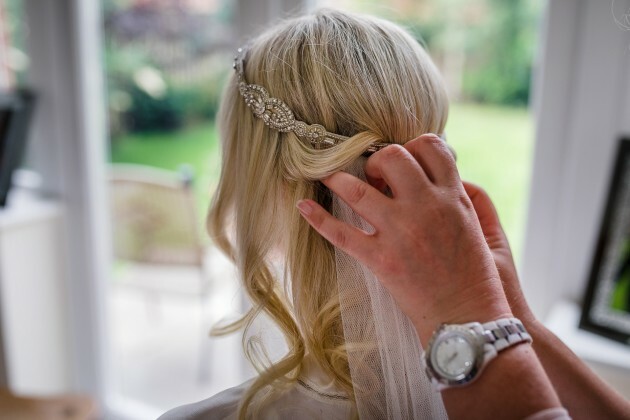 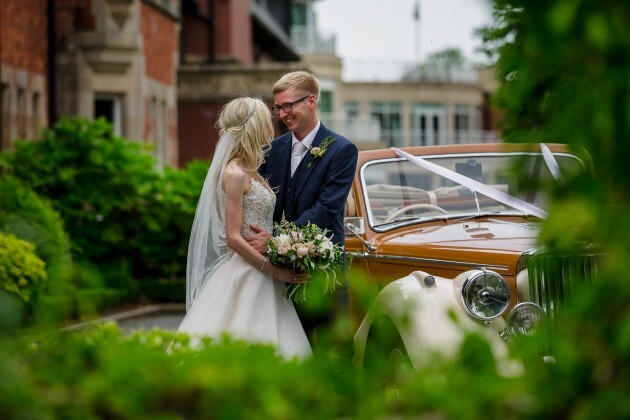 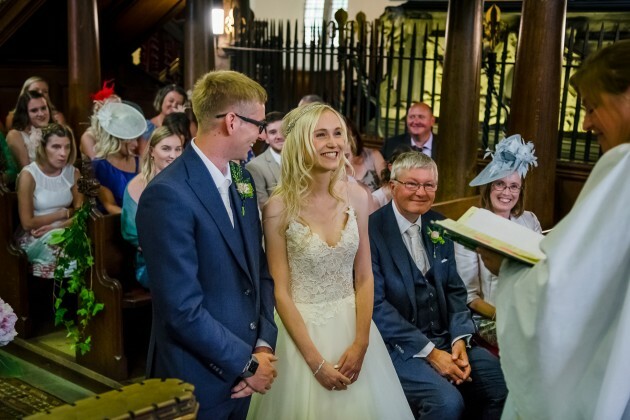 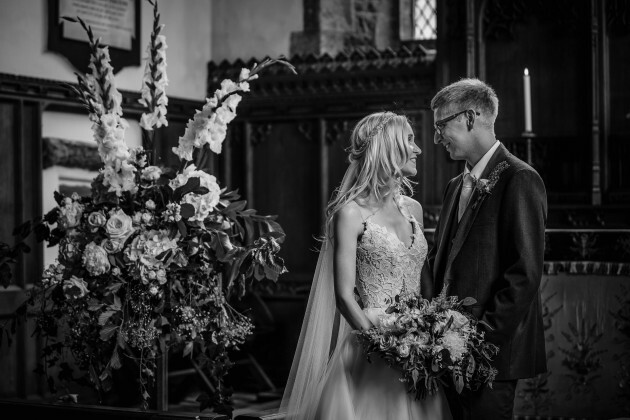 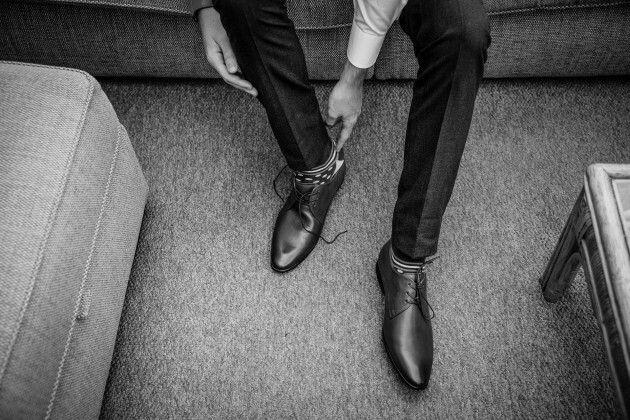 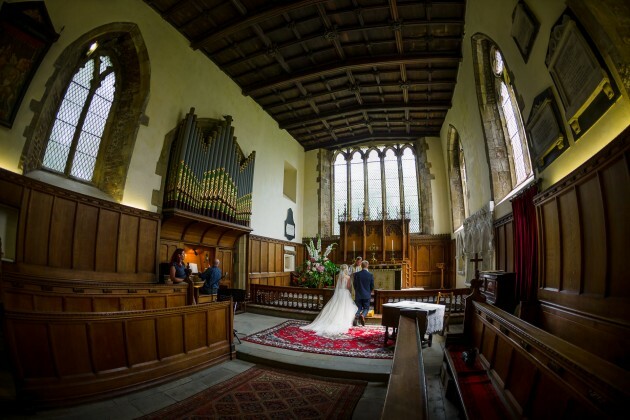 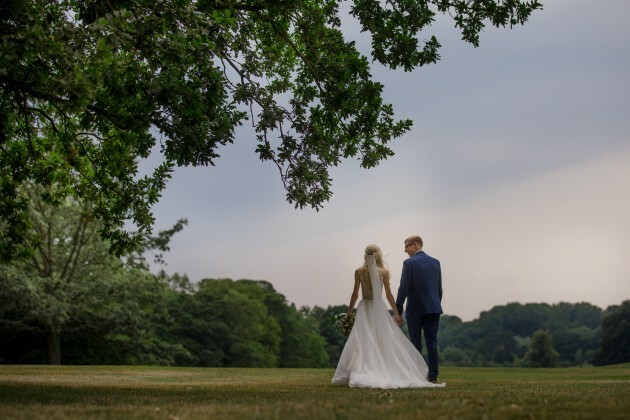 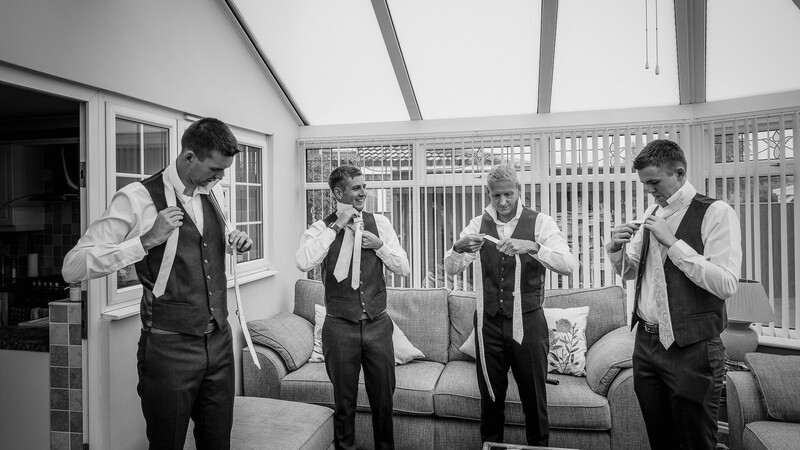 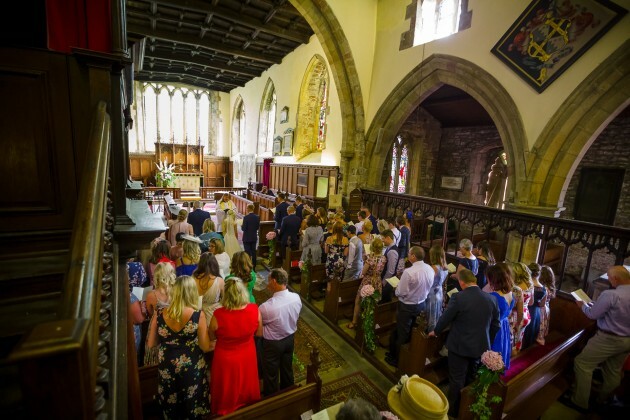 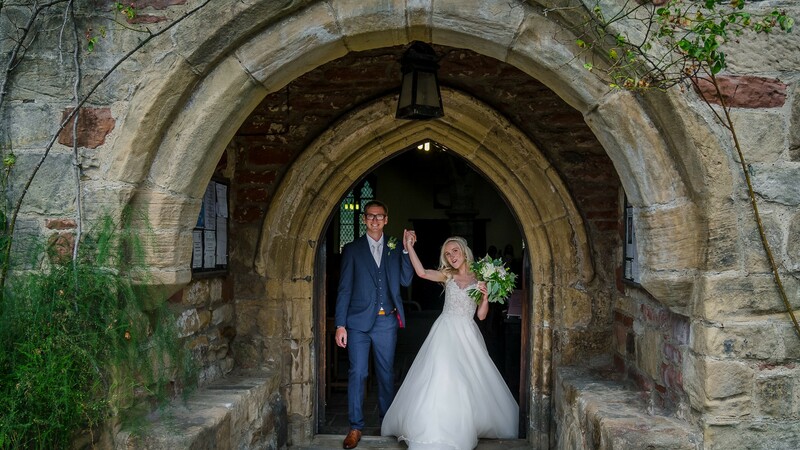 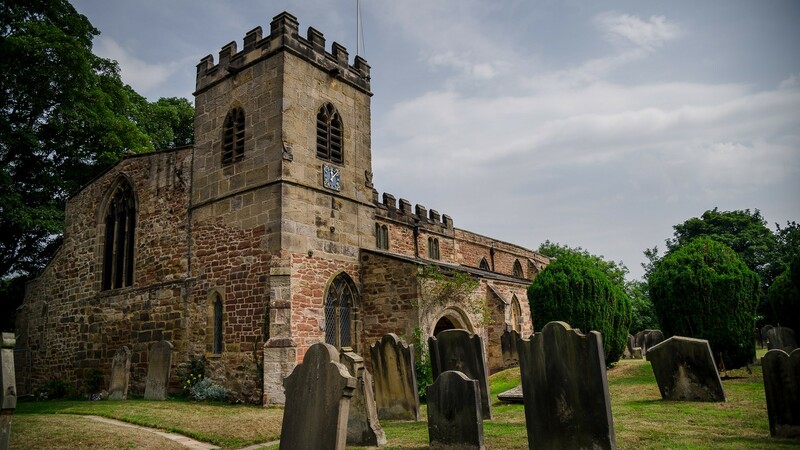 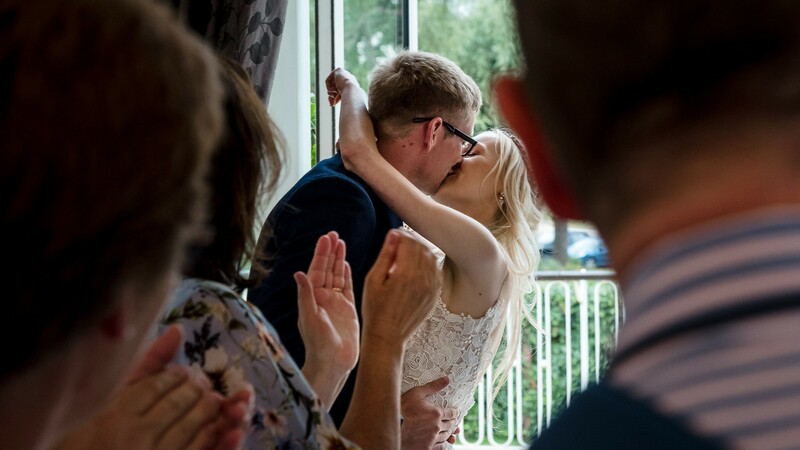 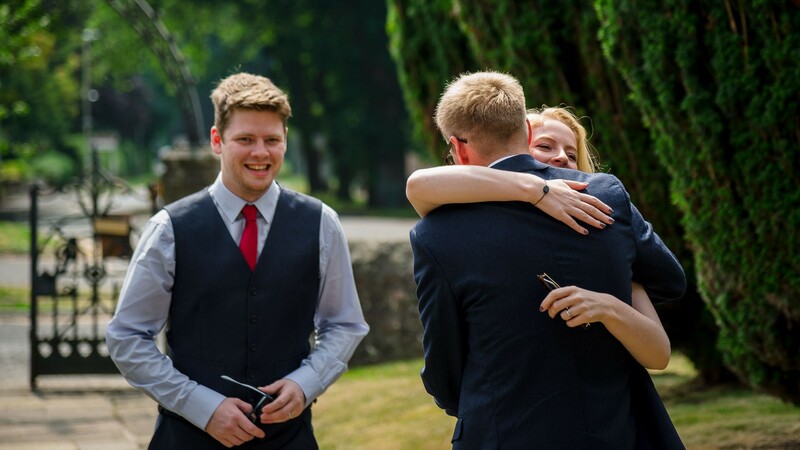 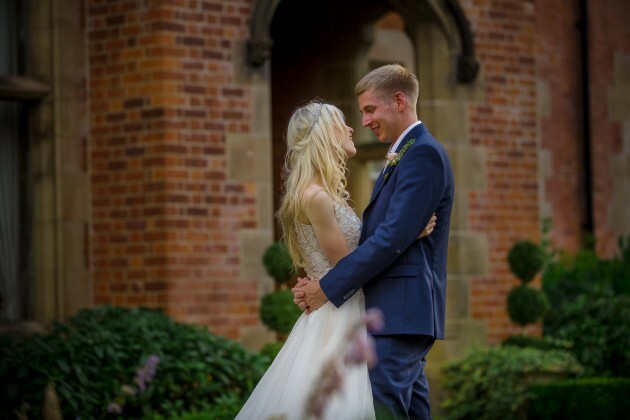 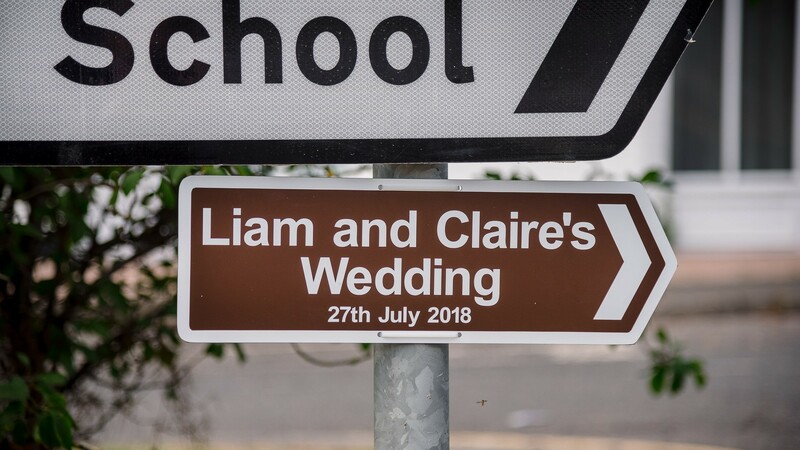 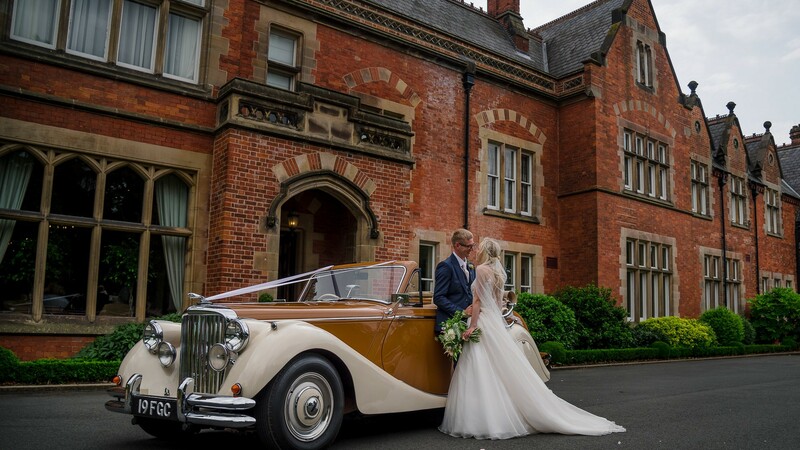 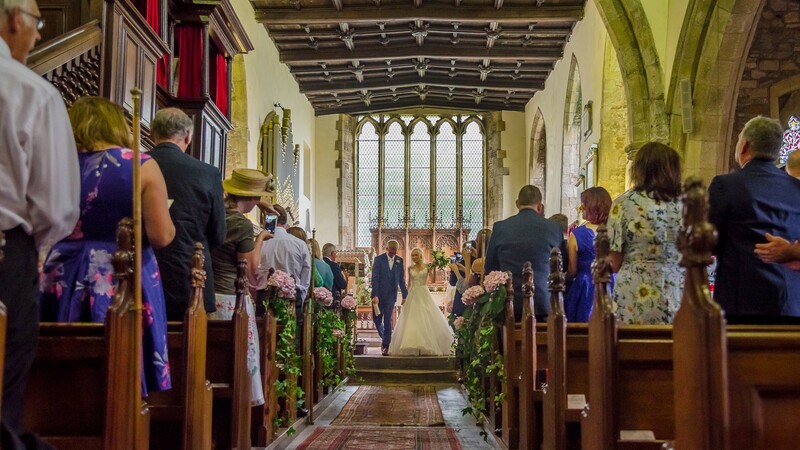 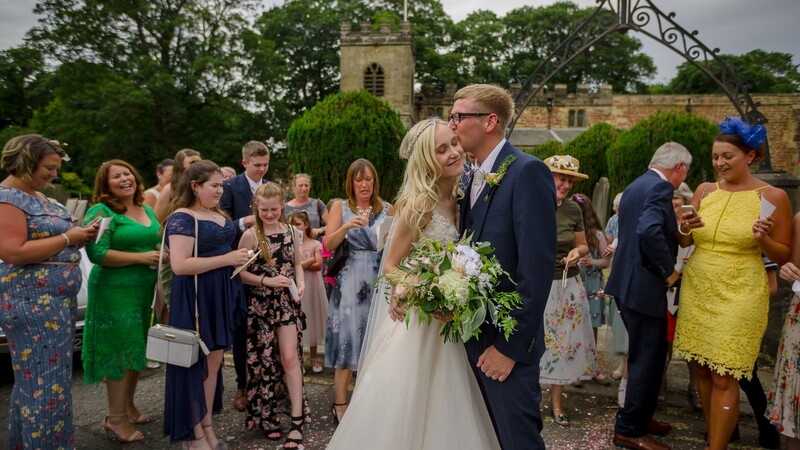 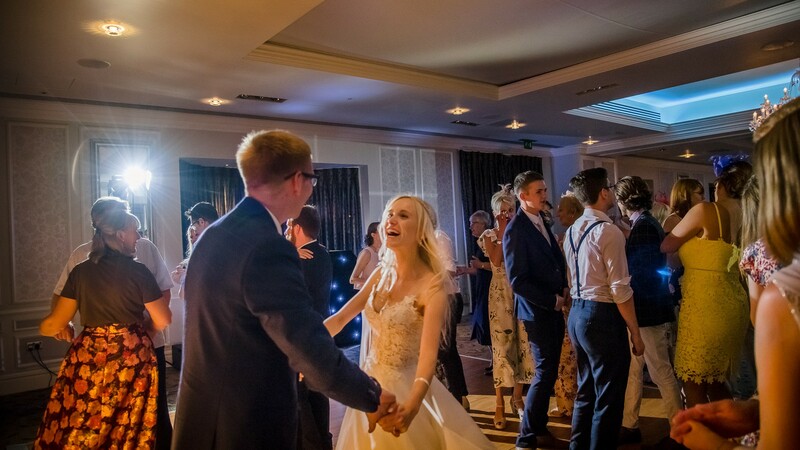 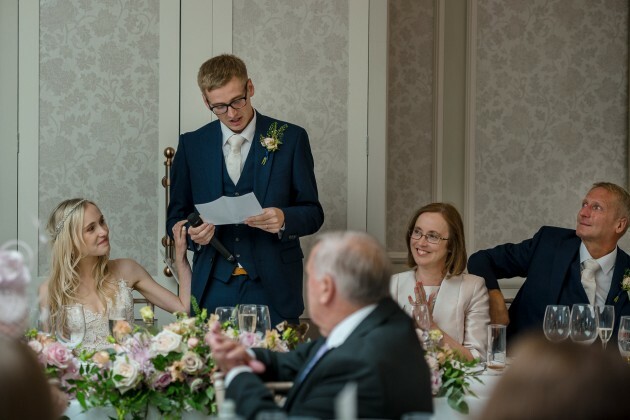 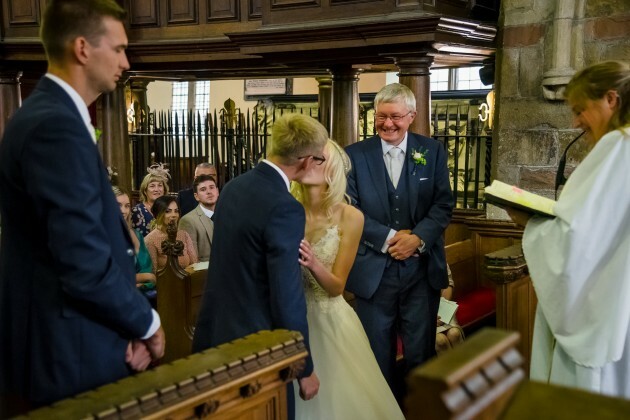 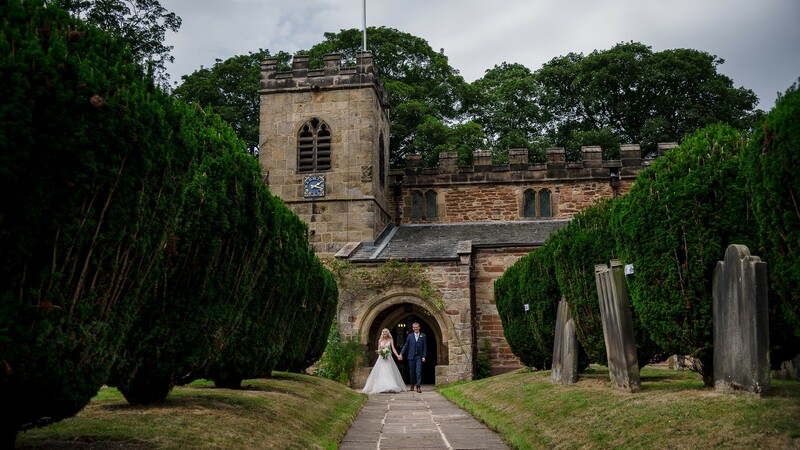 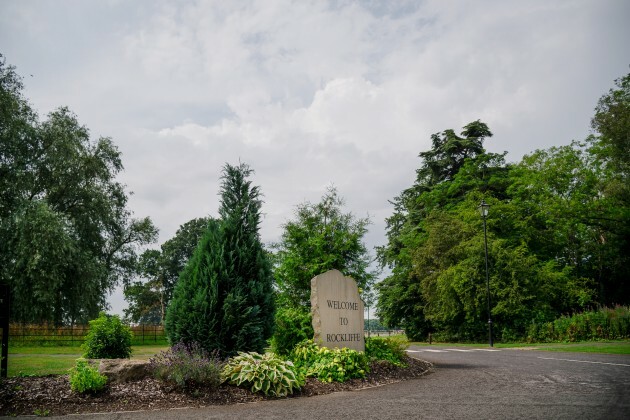 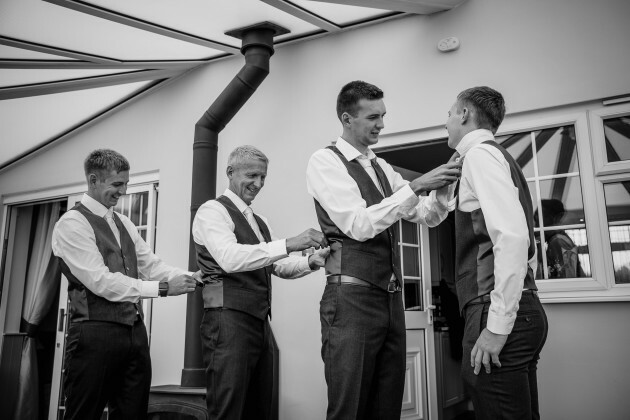 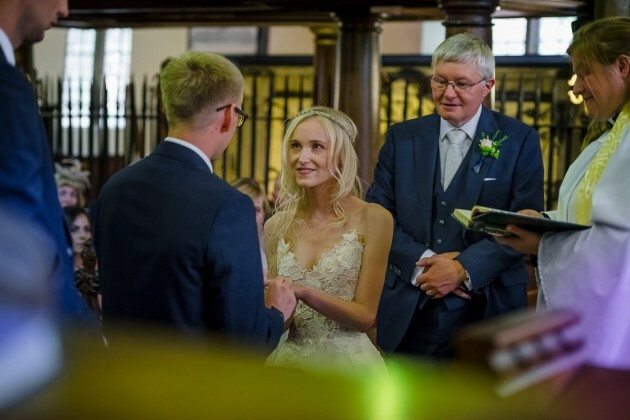 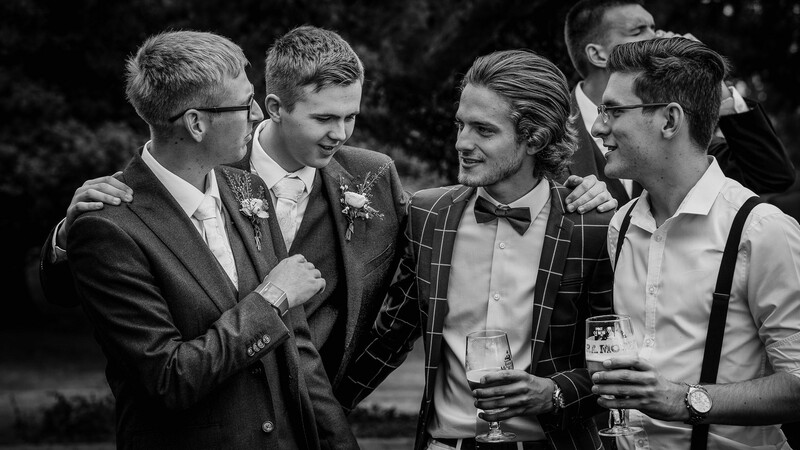 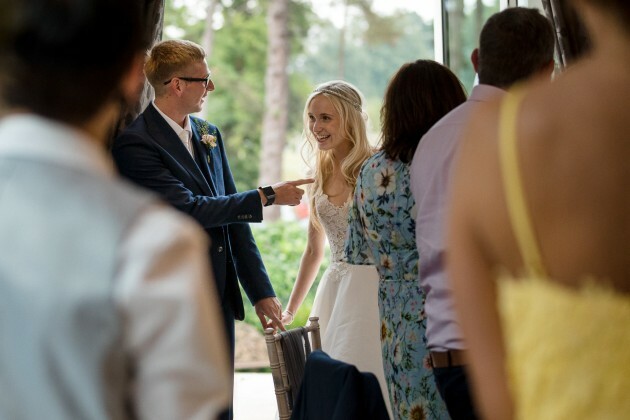 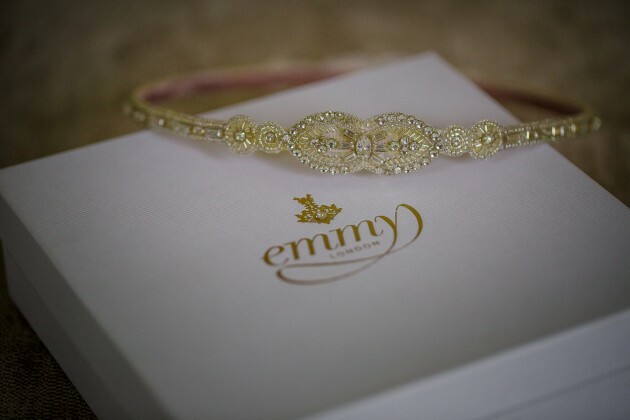 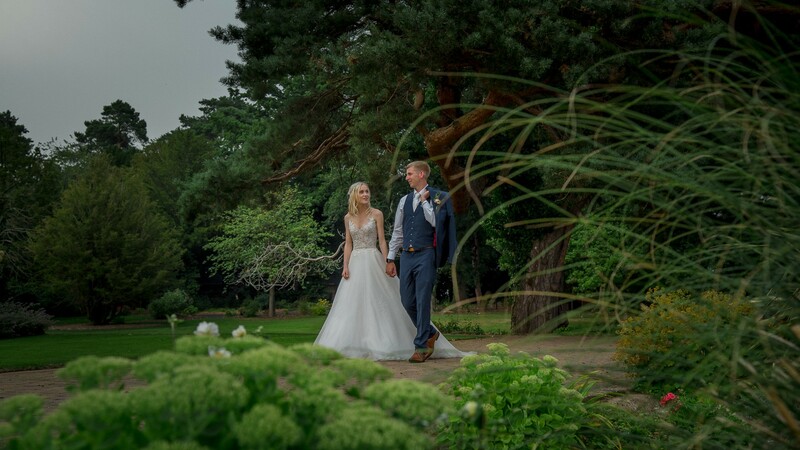 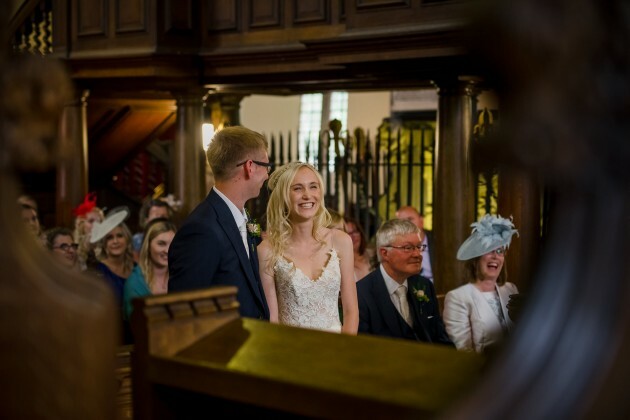 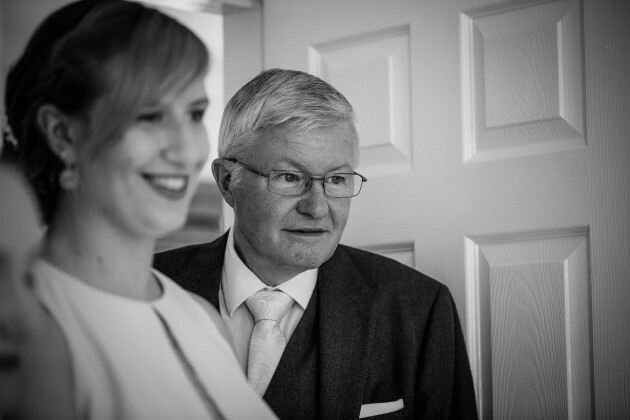 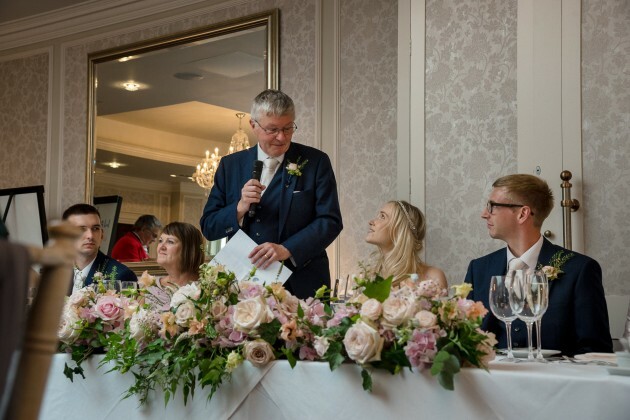 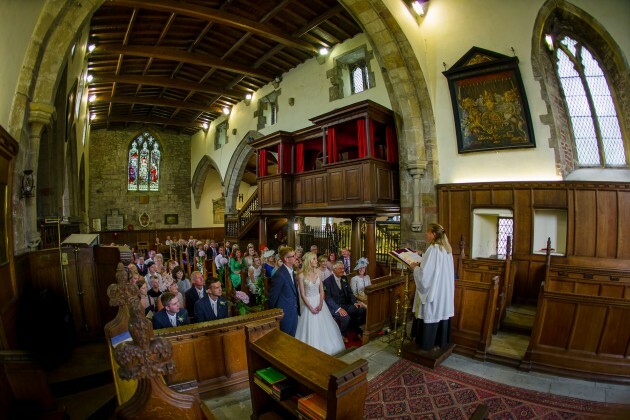 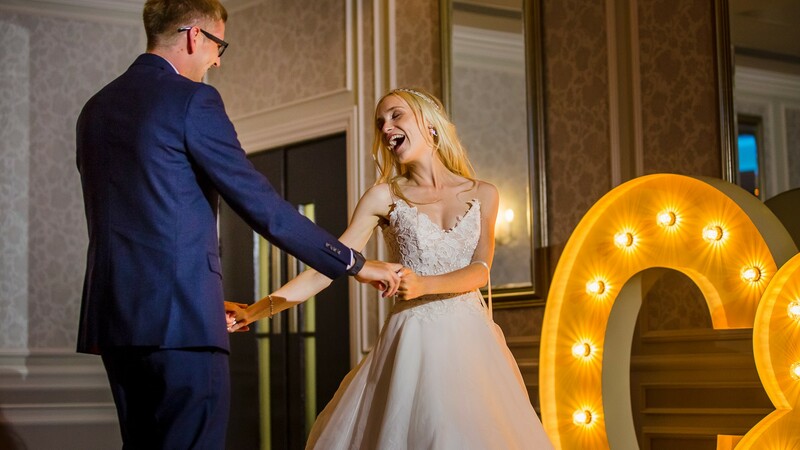 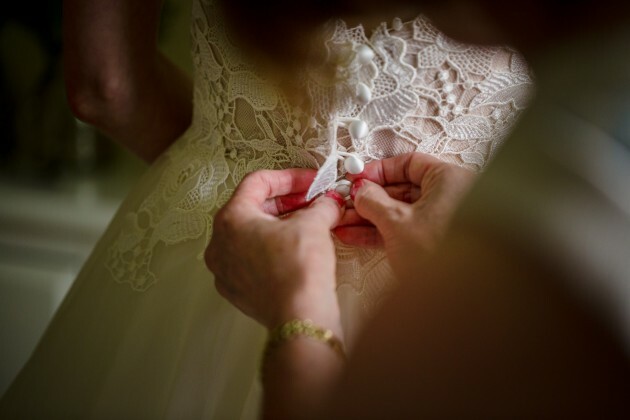 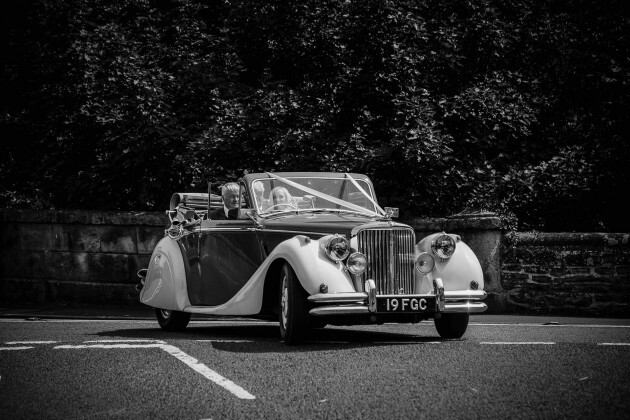 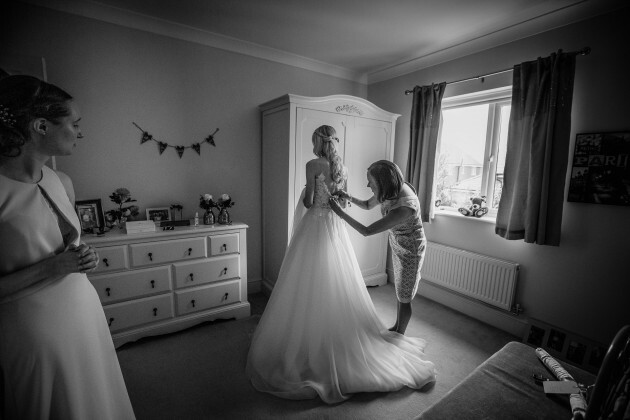 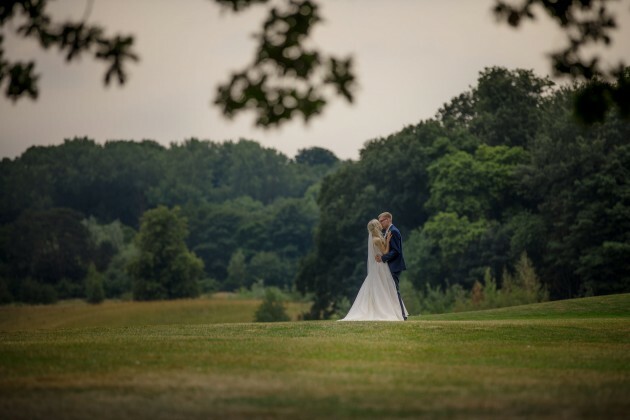 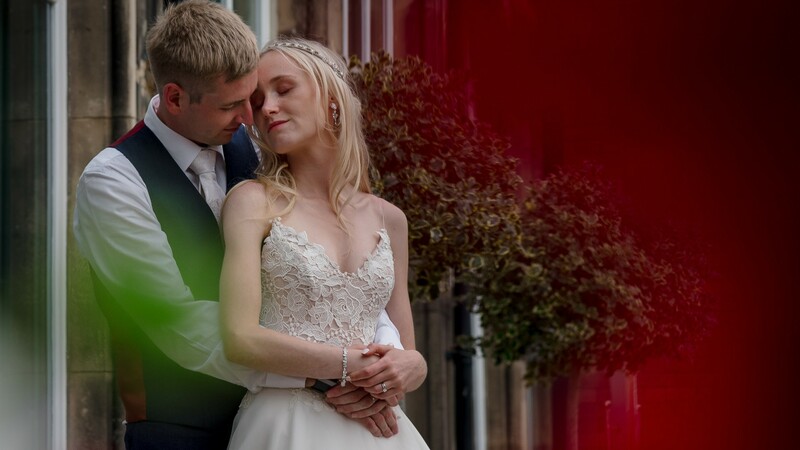 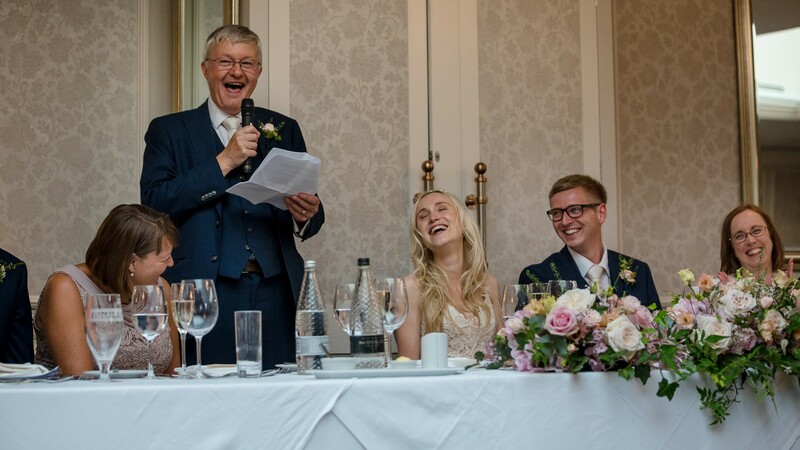 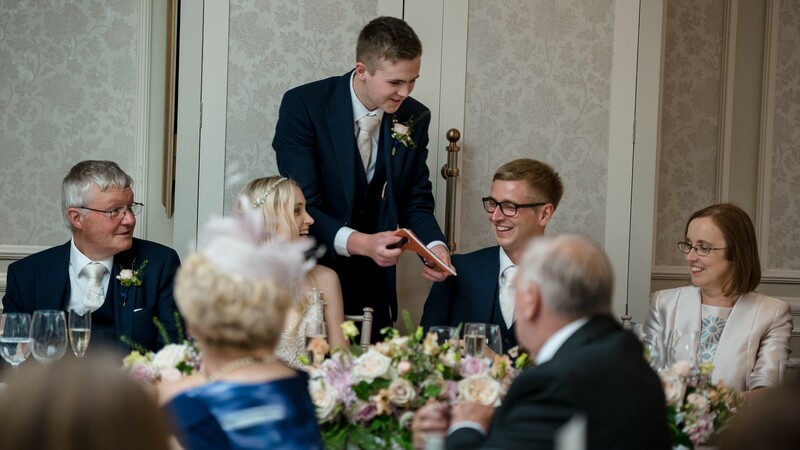 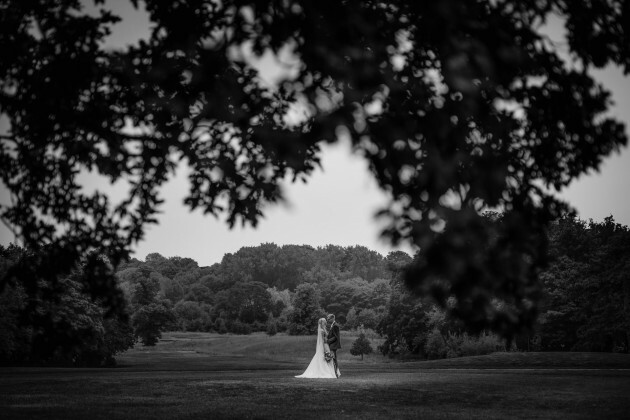 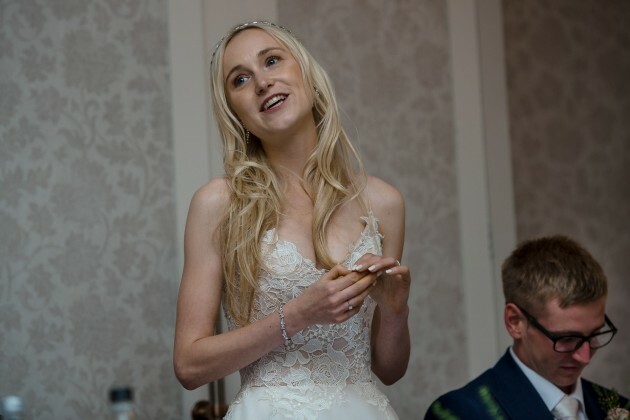 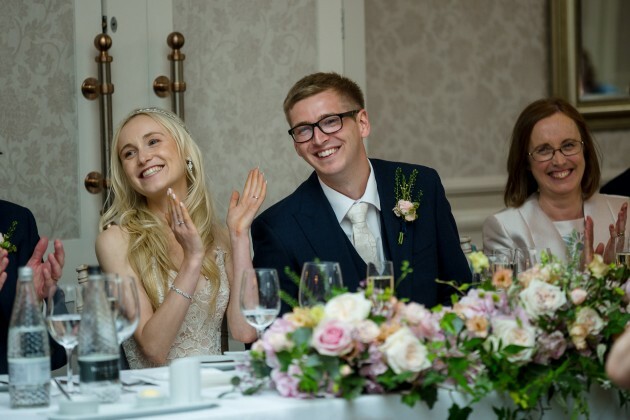 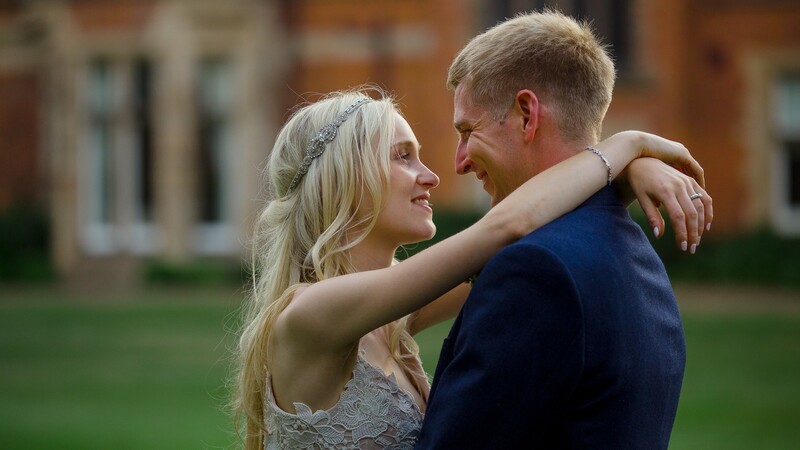 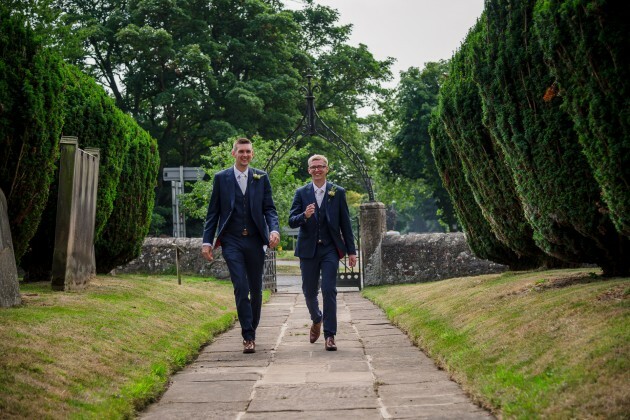 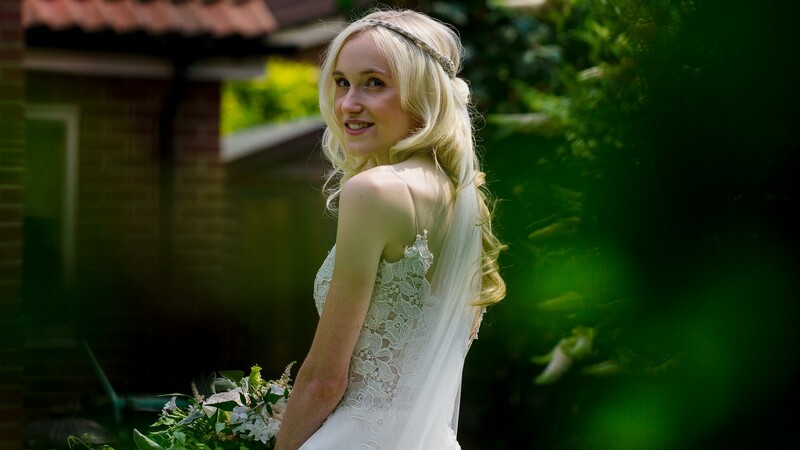 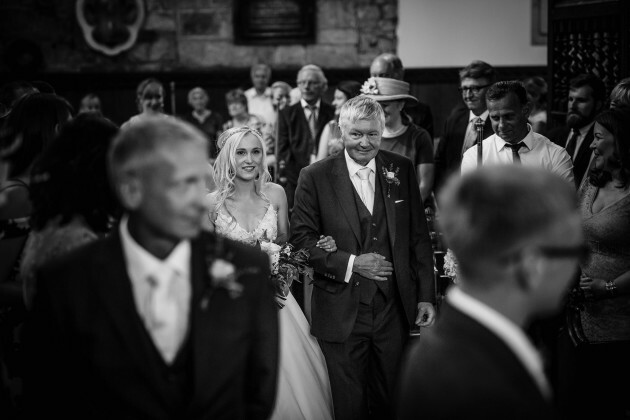 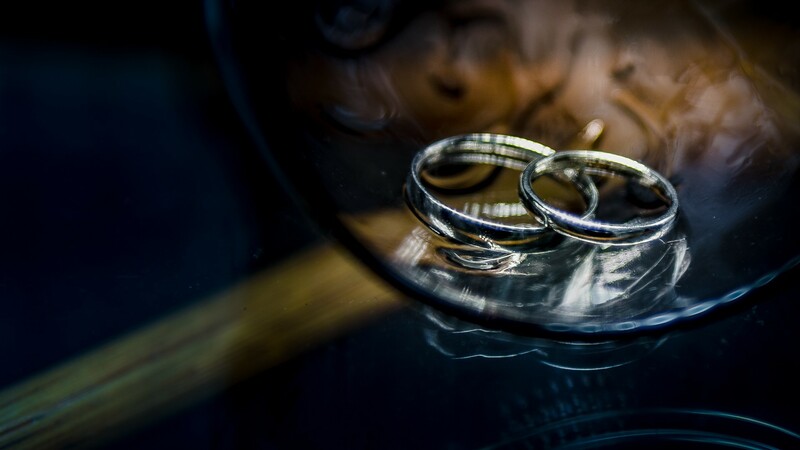 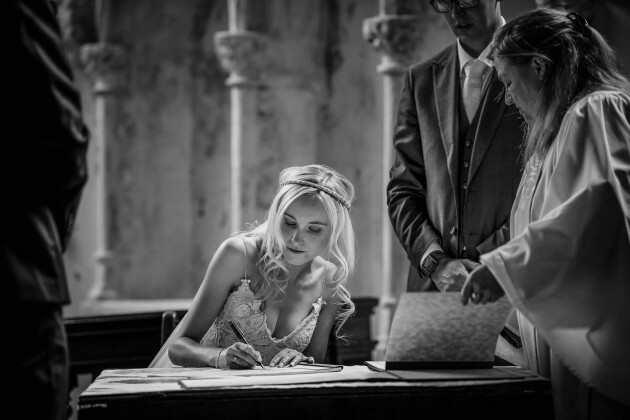 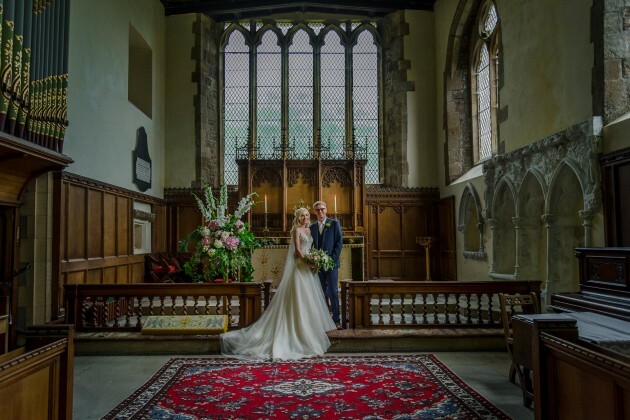 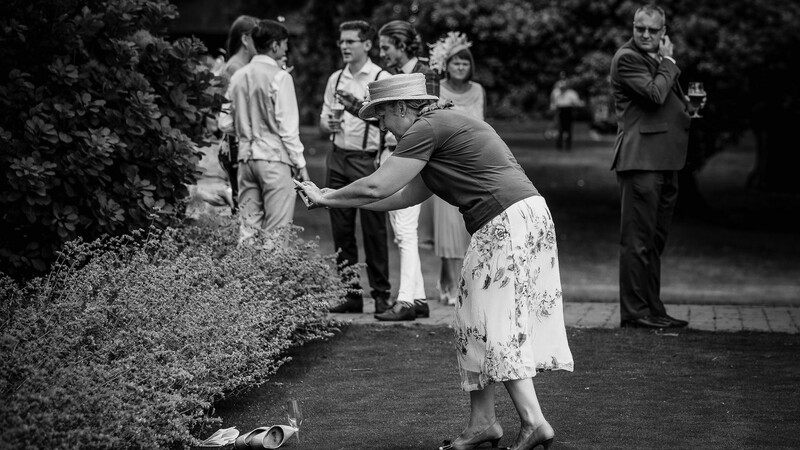 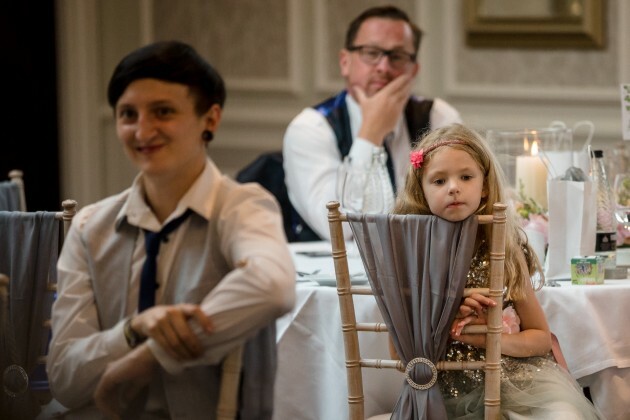 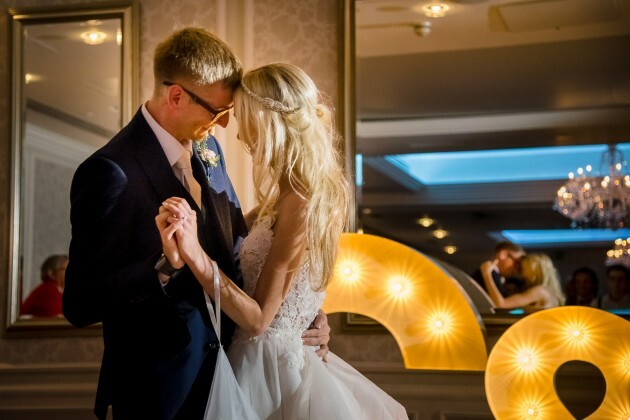 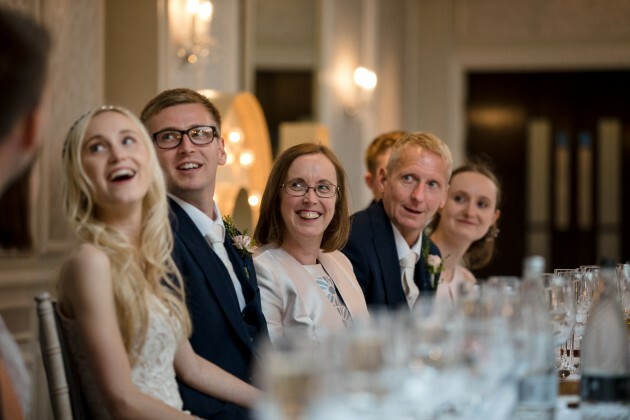 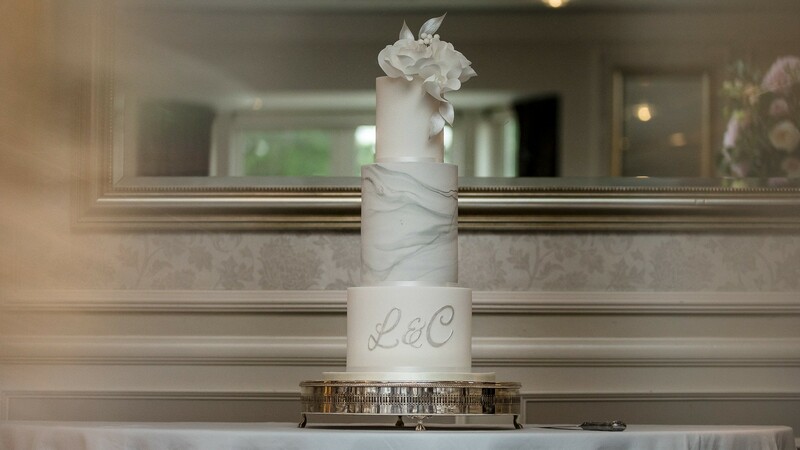 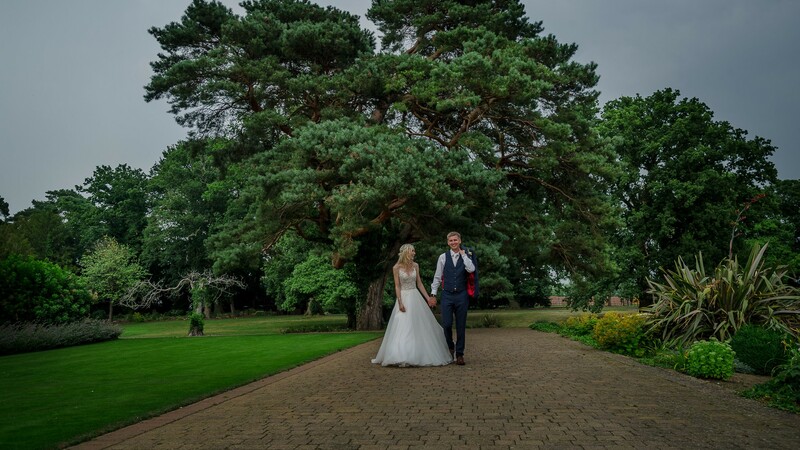 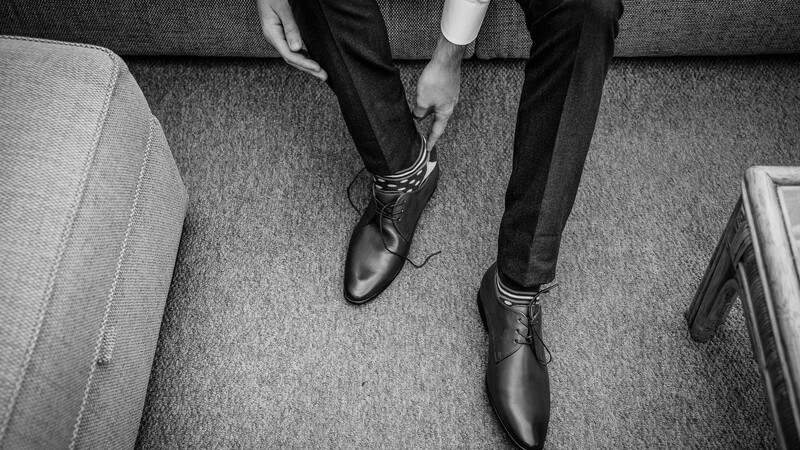 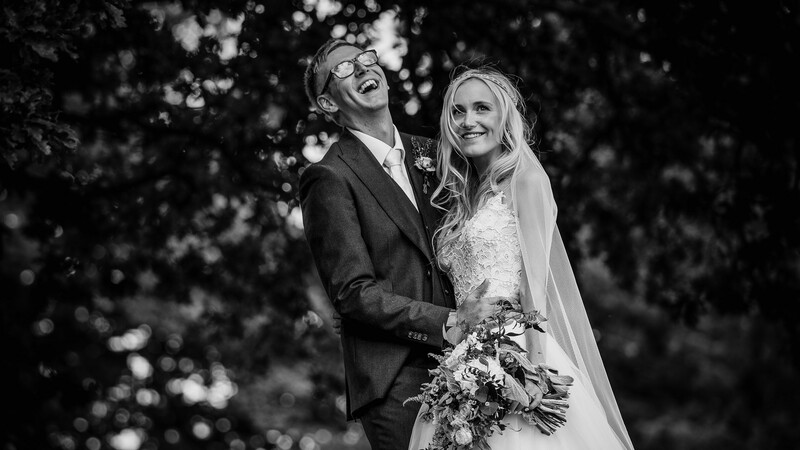 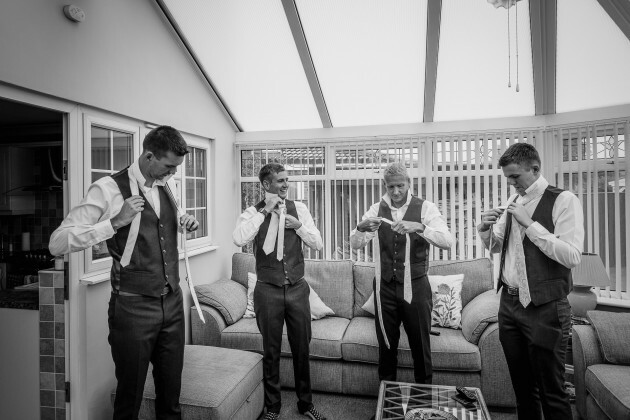 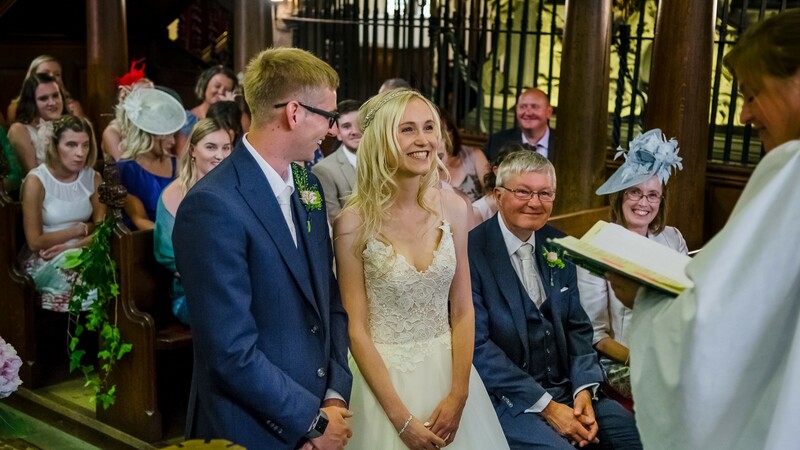 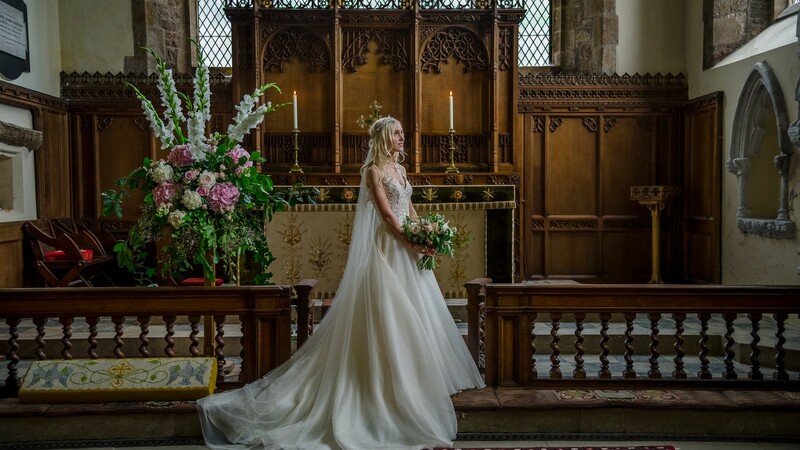 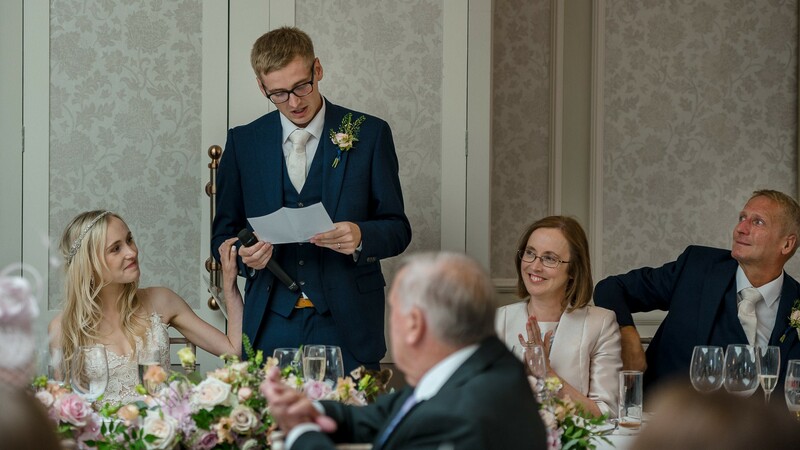 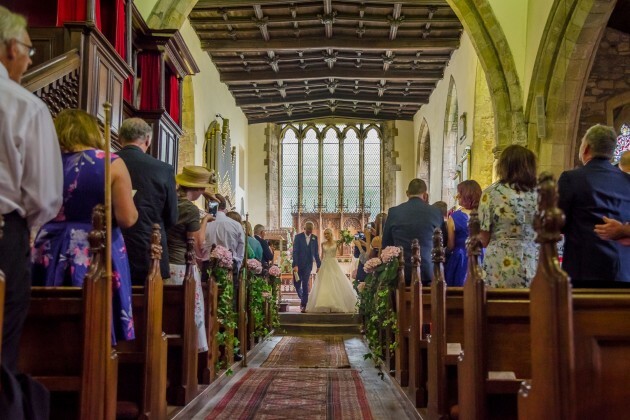 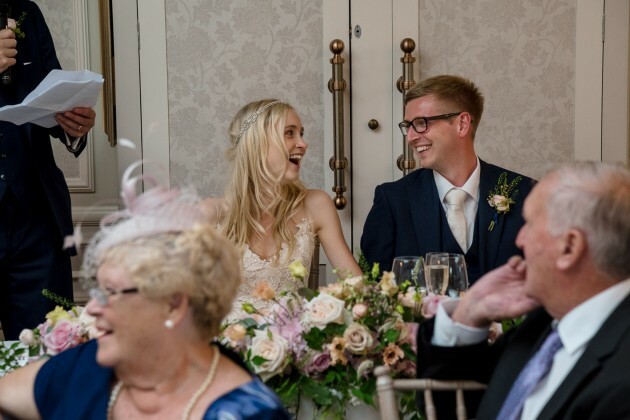 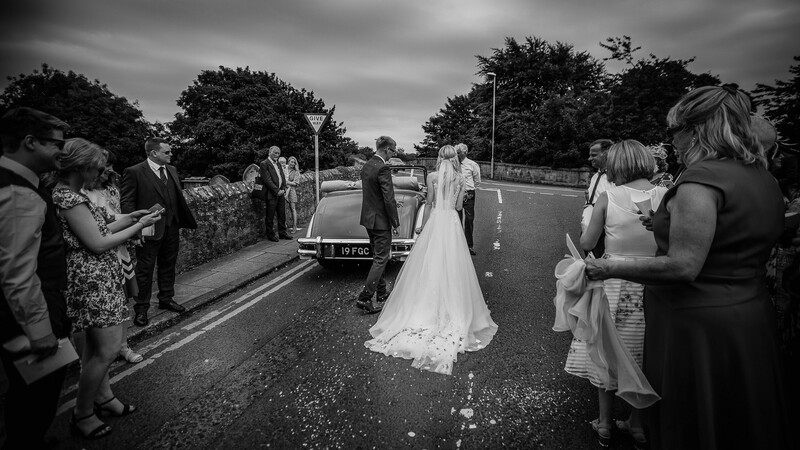 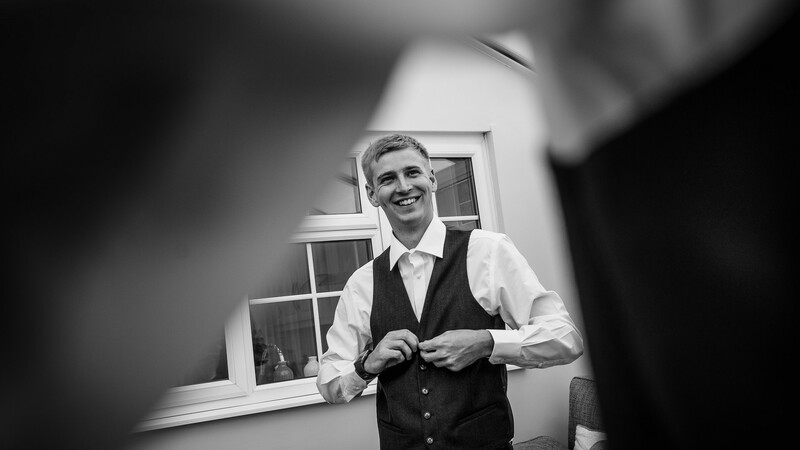 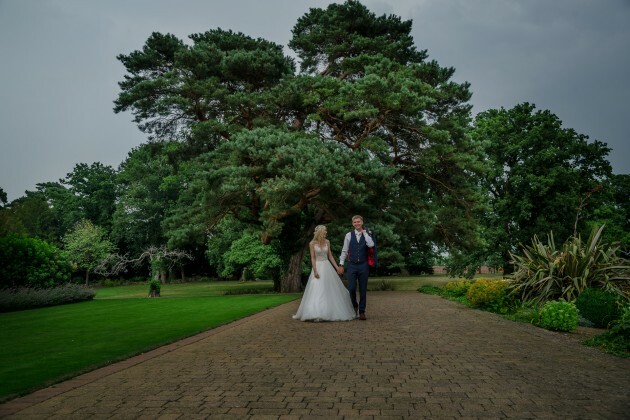 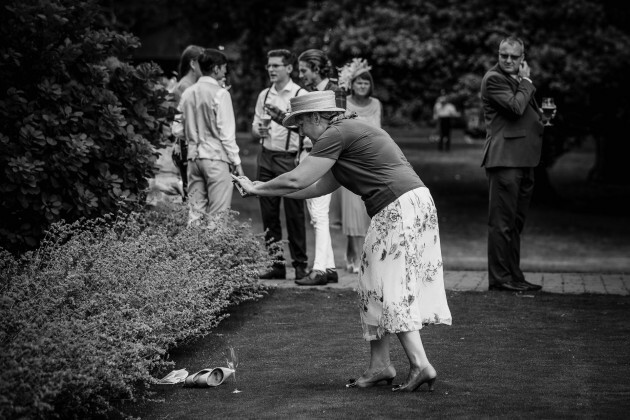 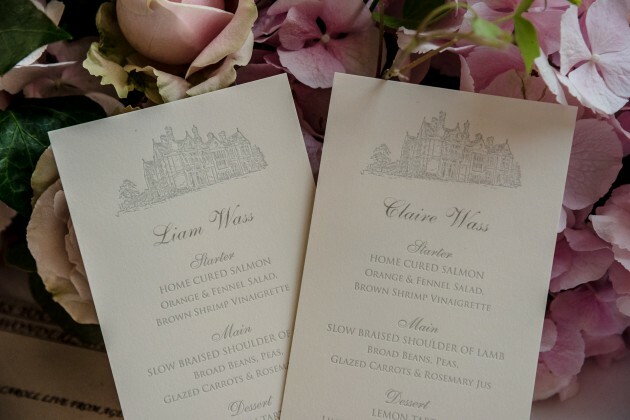 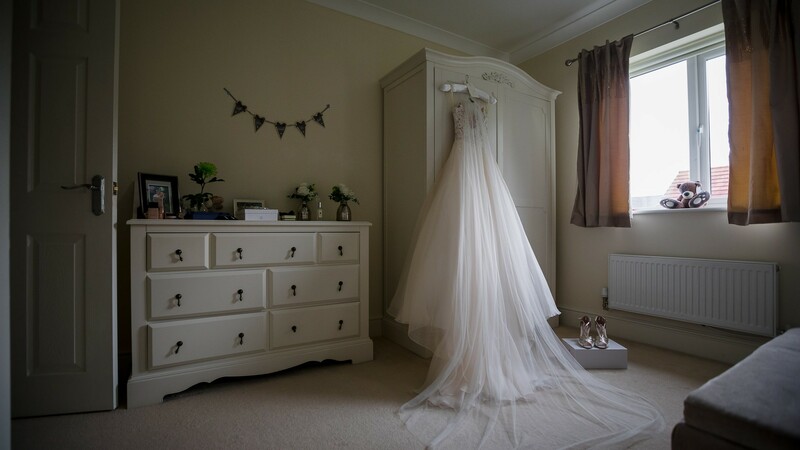 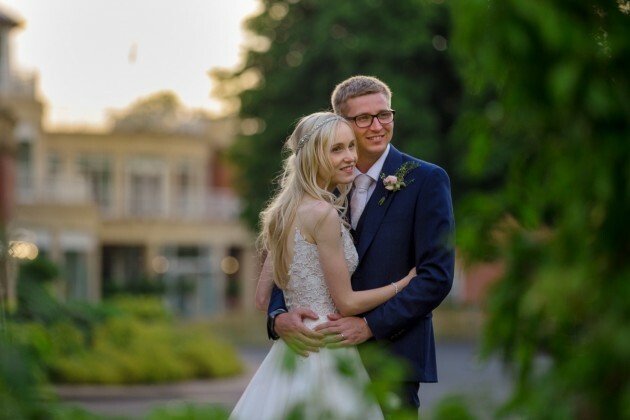 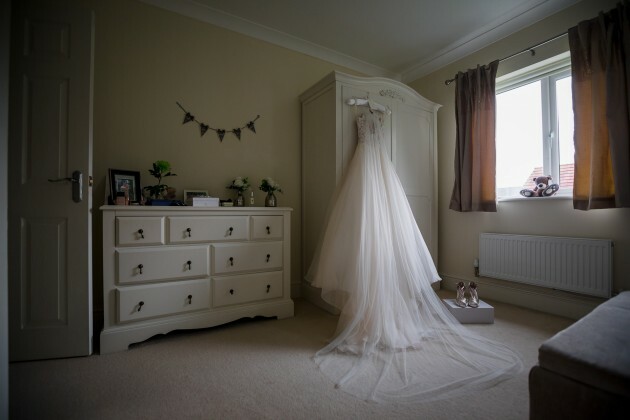 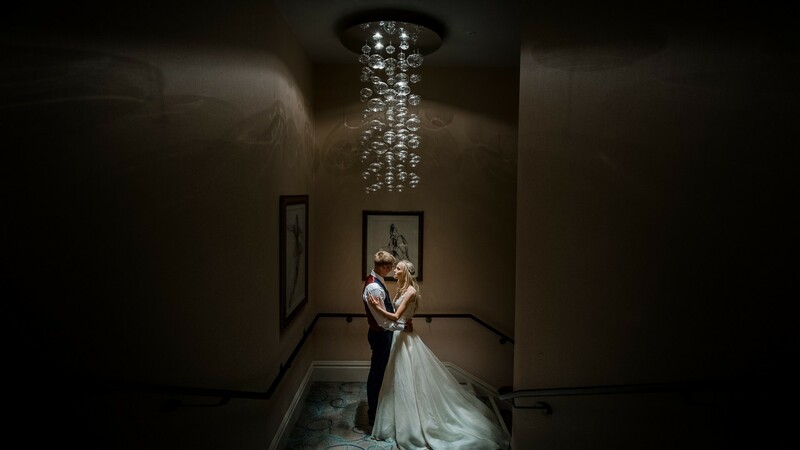 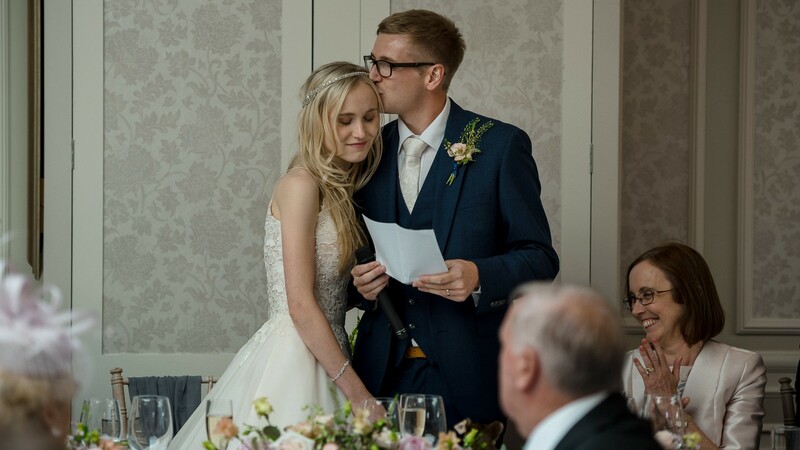 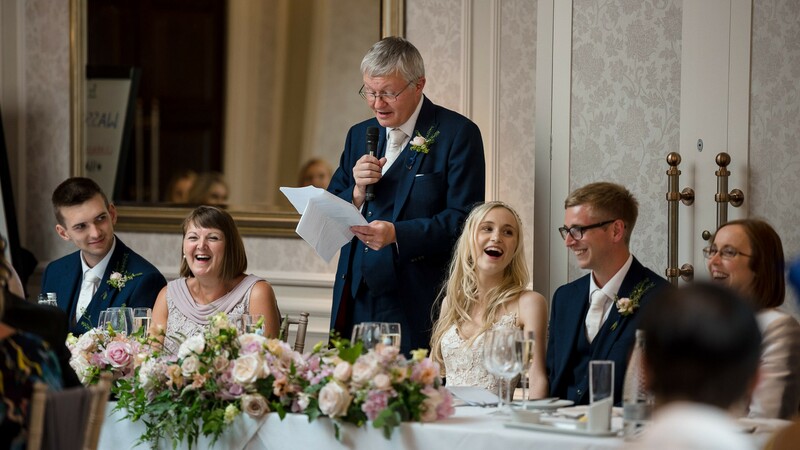 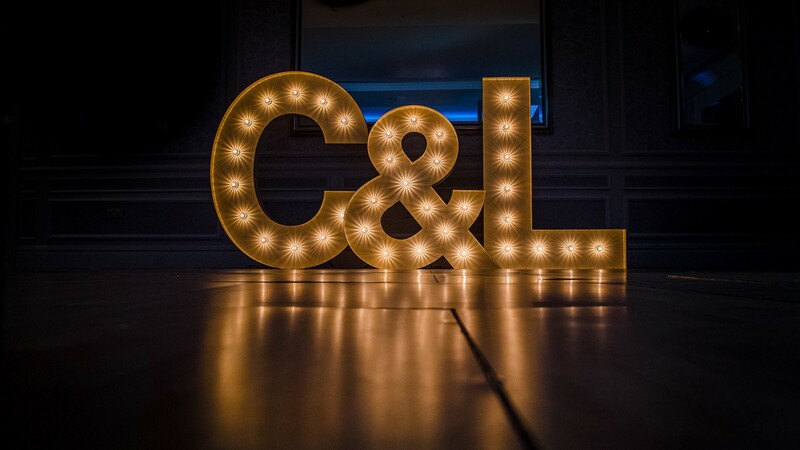 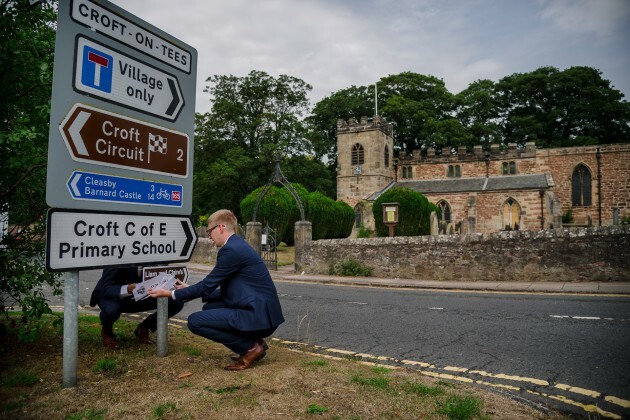 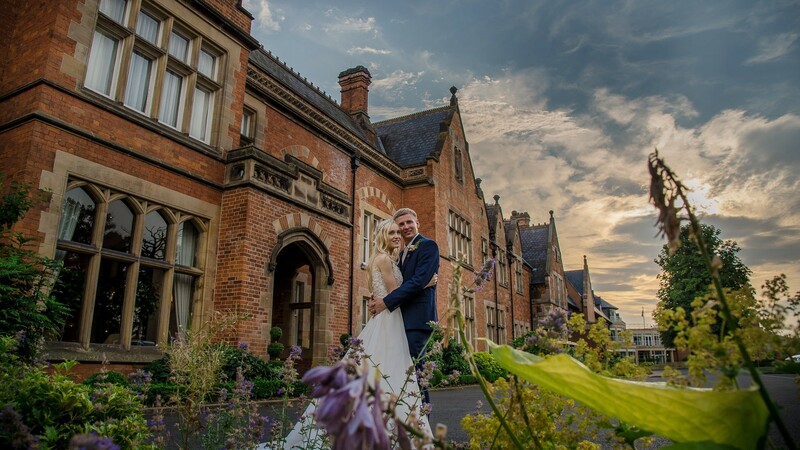 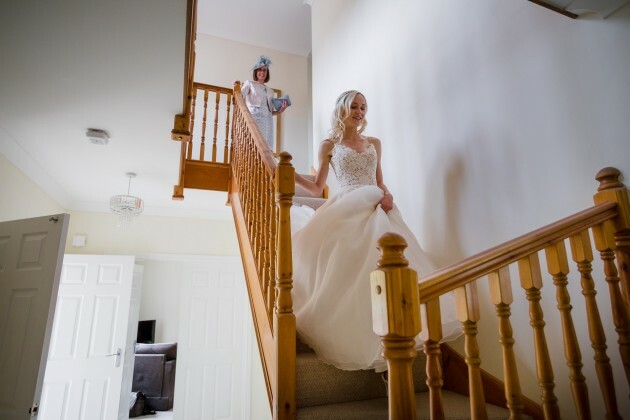 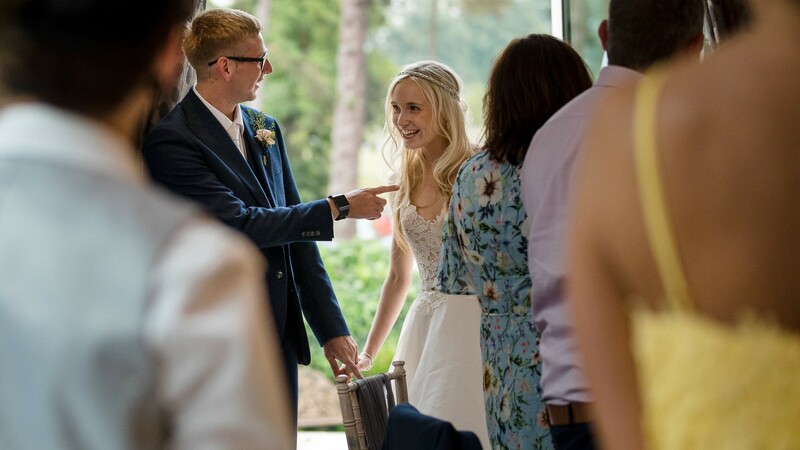 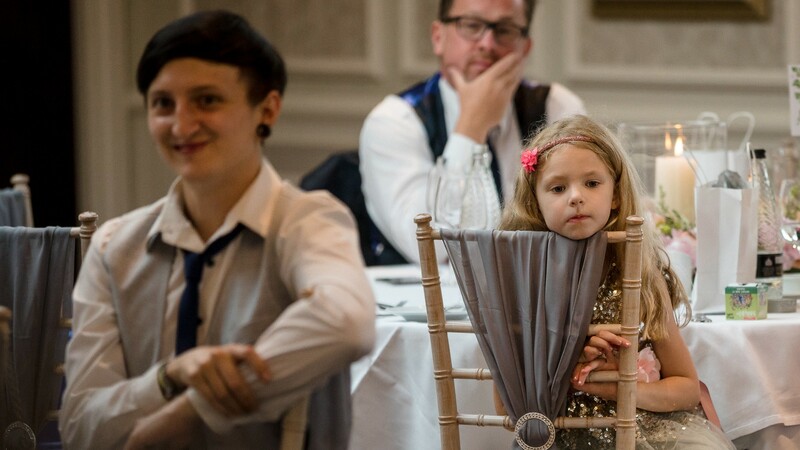 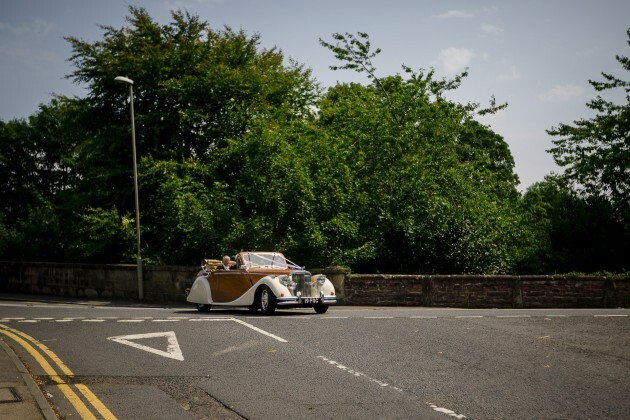 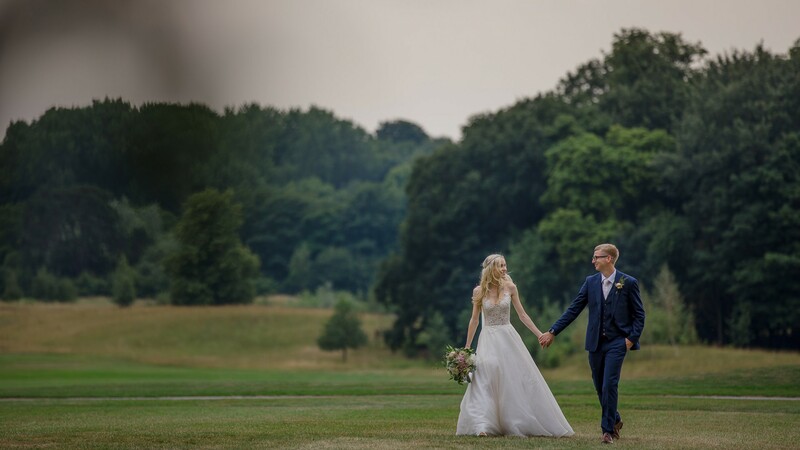 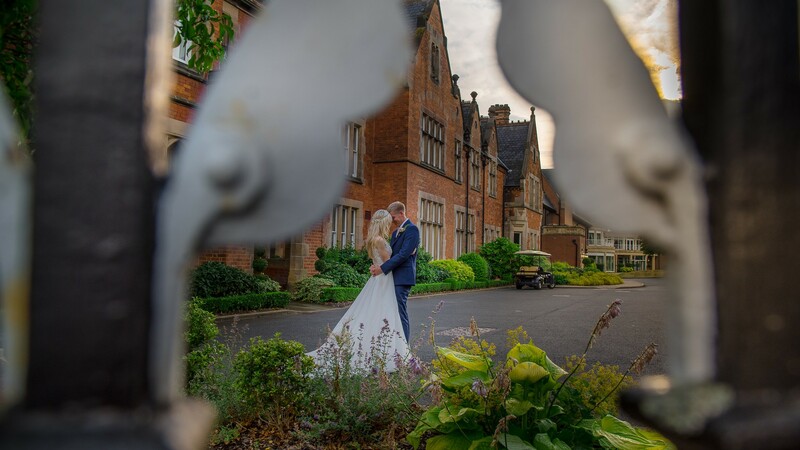 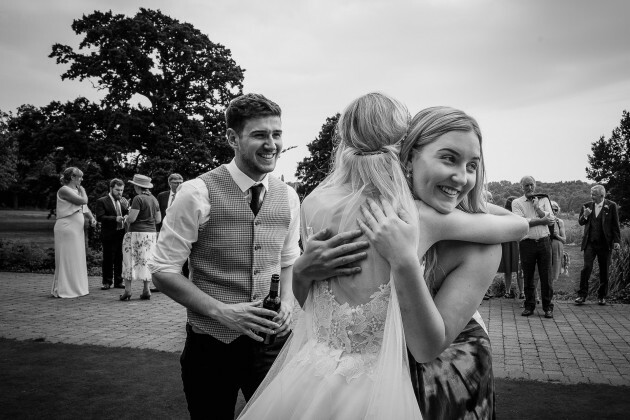 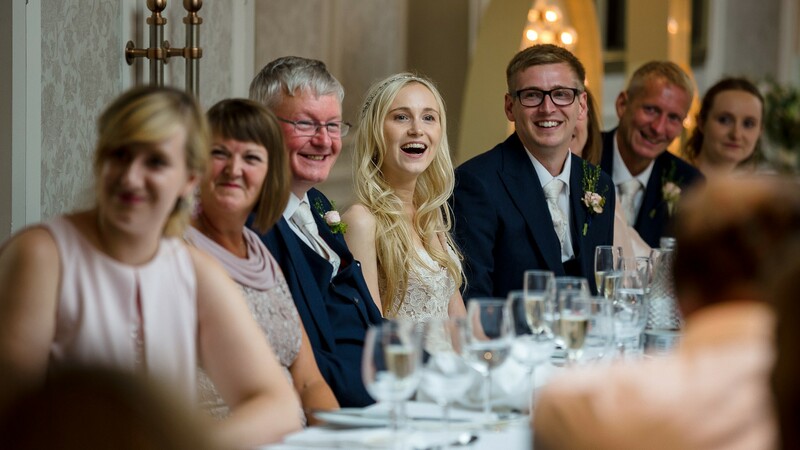 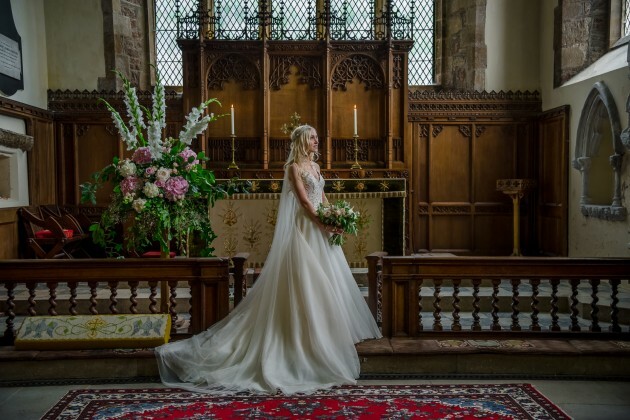 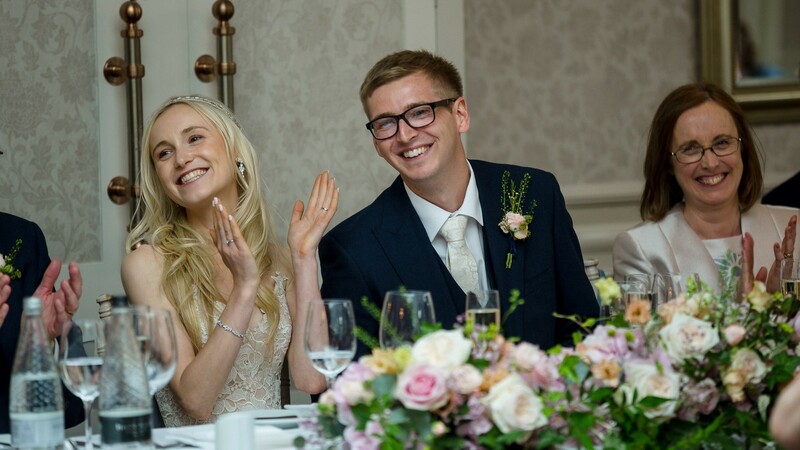 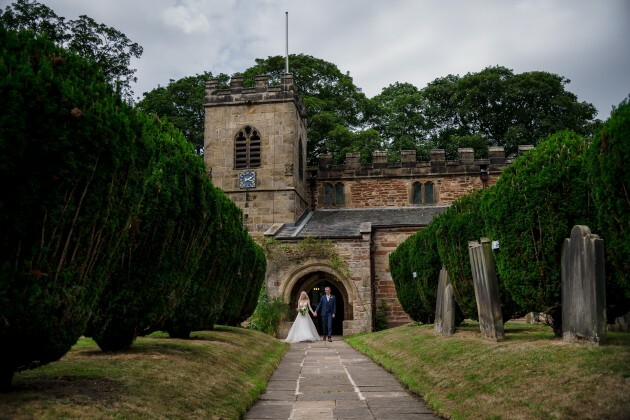 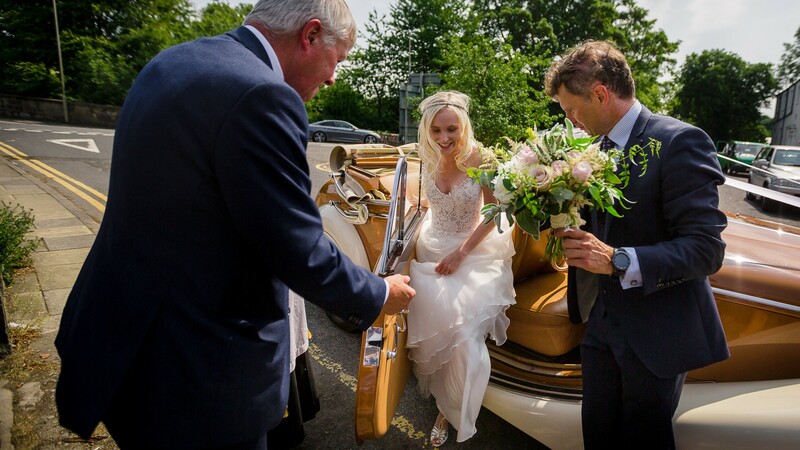 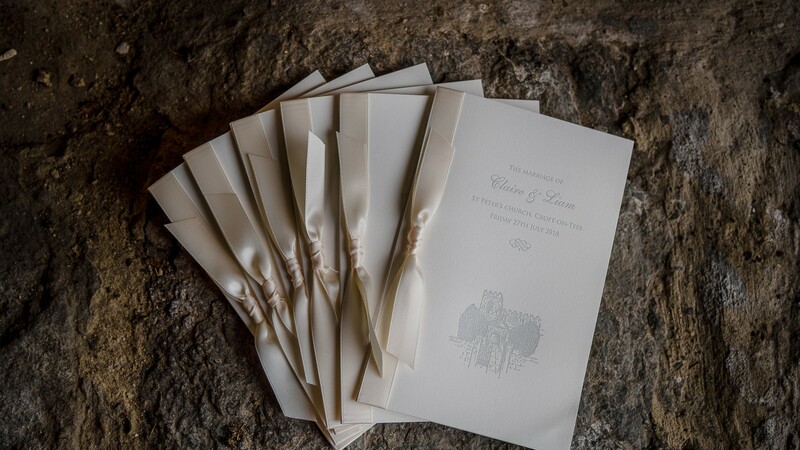 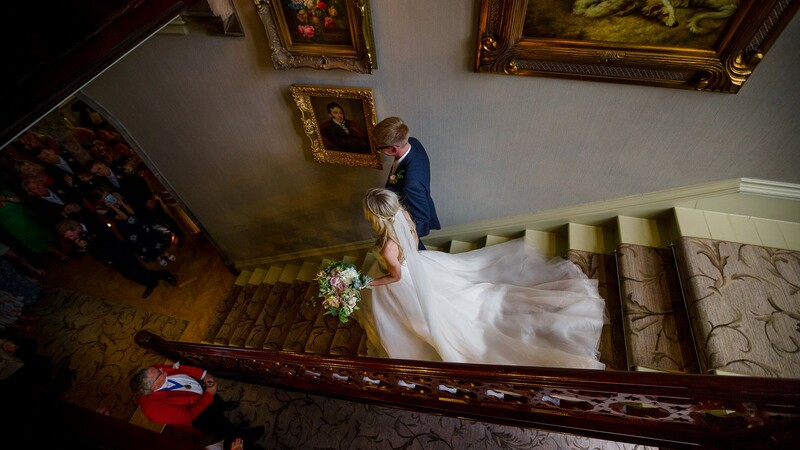 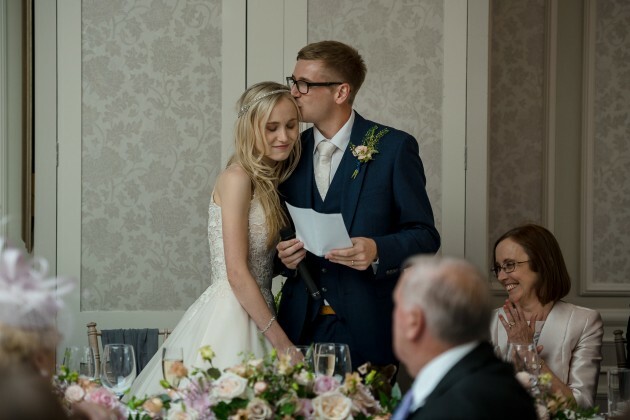 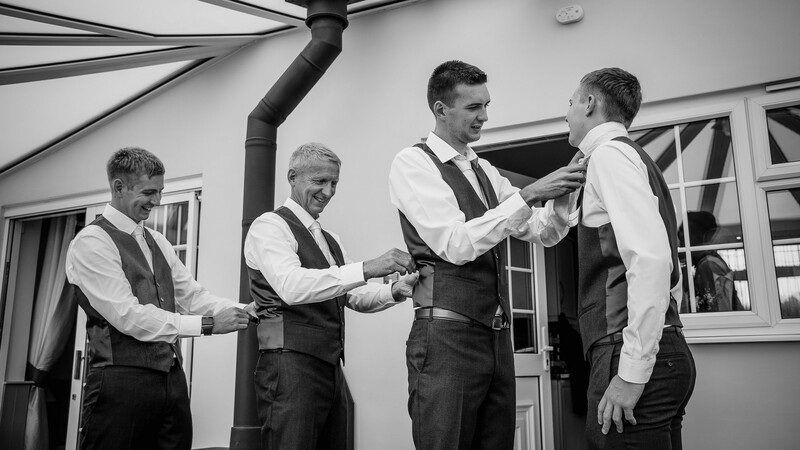 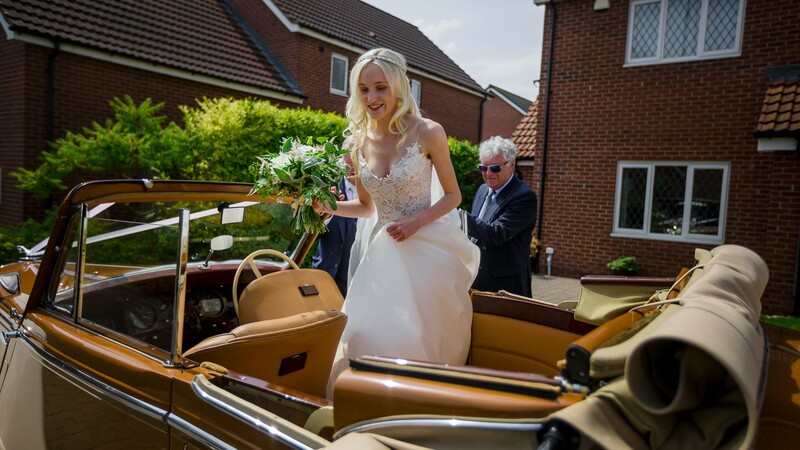 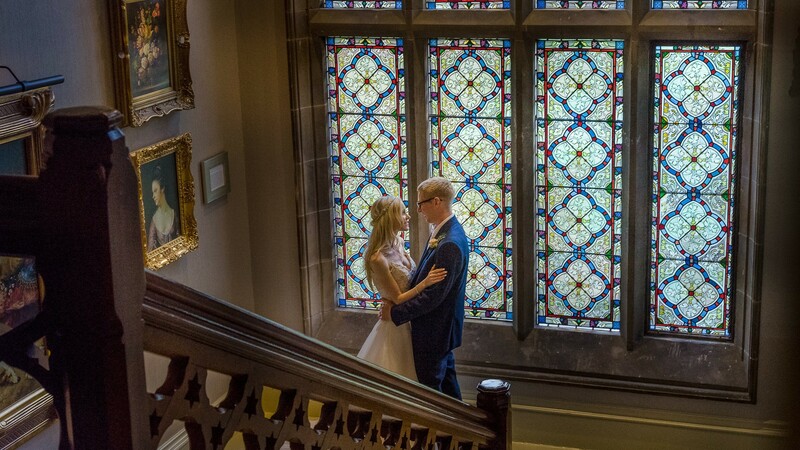 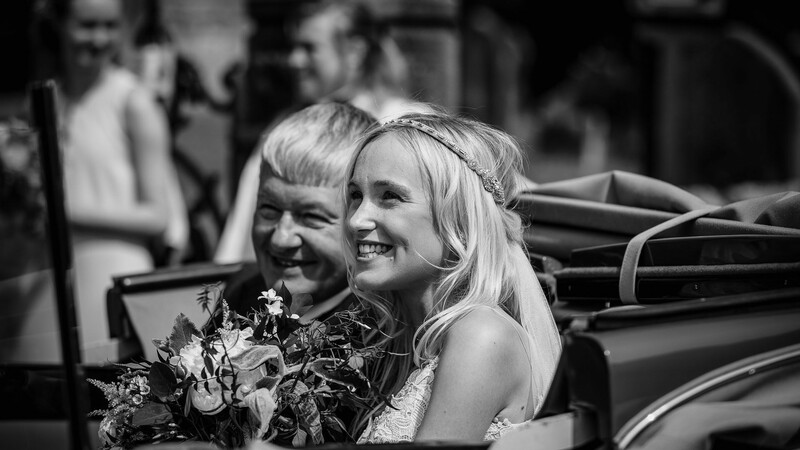 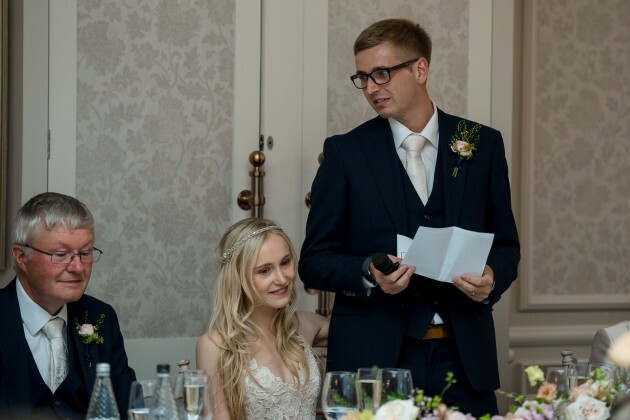 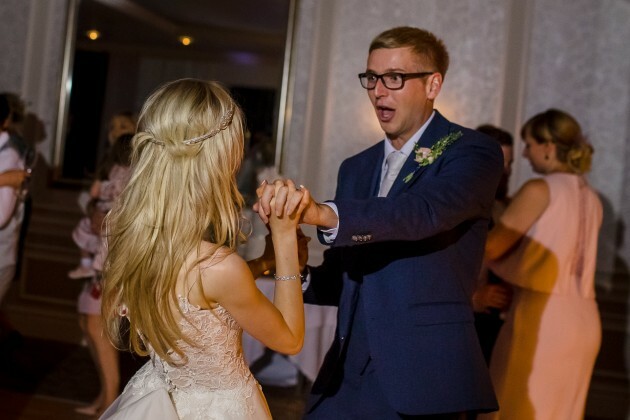 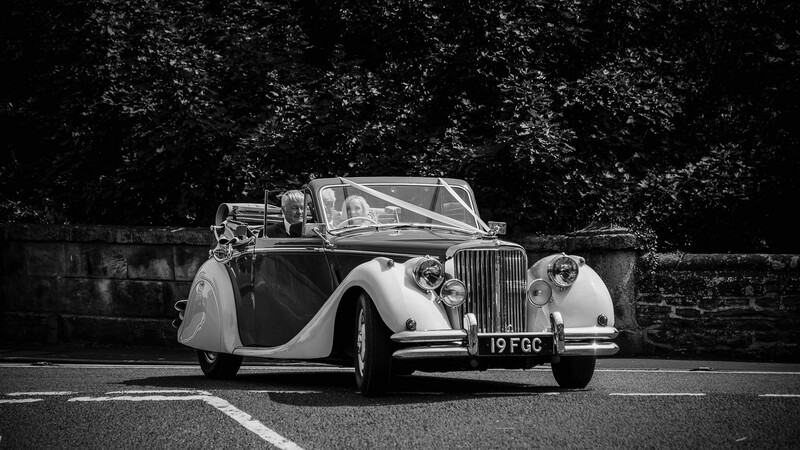 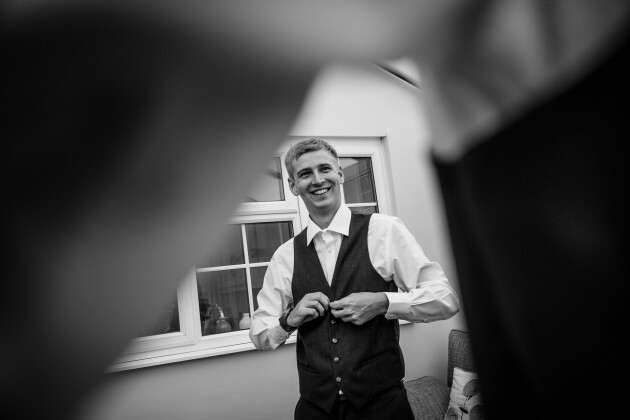 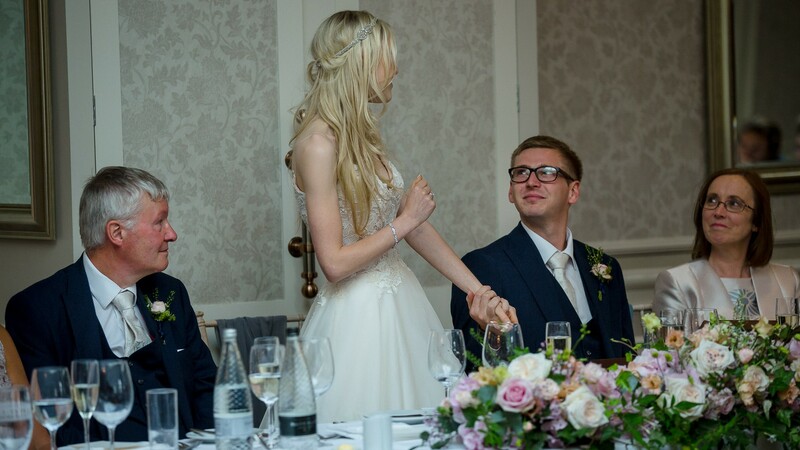 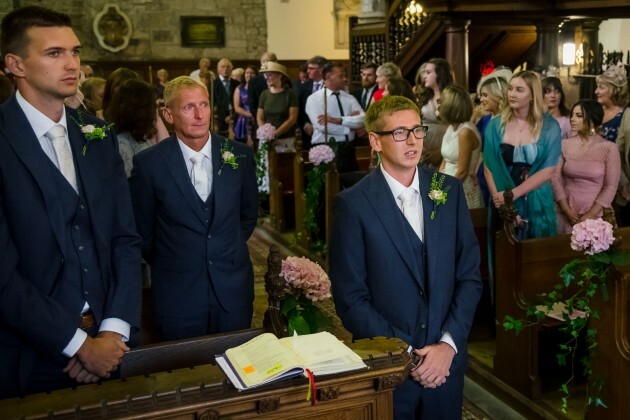 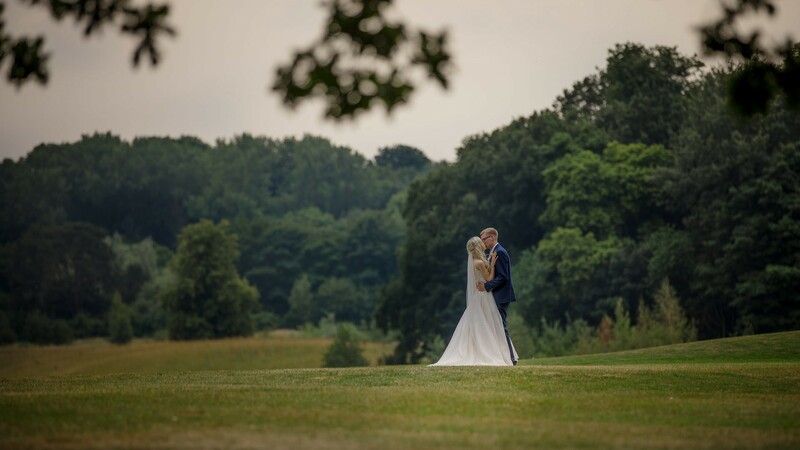 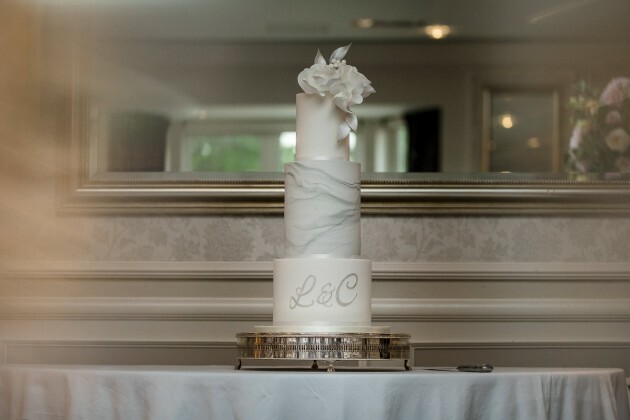 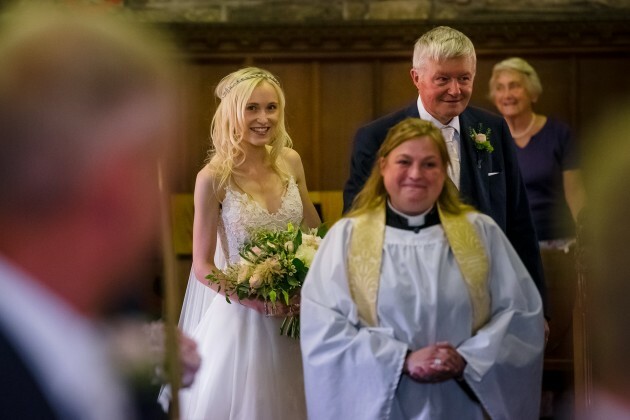 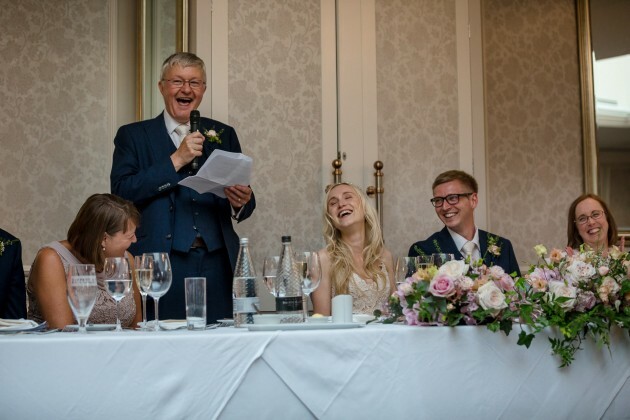 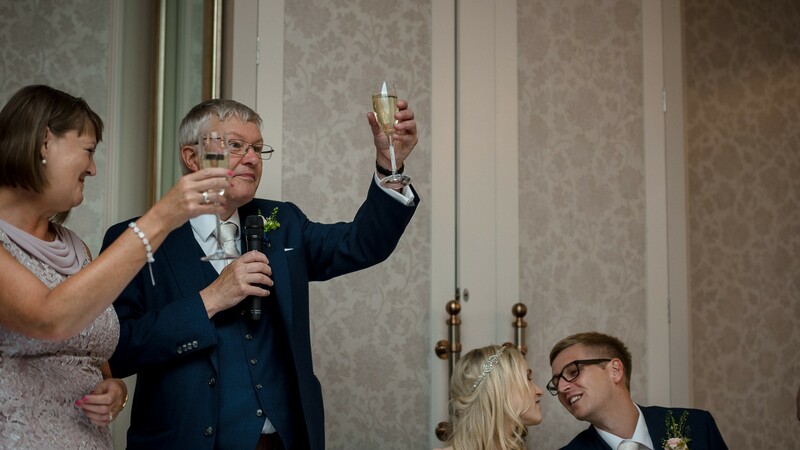 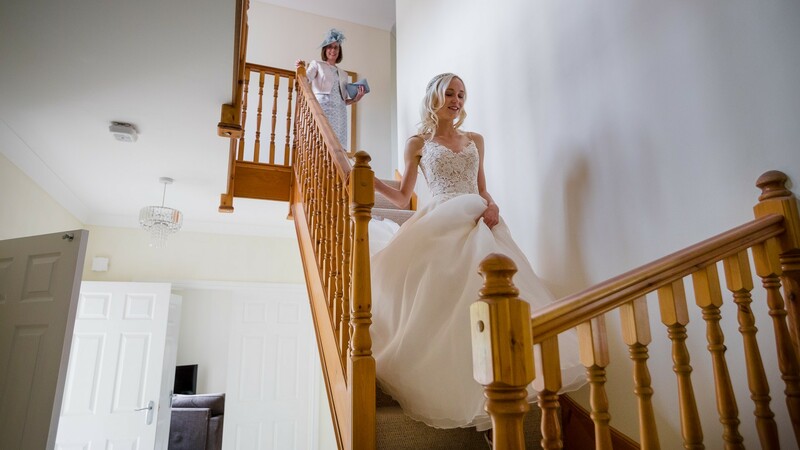 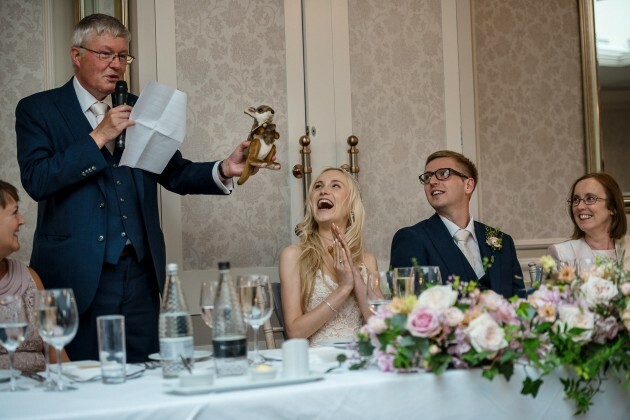 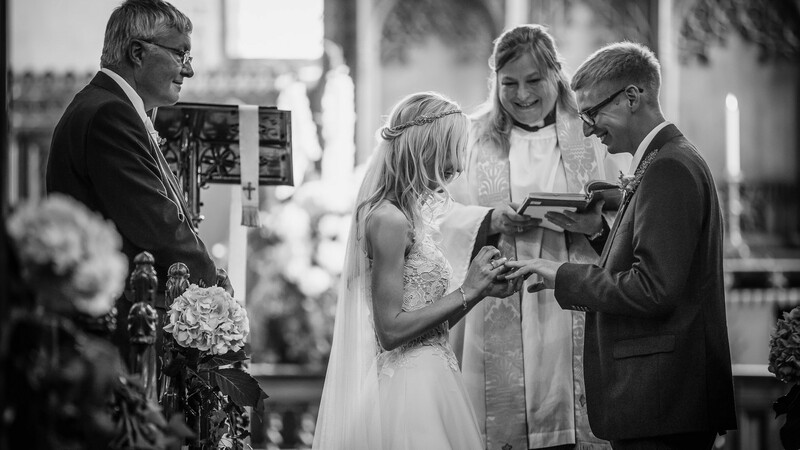 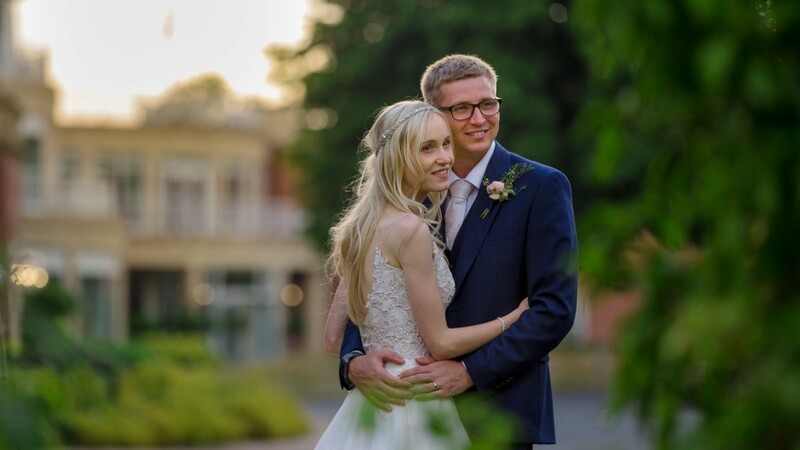 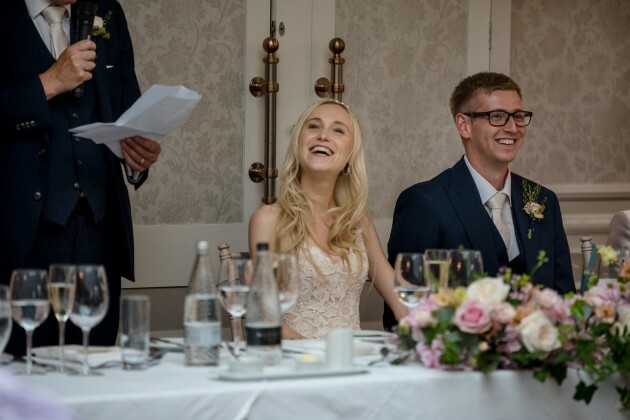 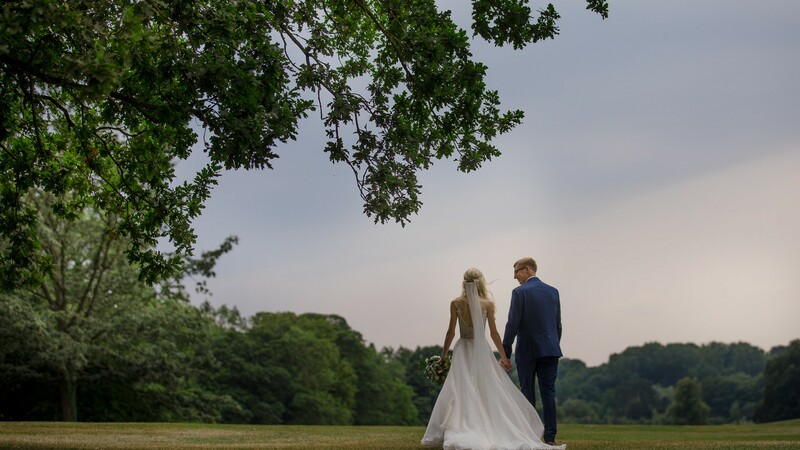 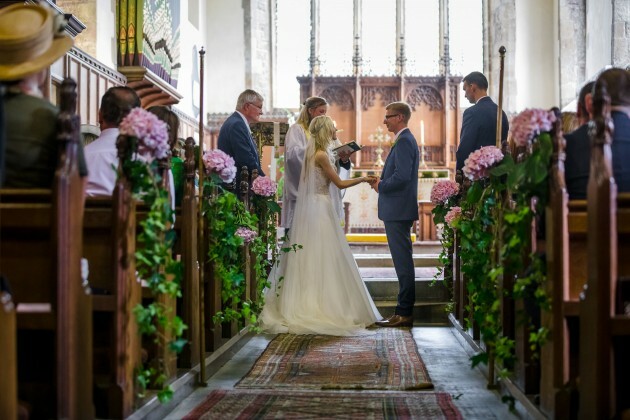 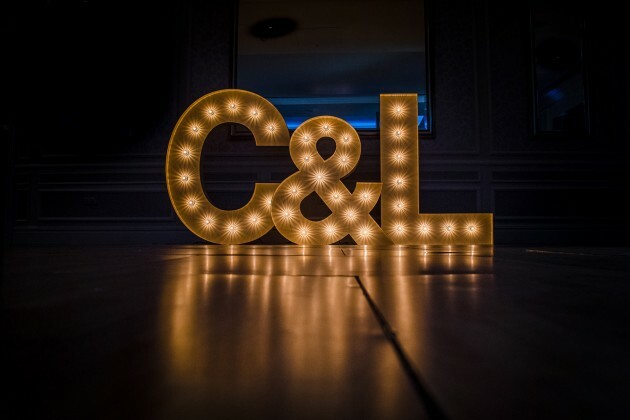 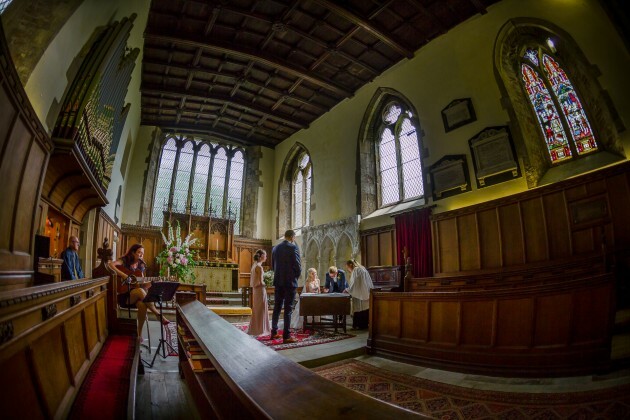 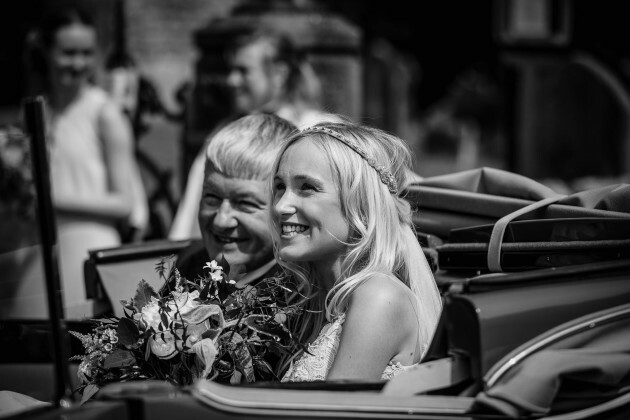 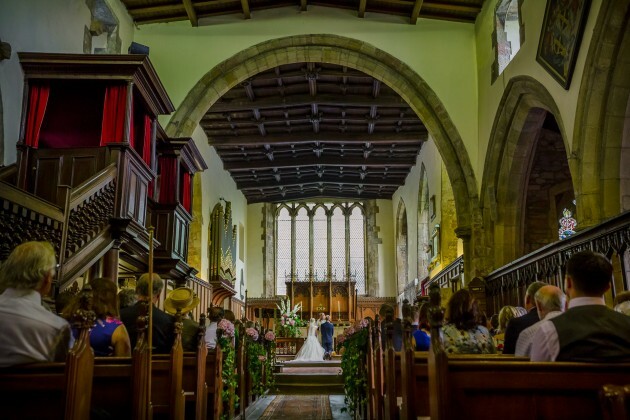 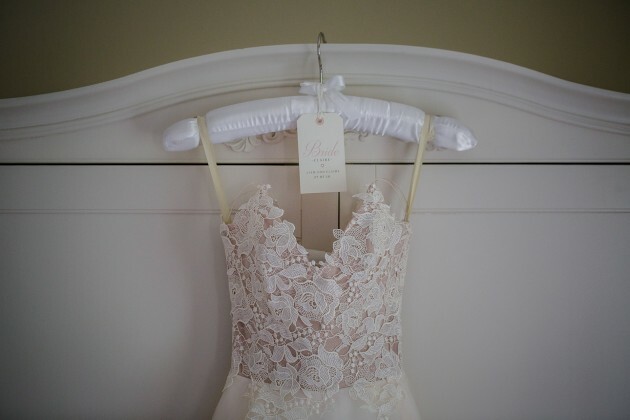 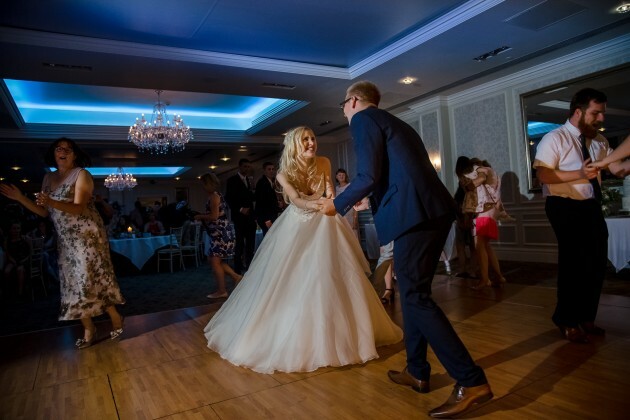 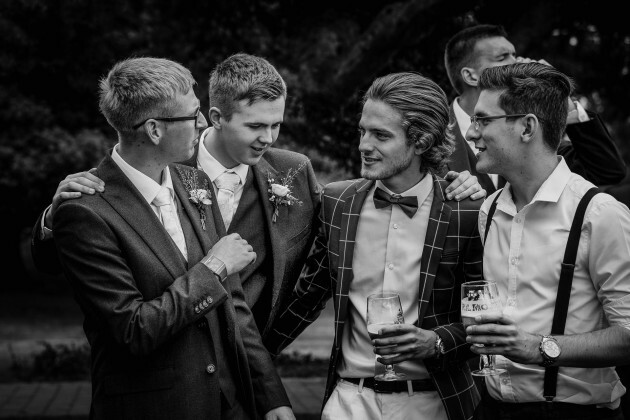 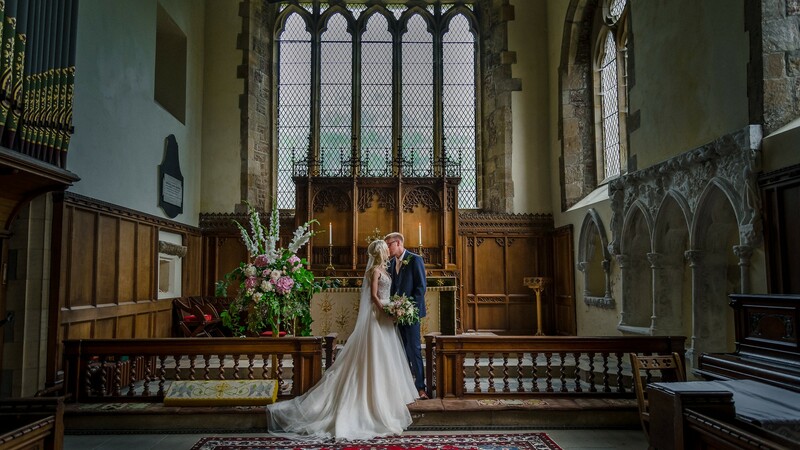 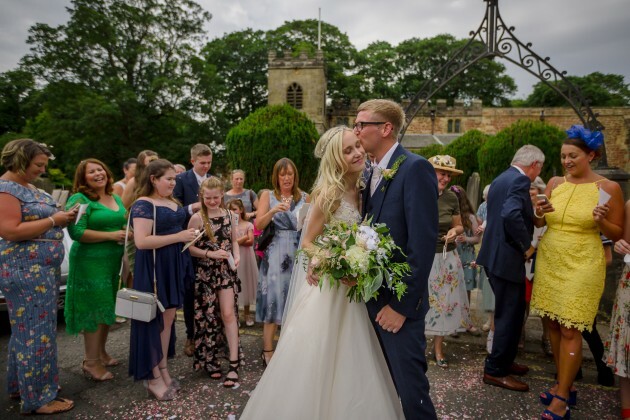 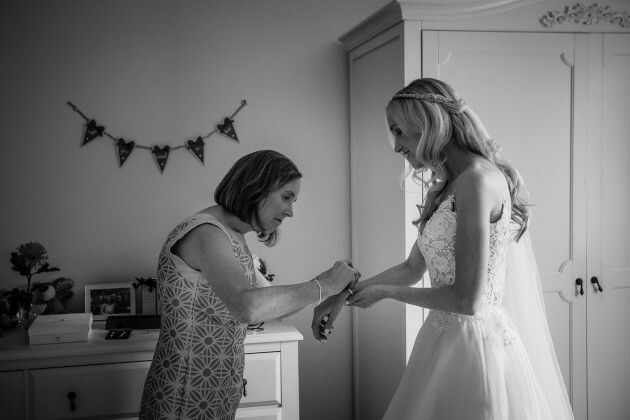 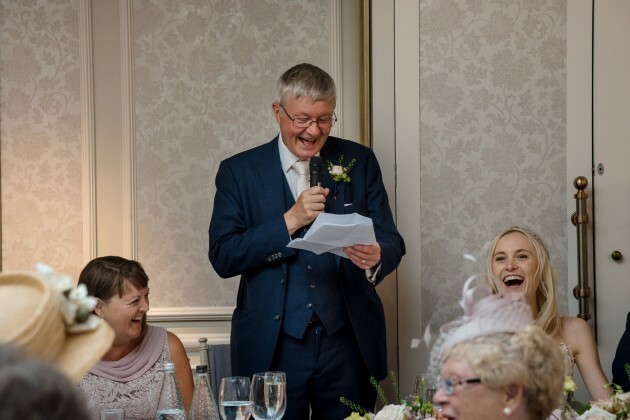 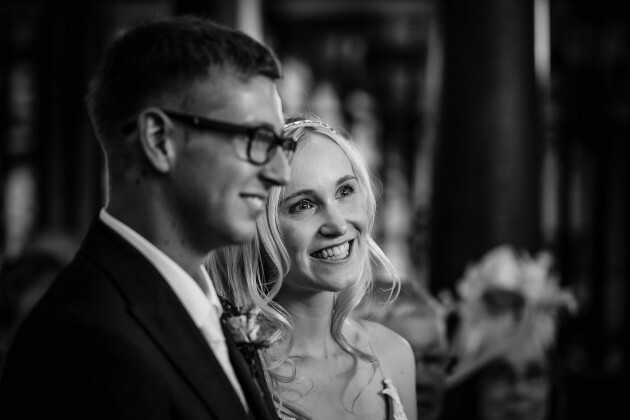 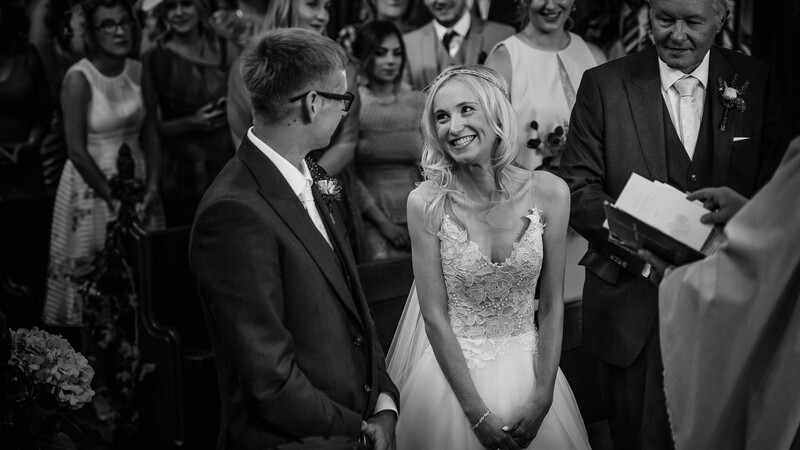 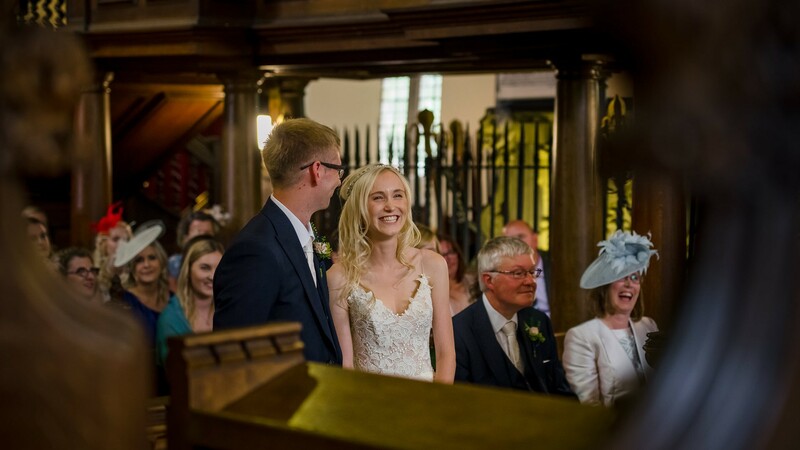 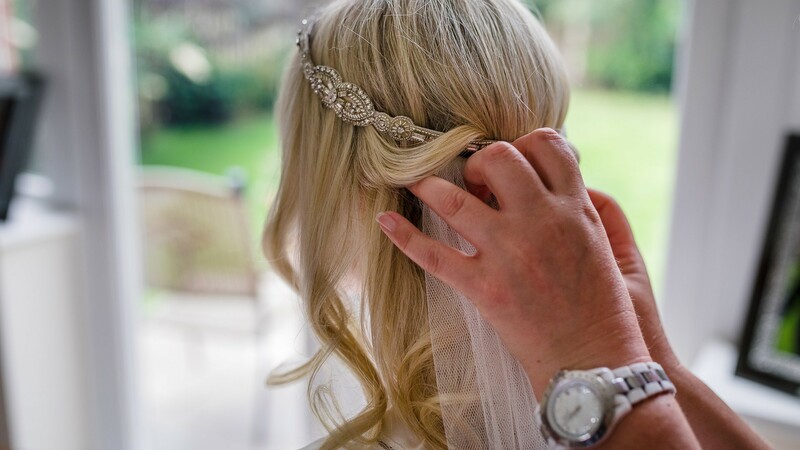 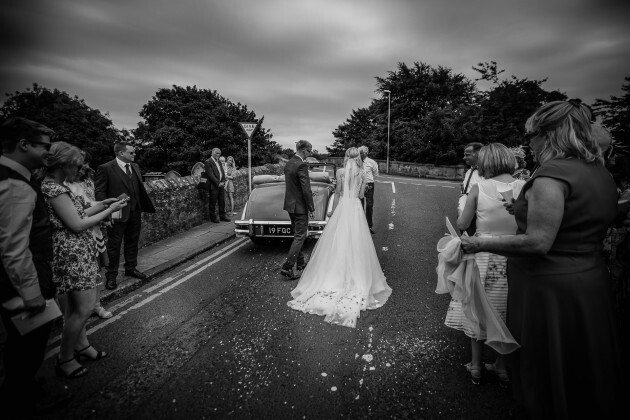 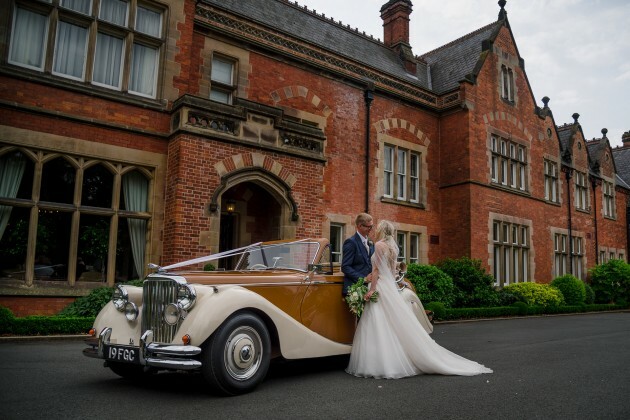 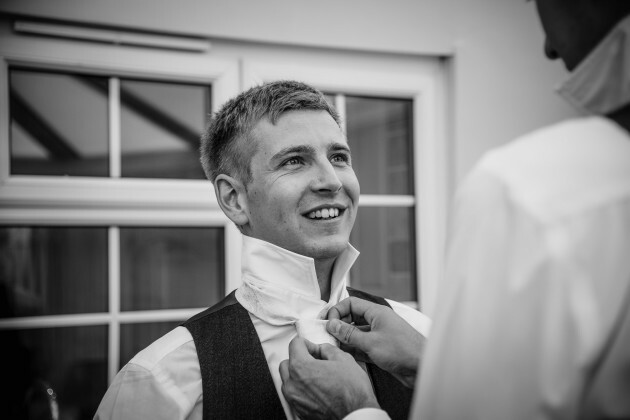 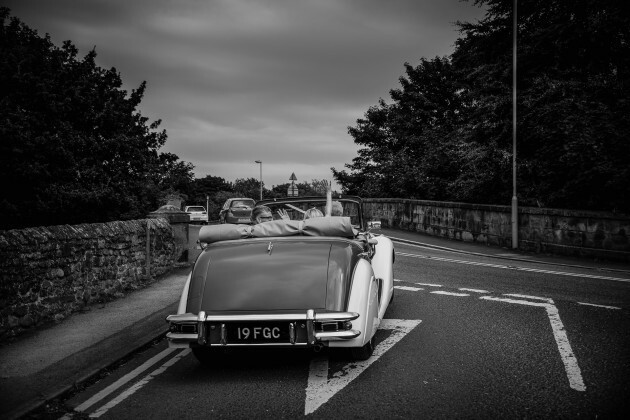 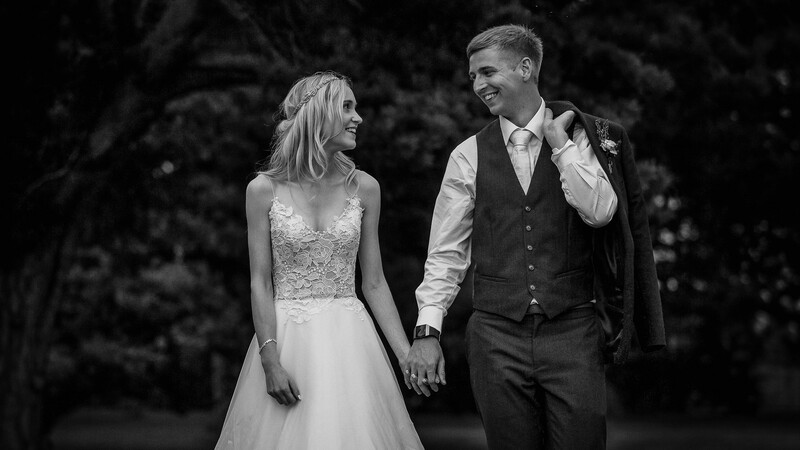 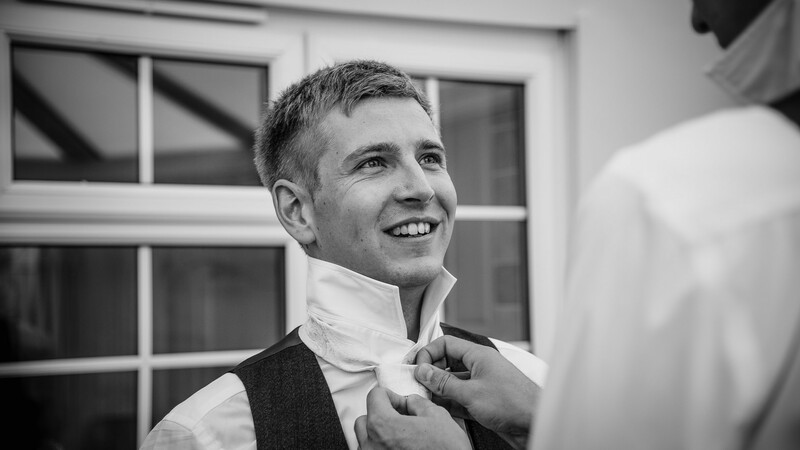 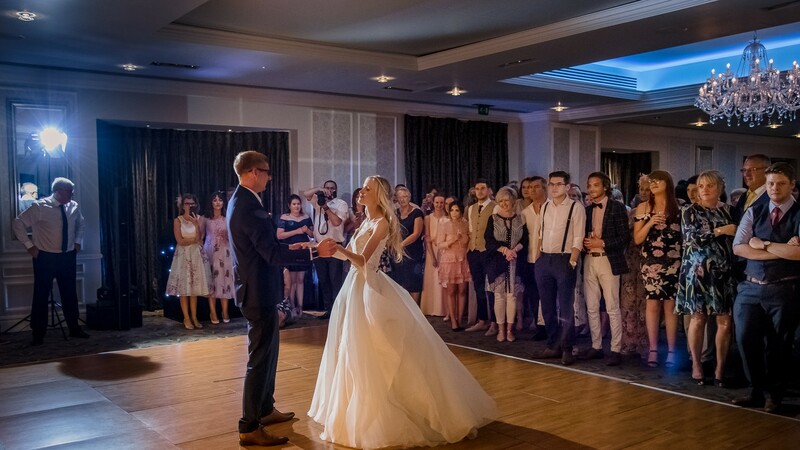 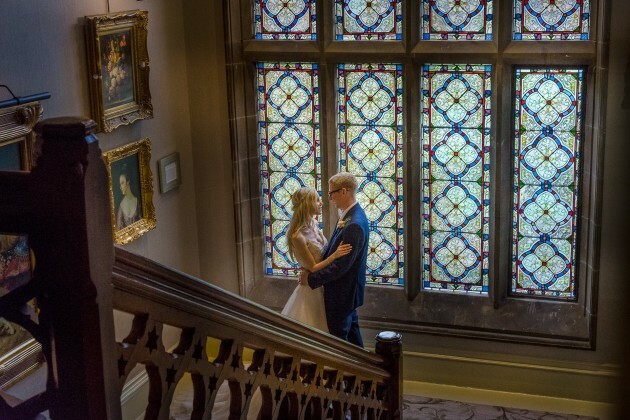 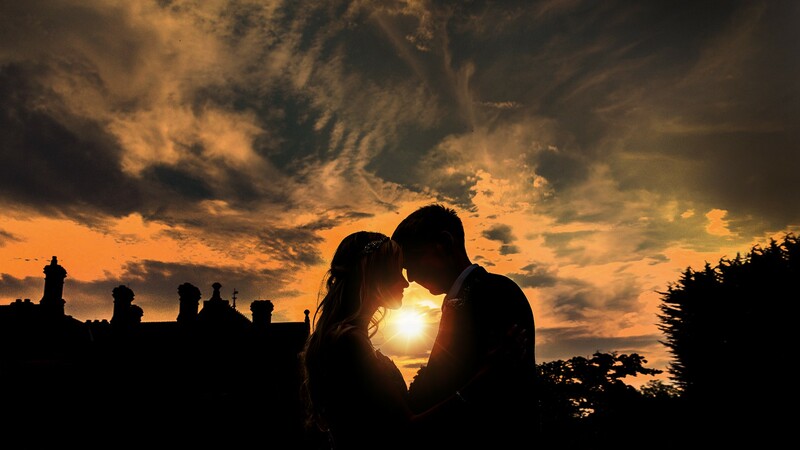 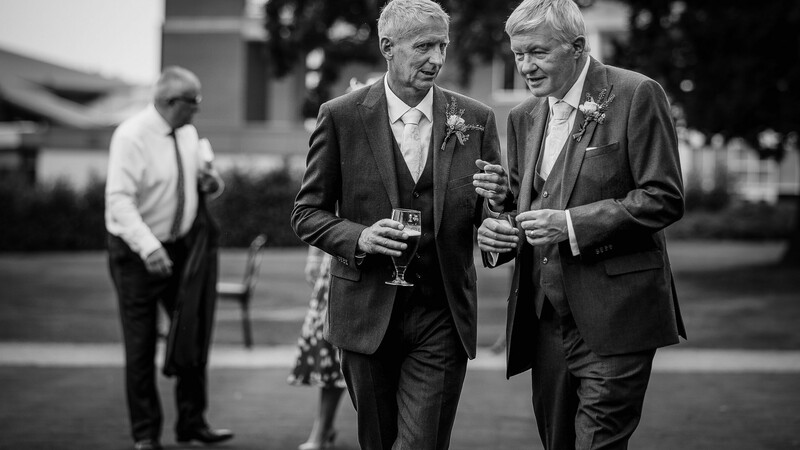 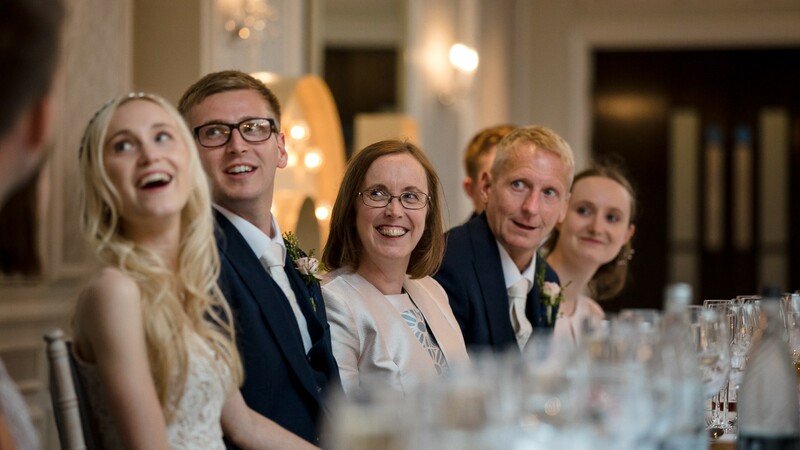 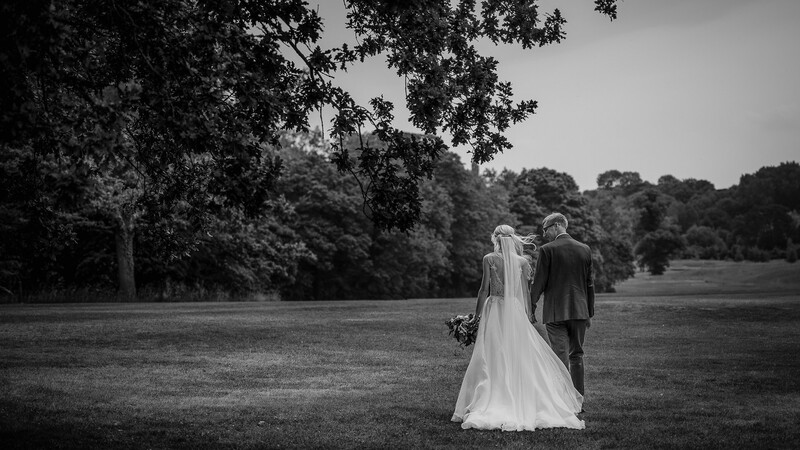 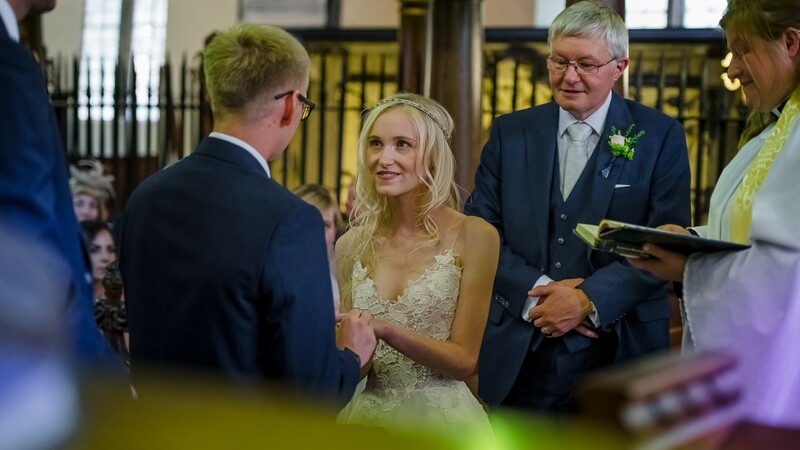 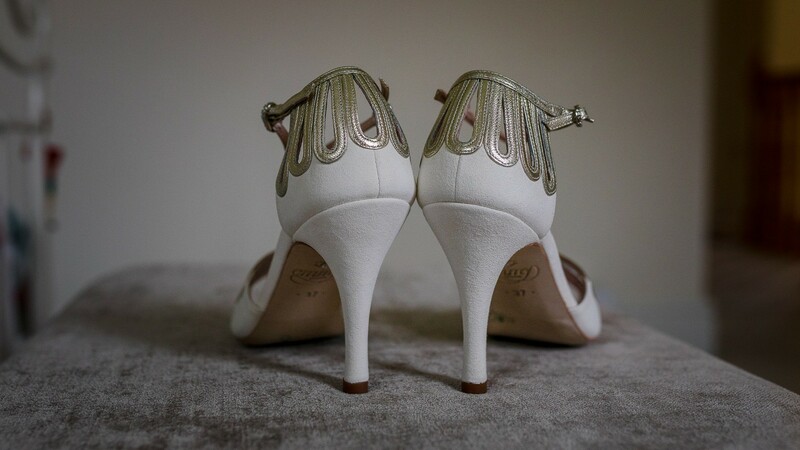 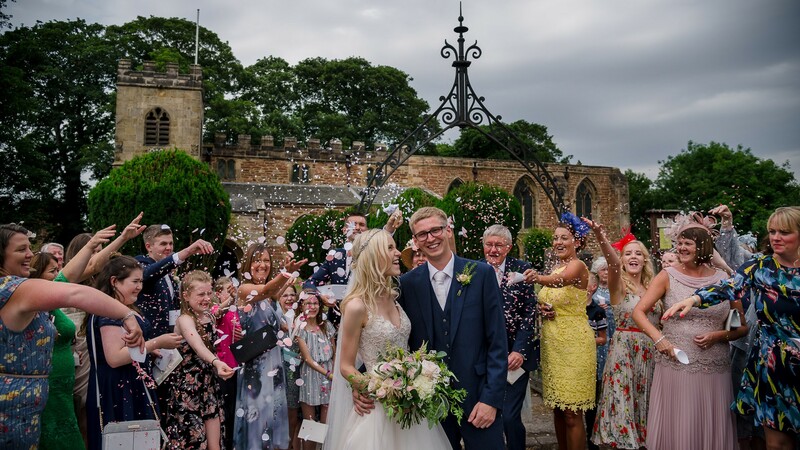 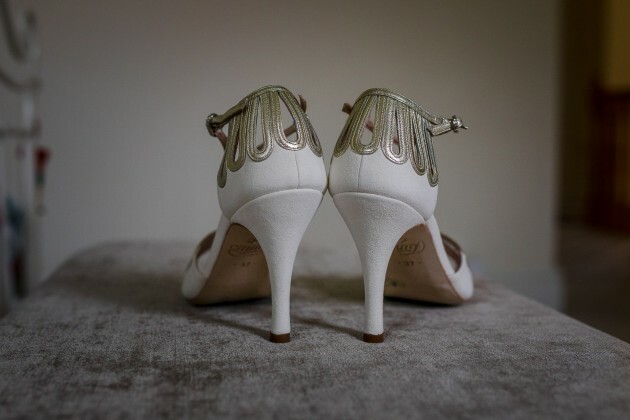 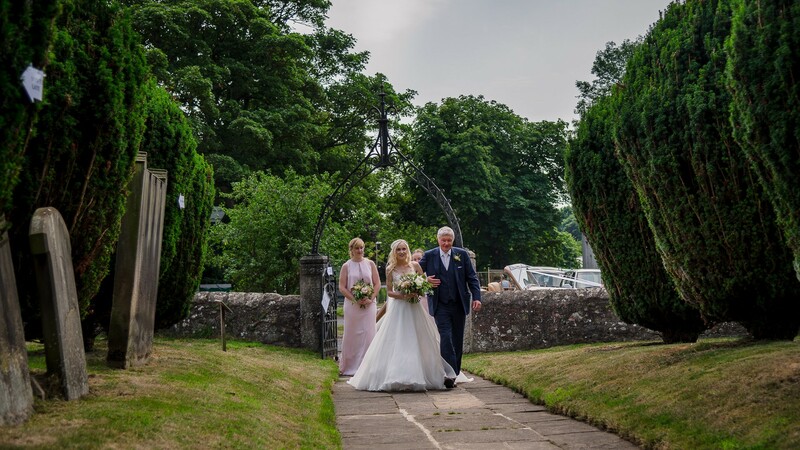 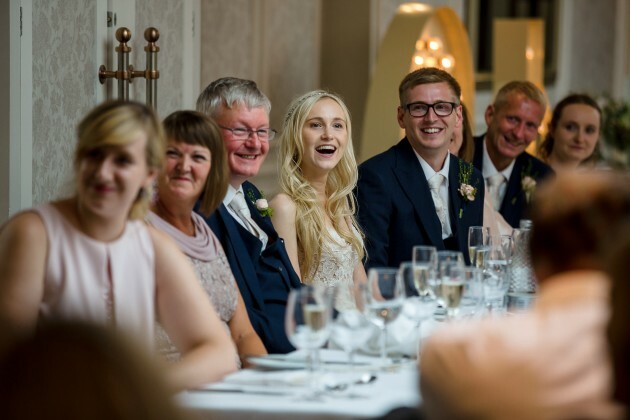 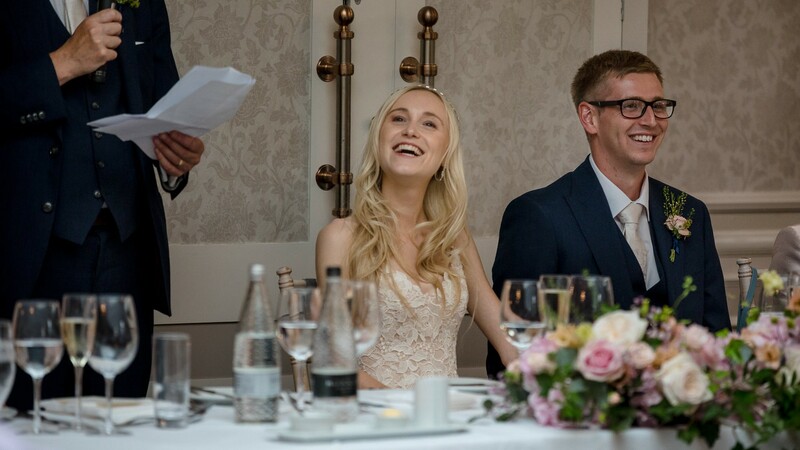 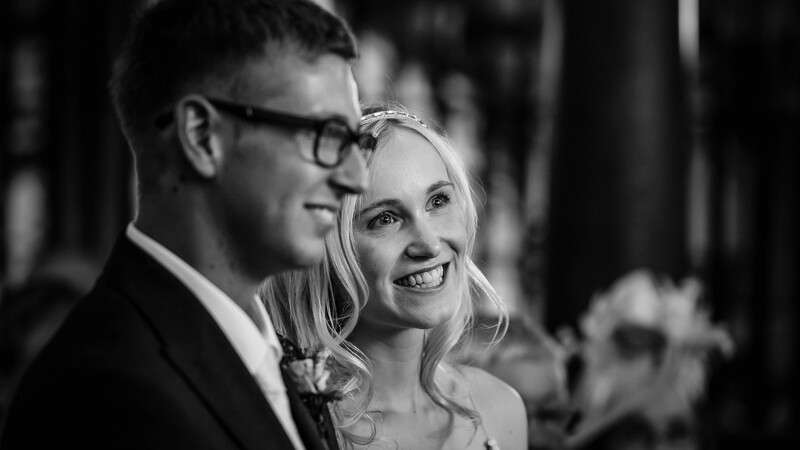 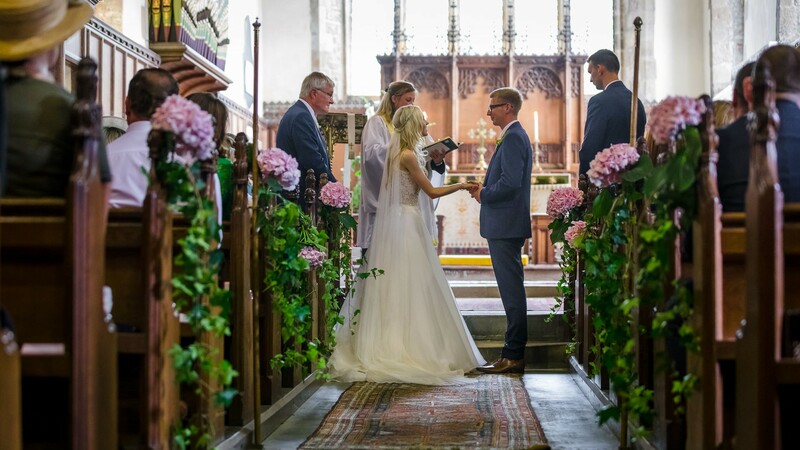 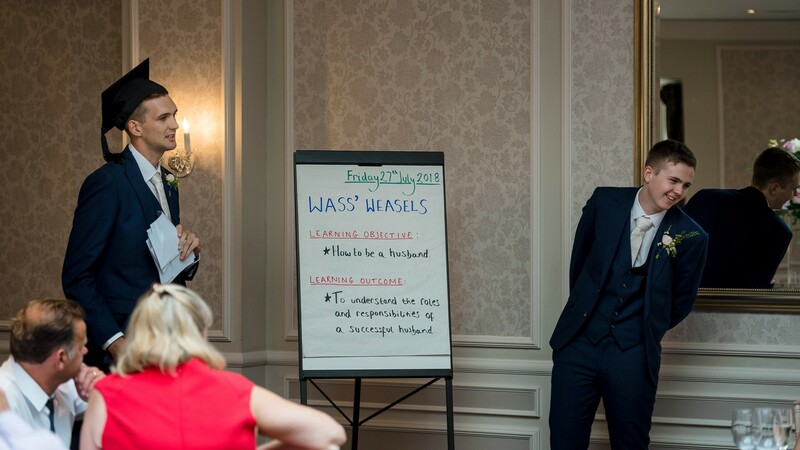 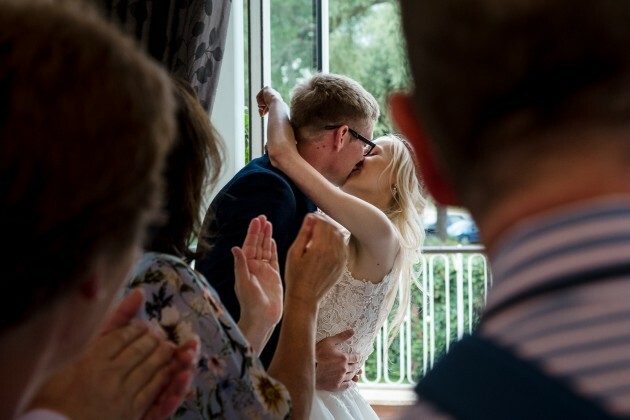 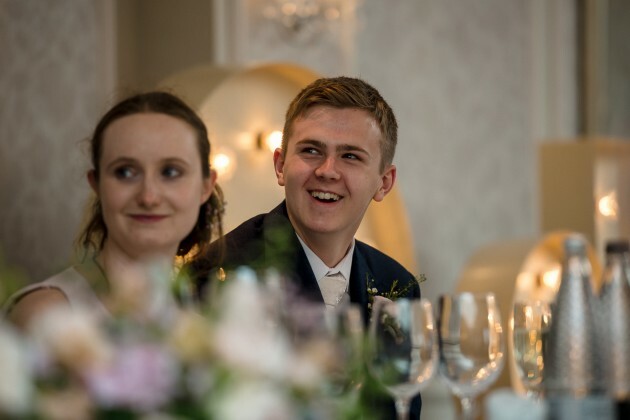 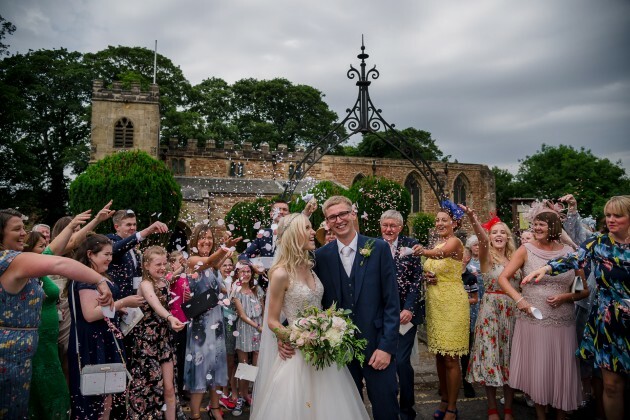 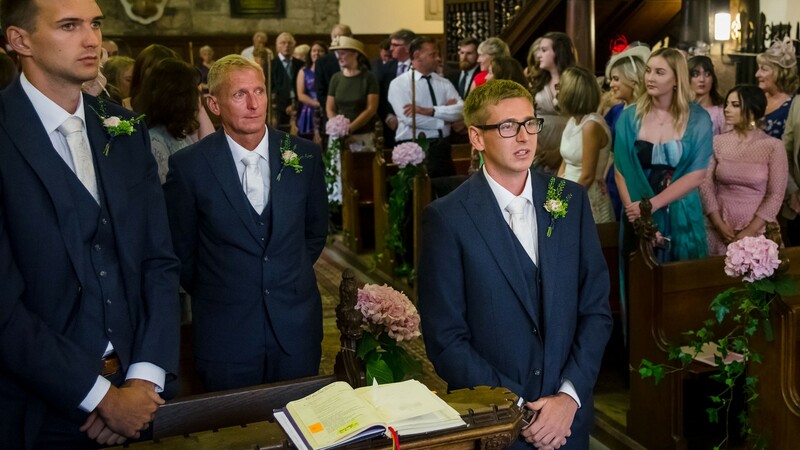 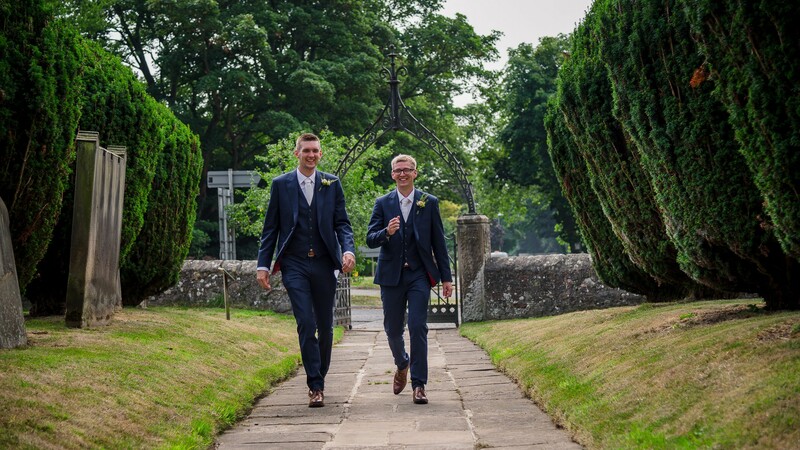 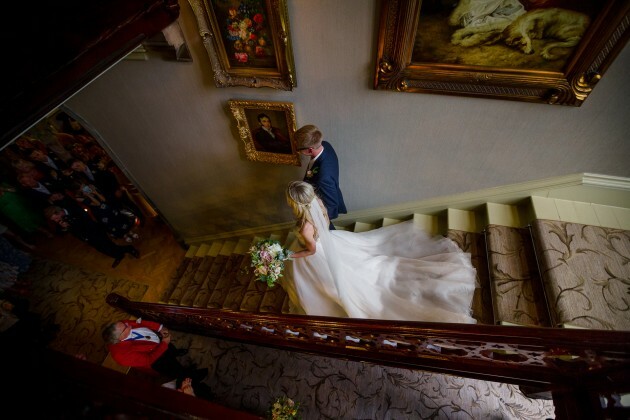 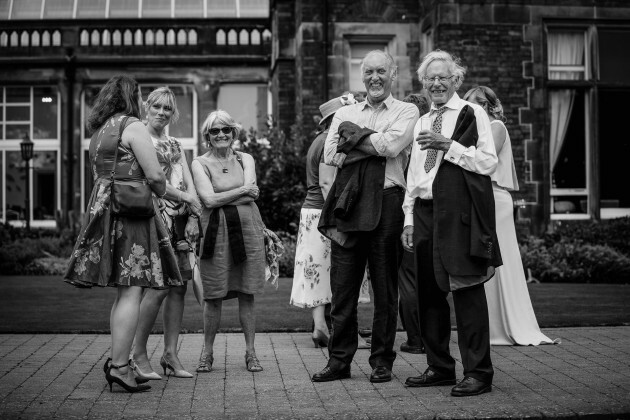 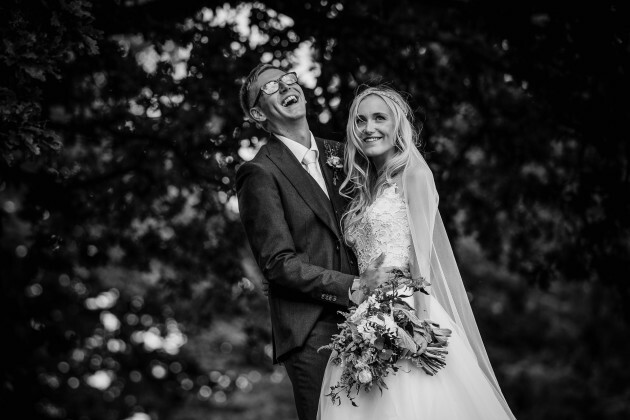 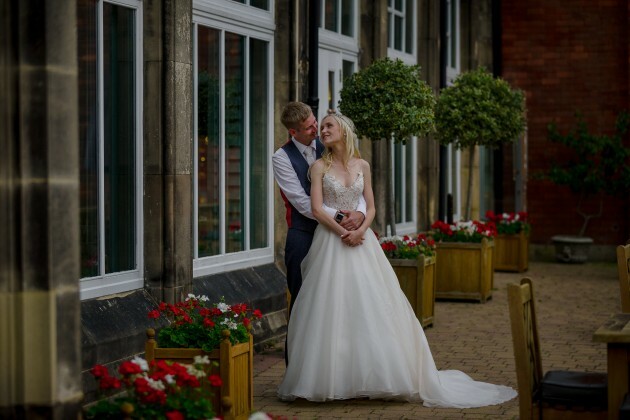 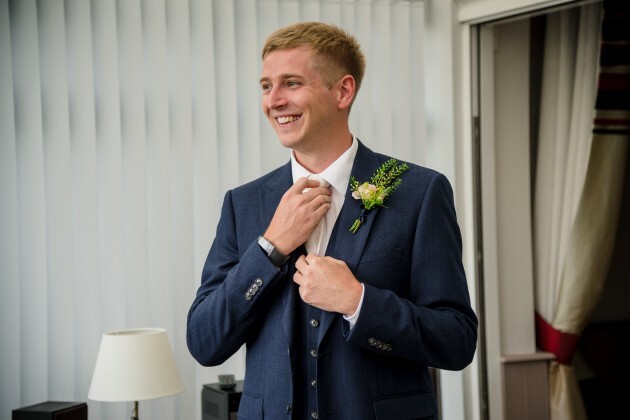 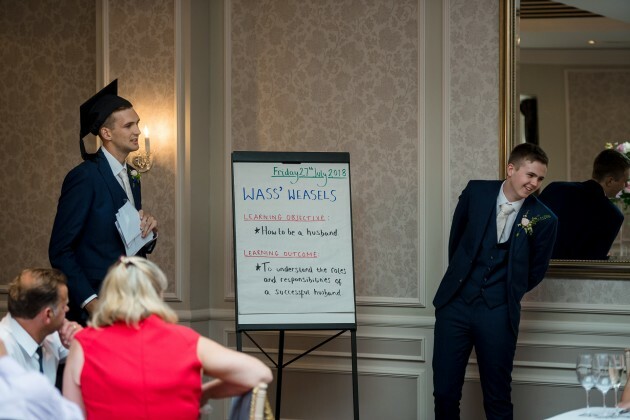 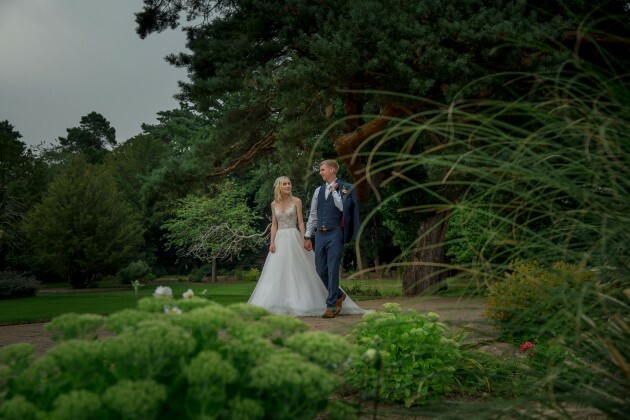 We knew as soon as we met Claire and Liam we were going to love their wedding, what isn't there to love about an a Wedding Ceremony at Croft on Tees a beautiful country Church in North Yorkshire and a Wedding Ceremony at a five star North East Wedding Venue, Rockliffe Hall. 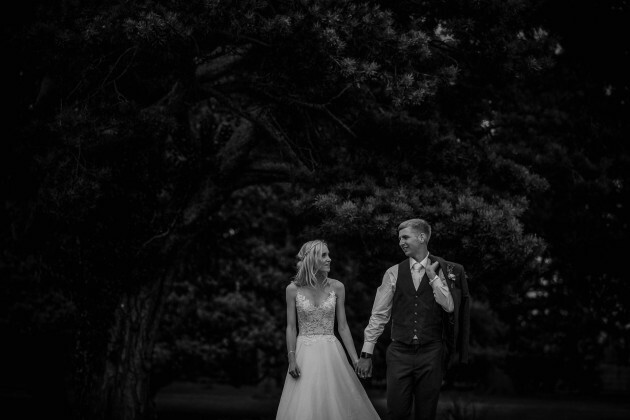 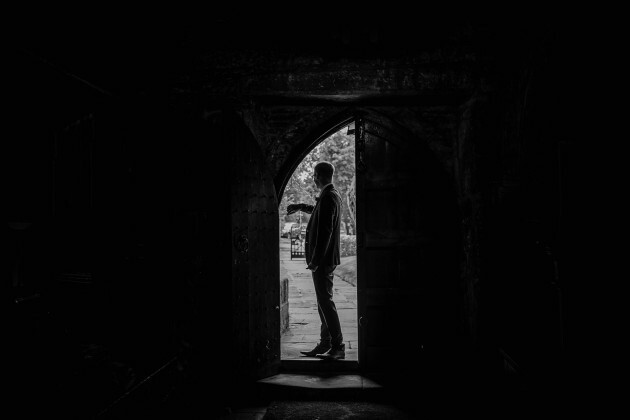 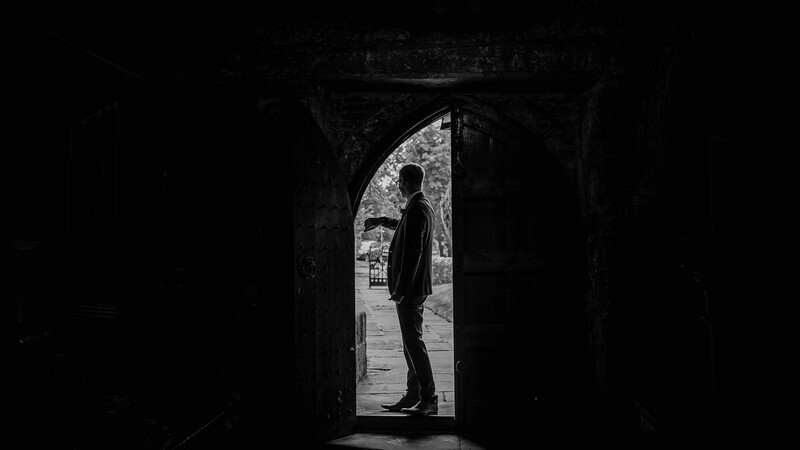 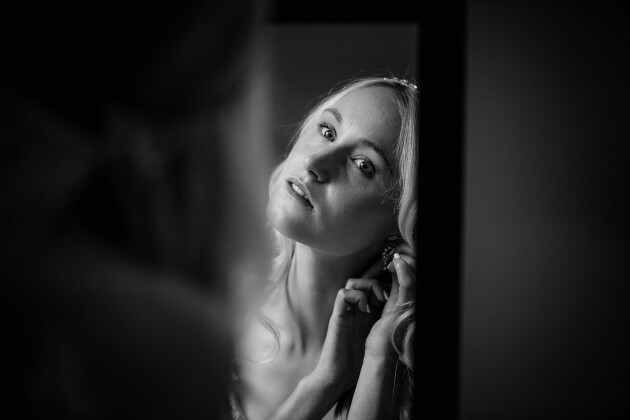 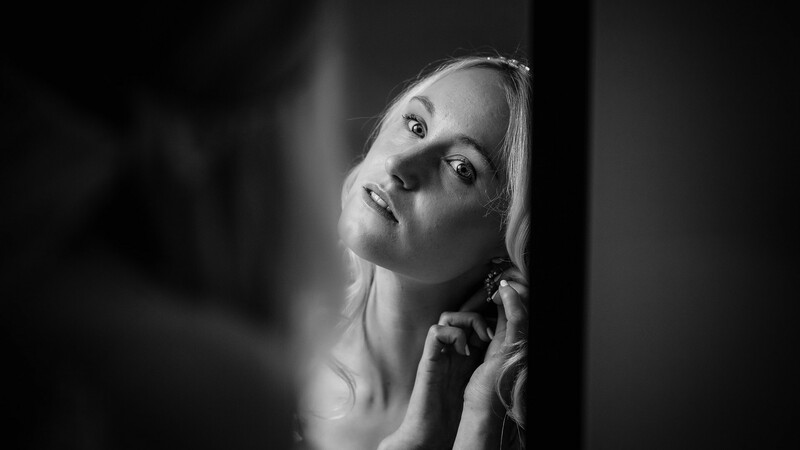 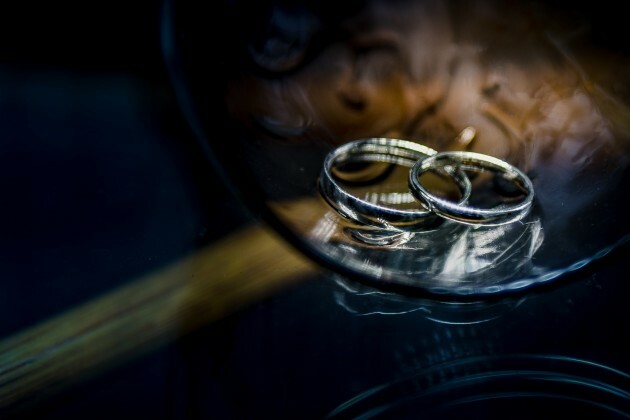 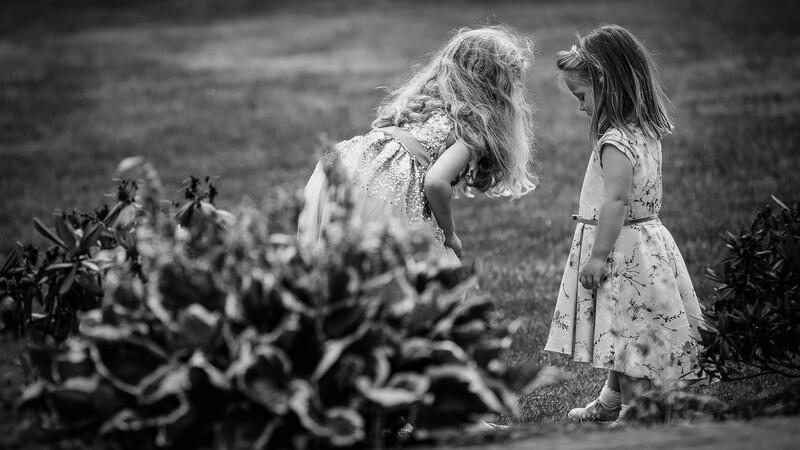 They are quite a shy couple but were keen to have a pre wedding shoot as they relised how much more confident and relaxed they would feel about their Wedding Photography on he big day. 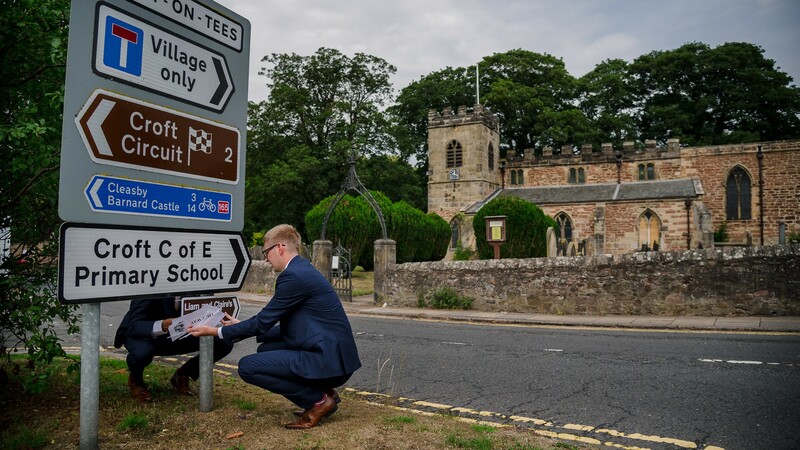 We visited Easby Abbey for the Pre wedding Shoot and too along their adorable family dog, Rolo who found having her photograph taken rather tiring, but humoured us enough to pose when neccesary. 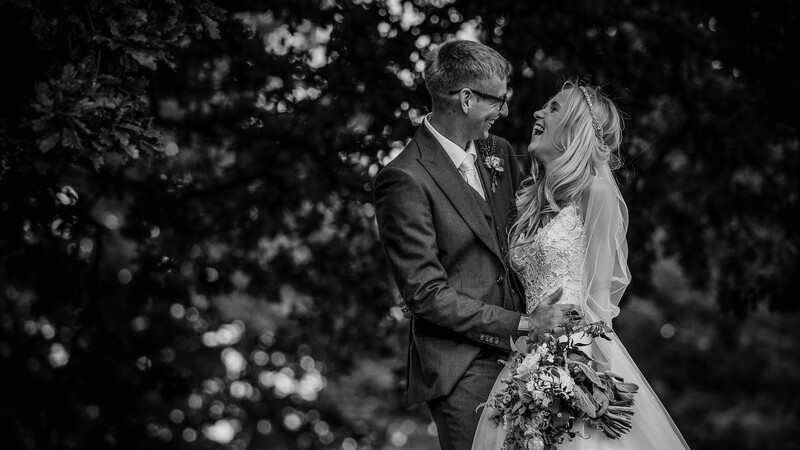 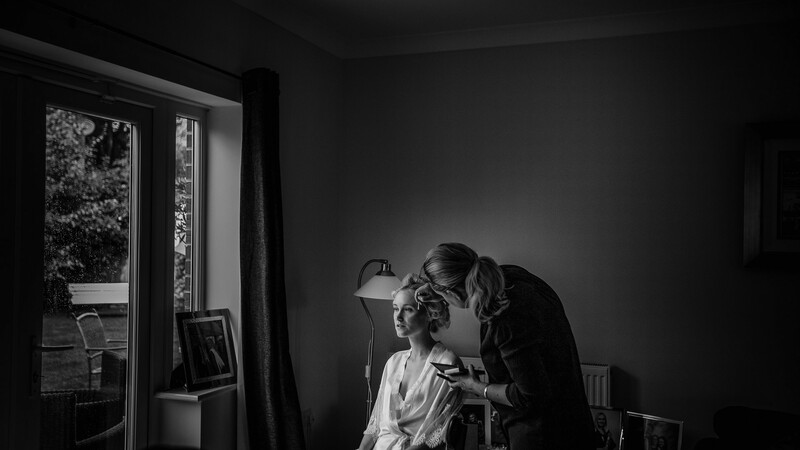 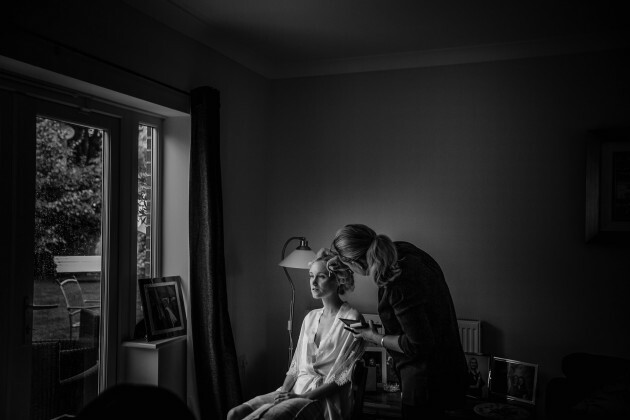 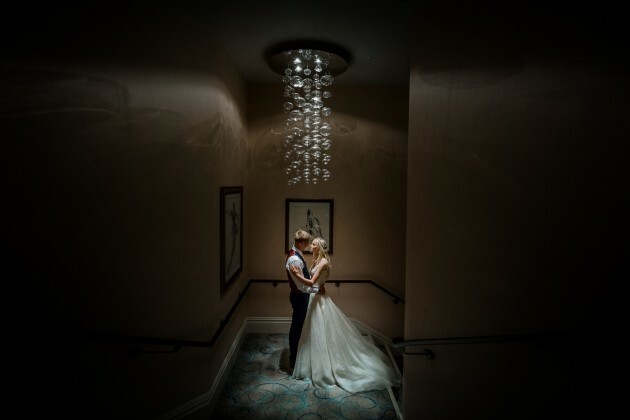 We discovered that Claire and Liam were really easy to photograph as they are so relaxed in each others company and interact so beautifully together, so it definitely made tham so much more confident about their Wedding Day. 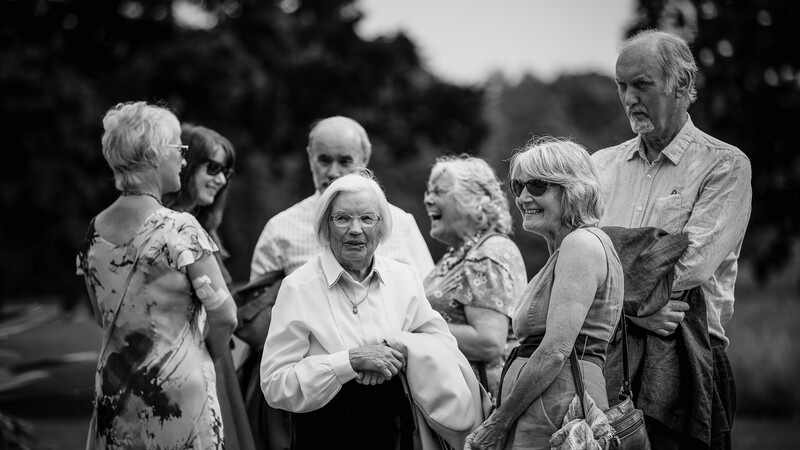 Looking at the weather forecast the day before we were a little disppointed to discover that in amongst this beautiful summer weather we were having there was quite a bit of rain forecast, but hey ho what do they know and fortunately the weather forecasters got in mainly wrong and the sun did shine for us most of the day. 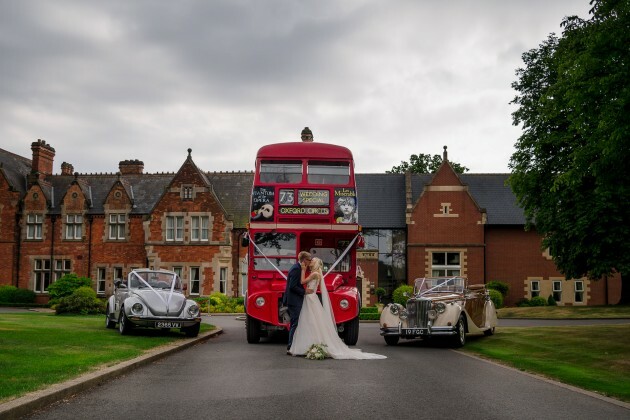 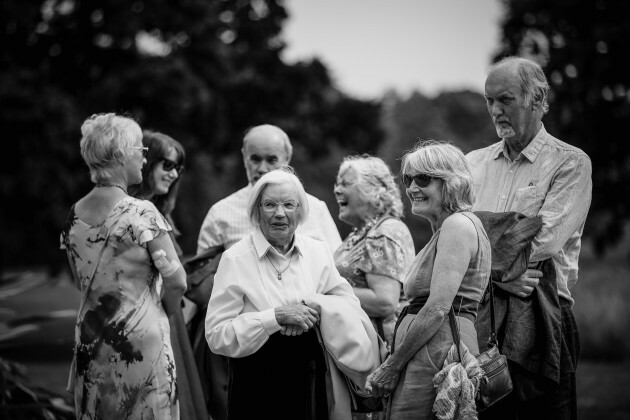 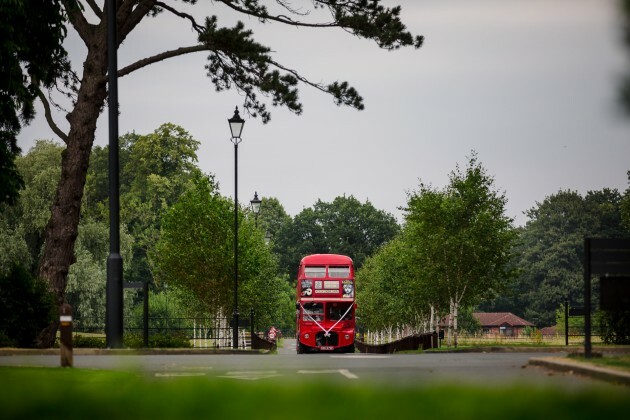 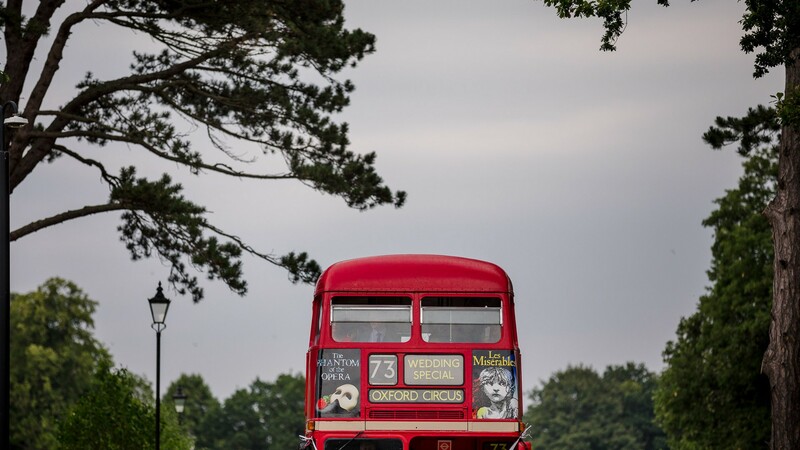 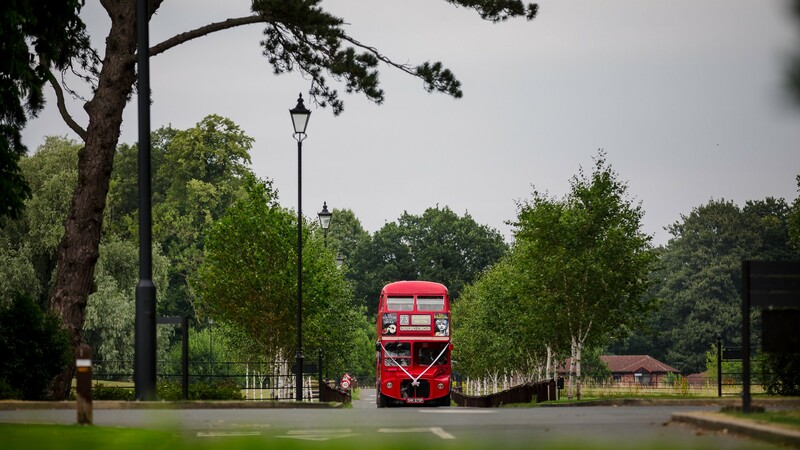 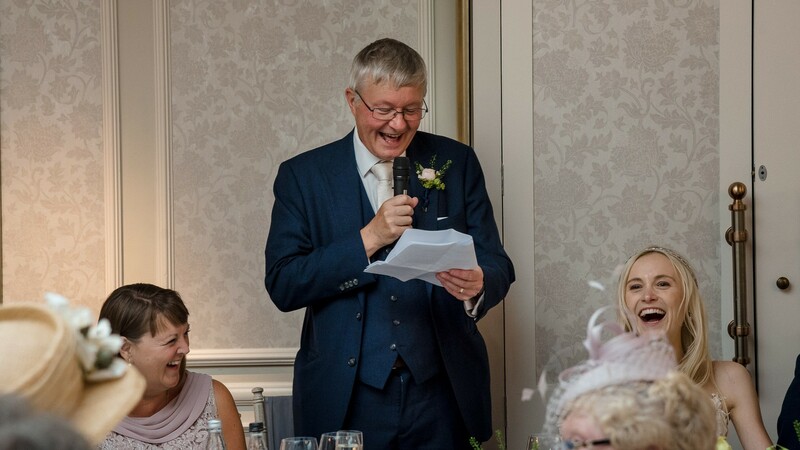 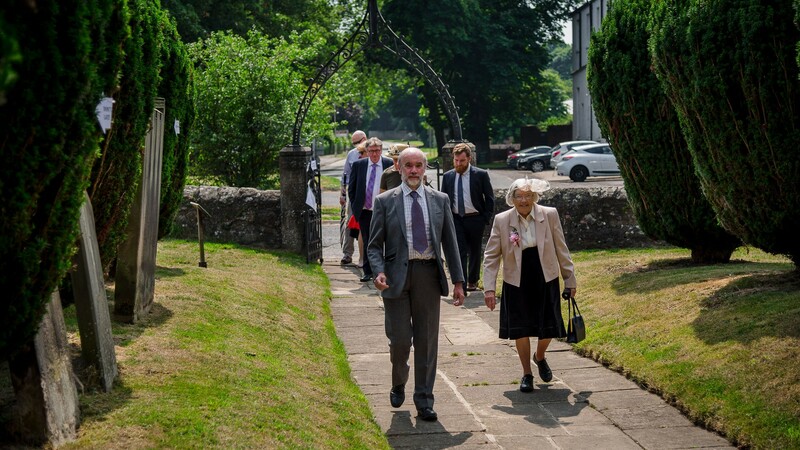 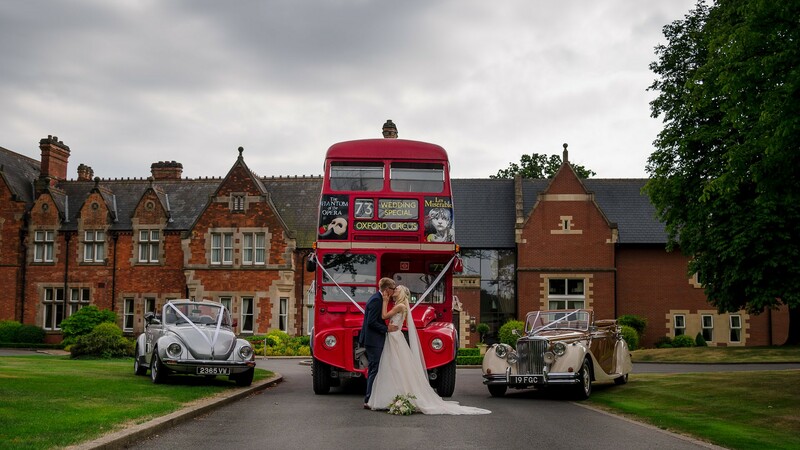 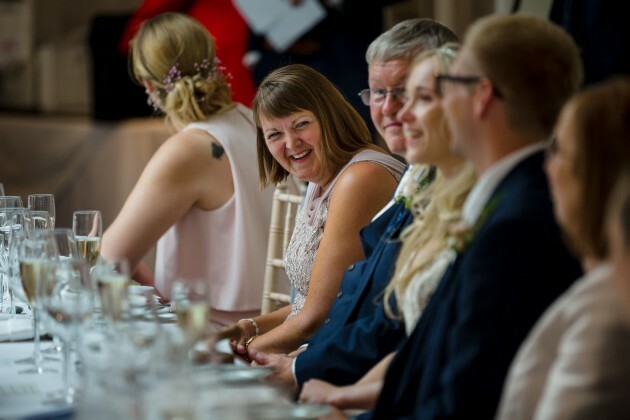 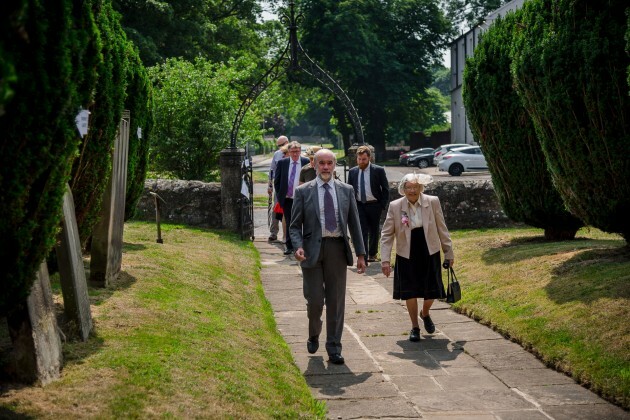 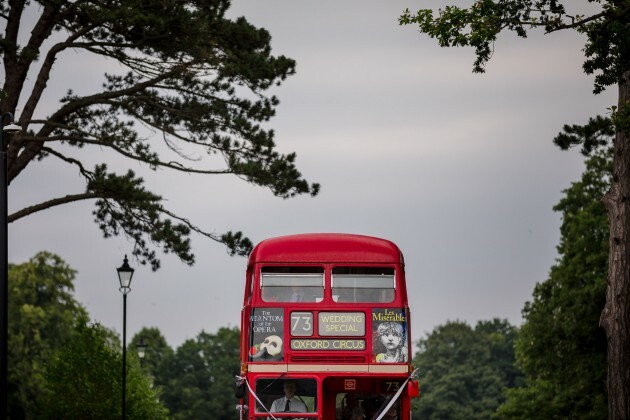 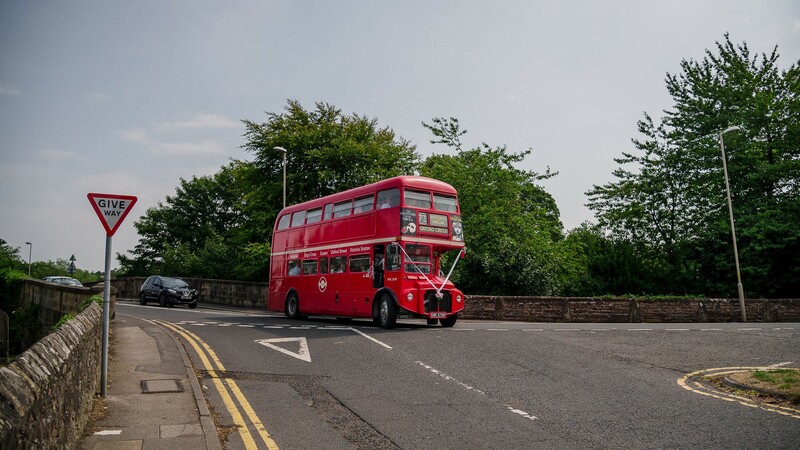 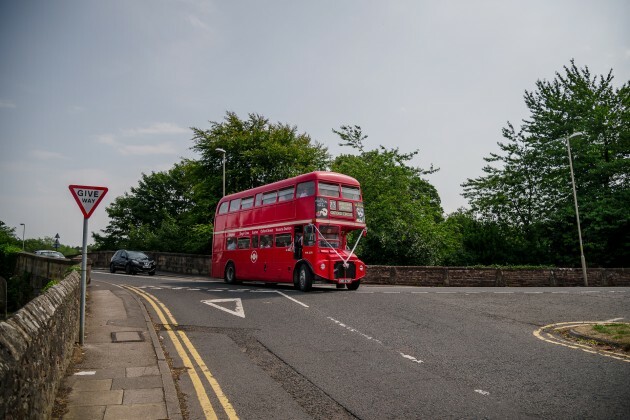 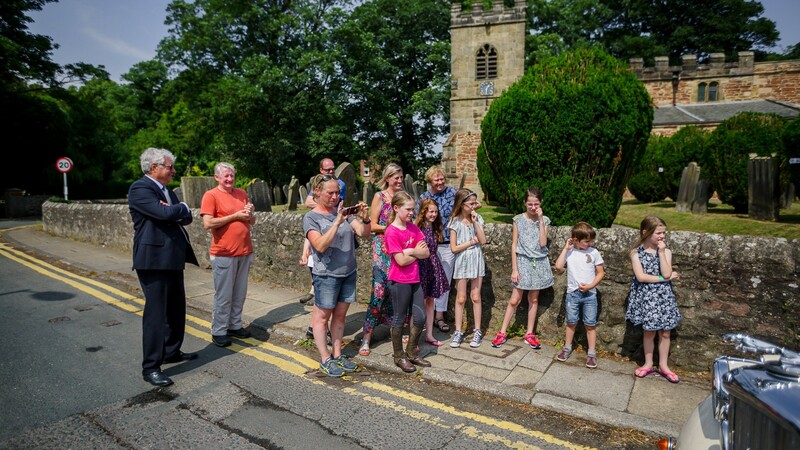 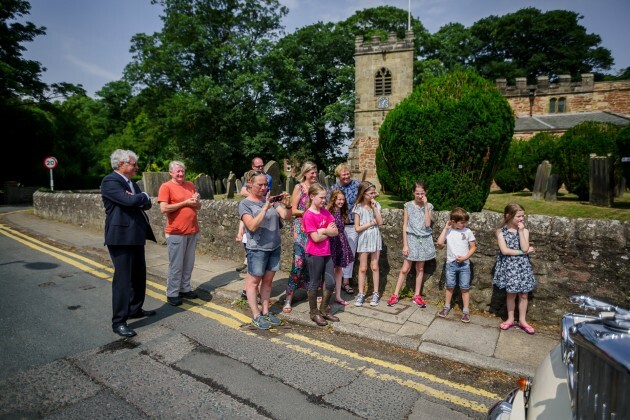 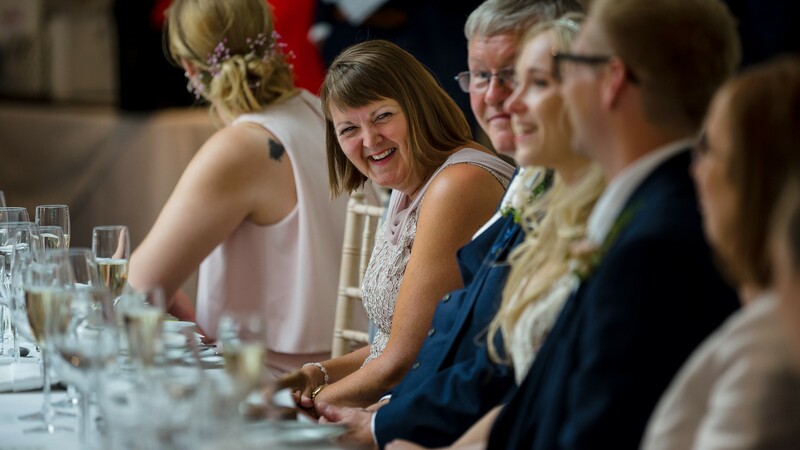 After a lovely wedding ceremony at St. Peter's Croft led by our favourite anglican vicar Jenni Lane, the guests were treated to a trip on a red London bus to take them back to Rockliffe Hall. 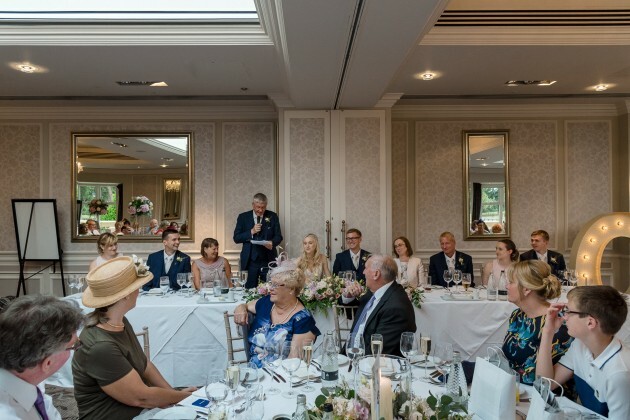 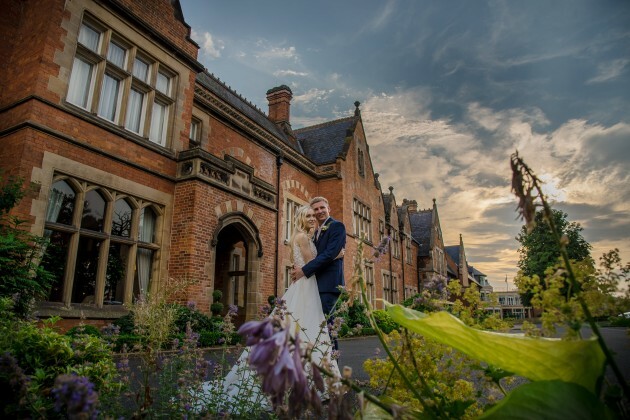 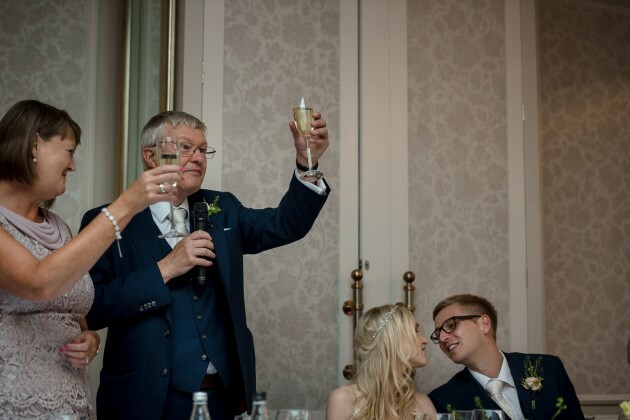 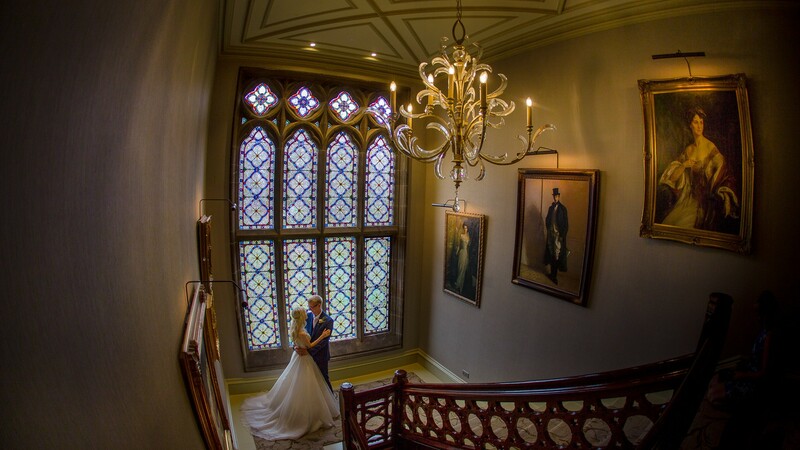 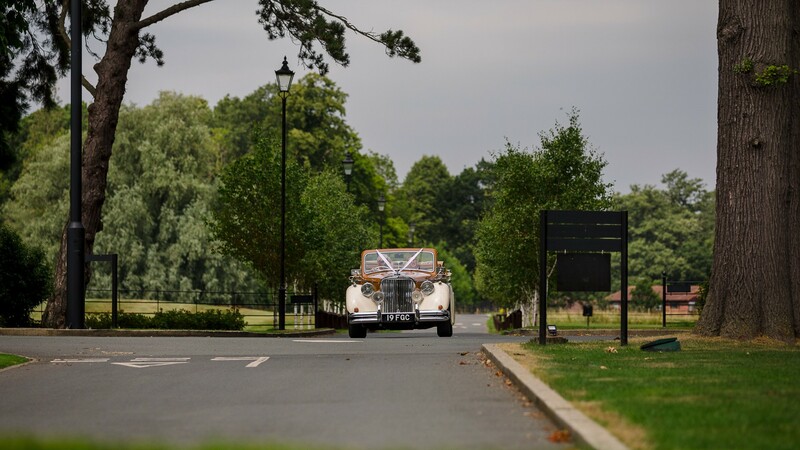 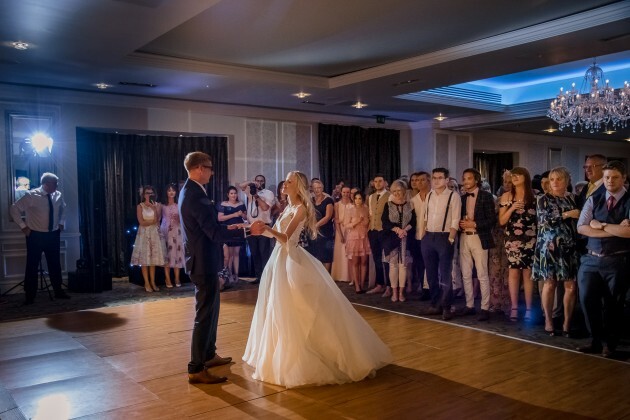 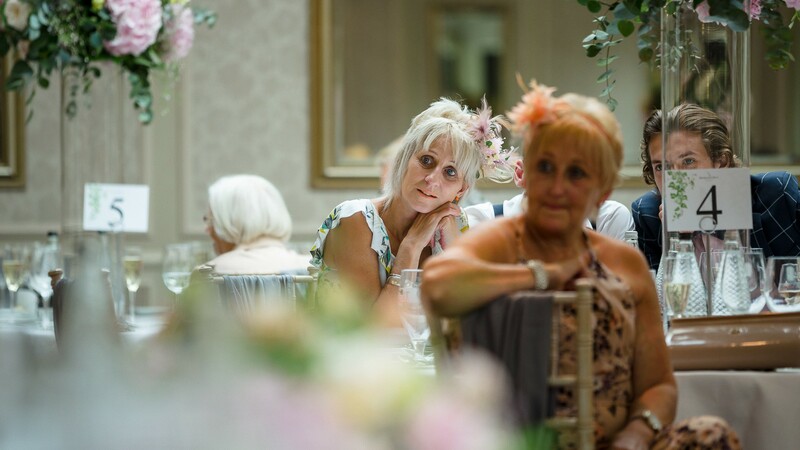 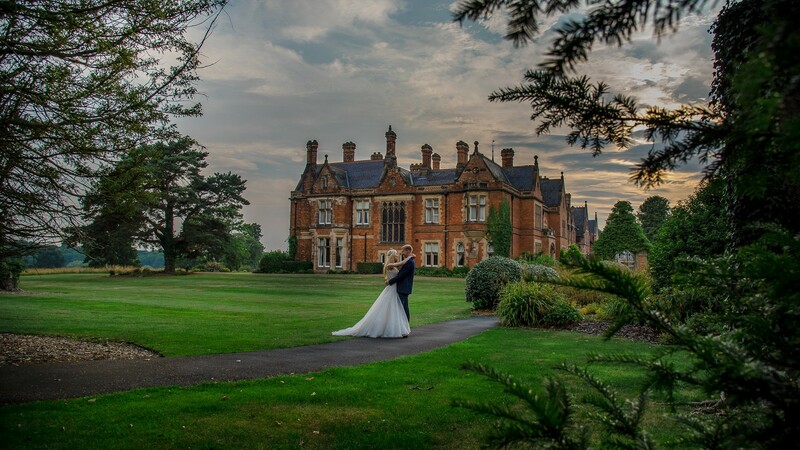 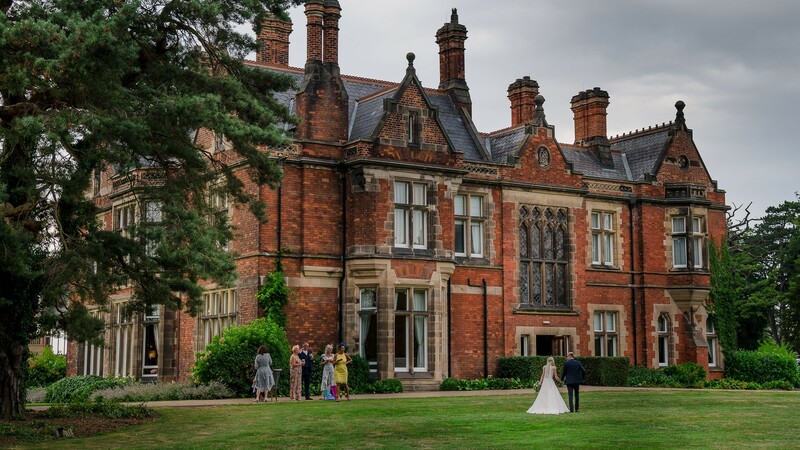 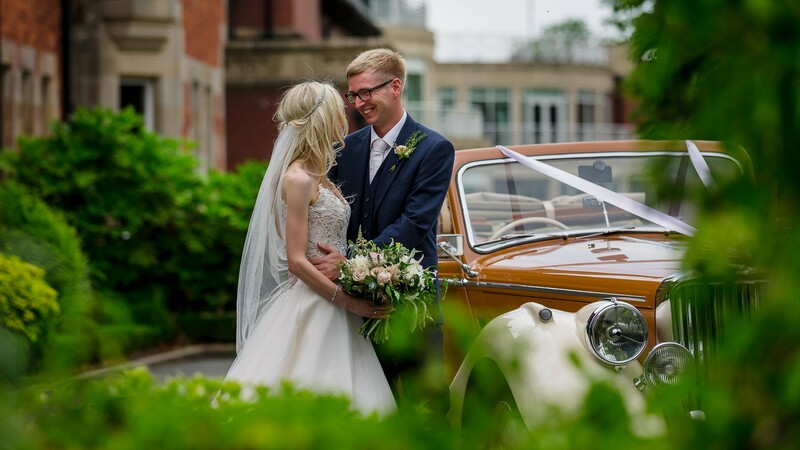 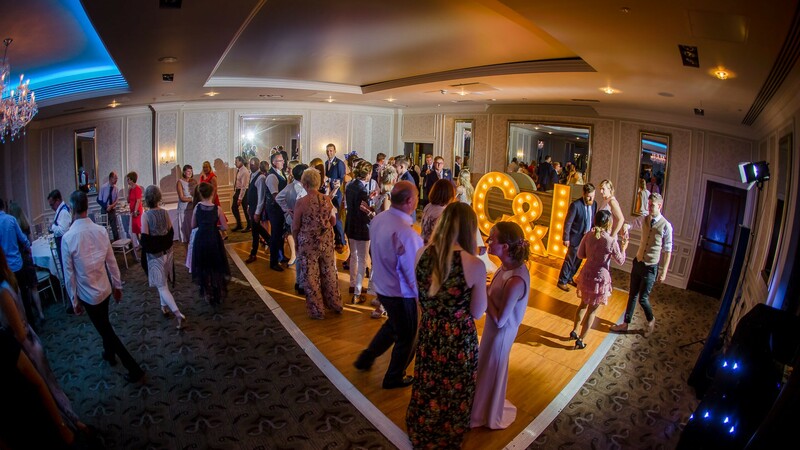 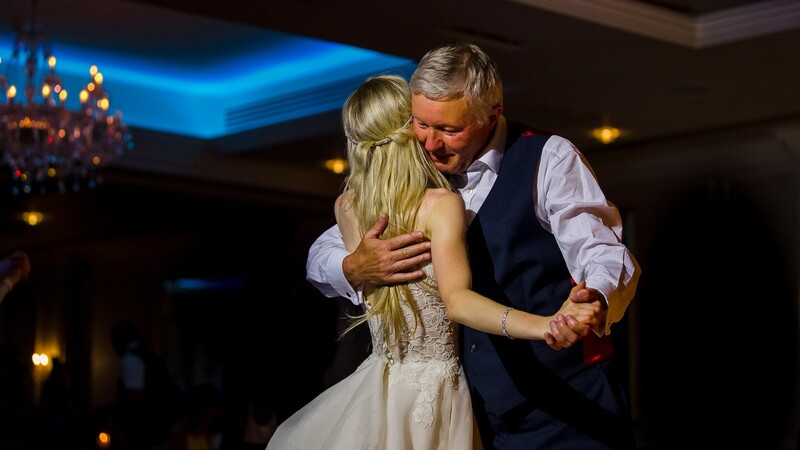 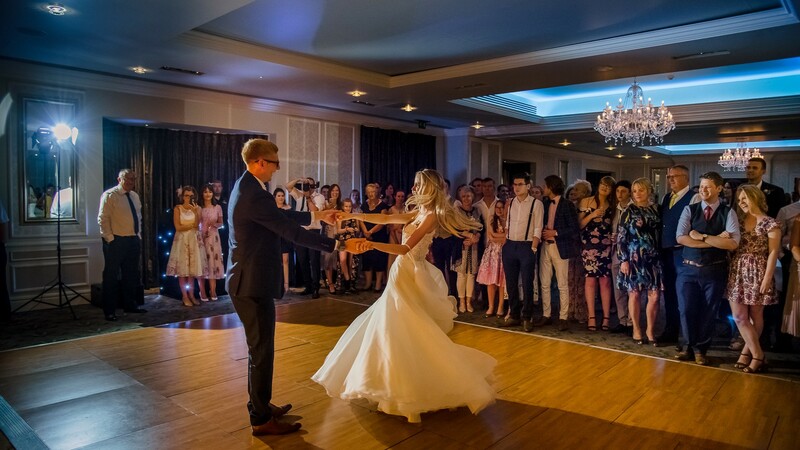 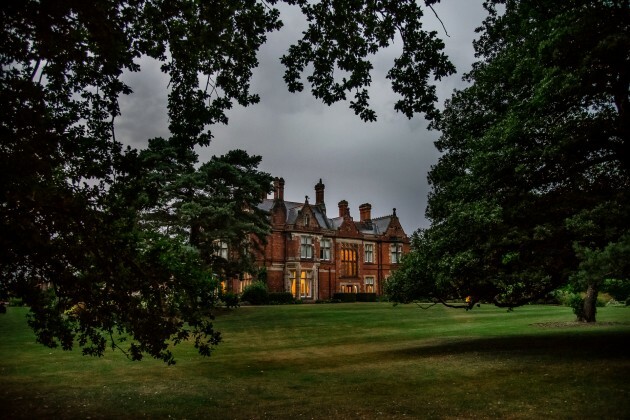 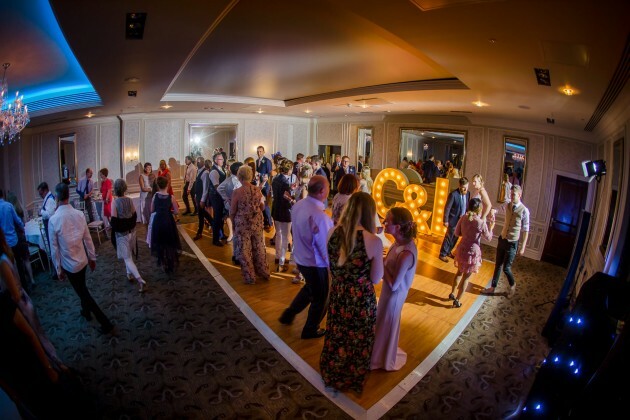 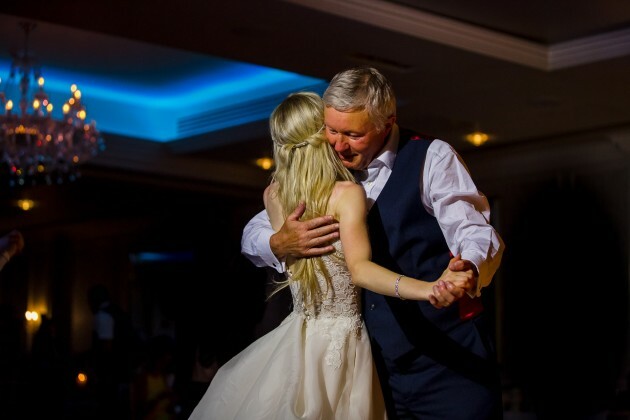 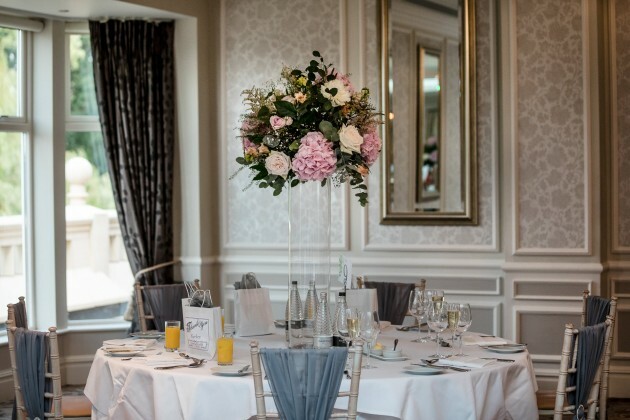 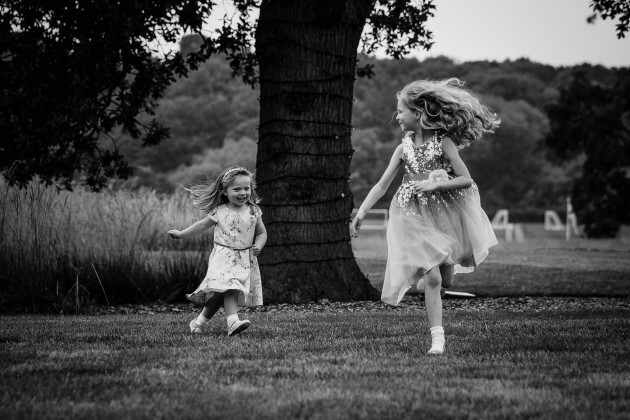 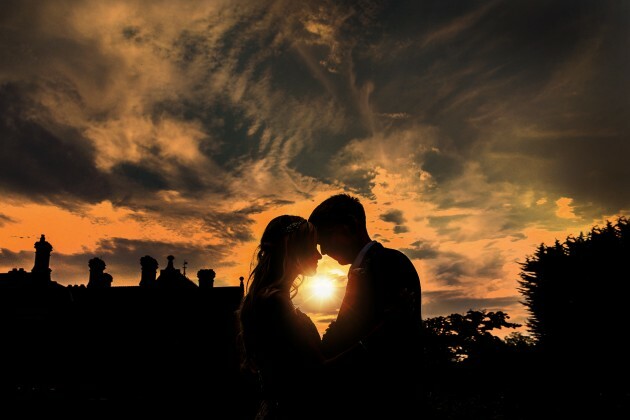 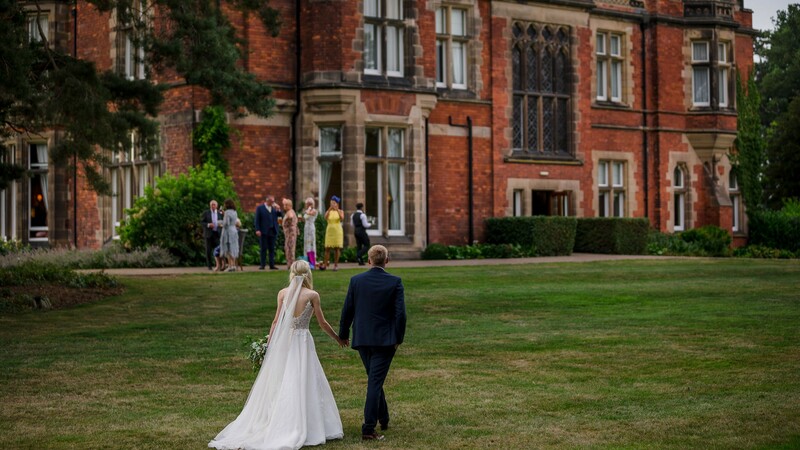 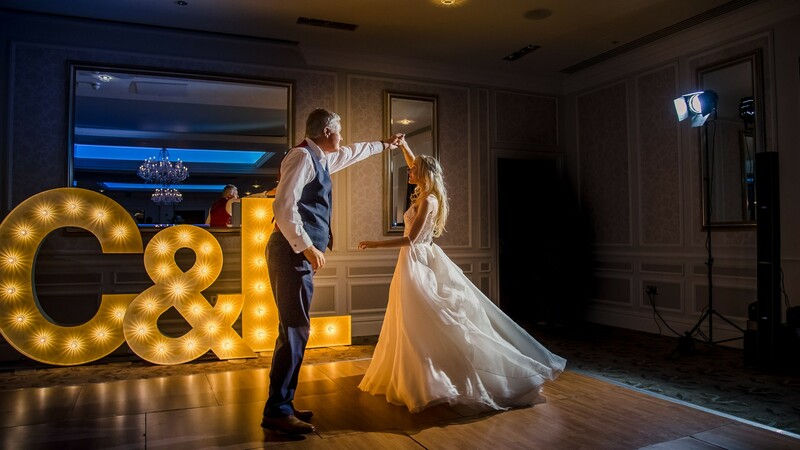 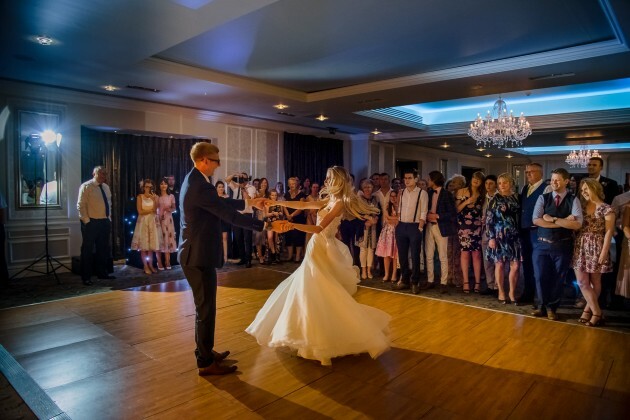 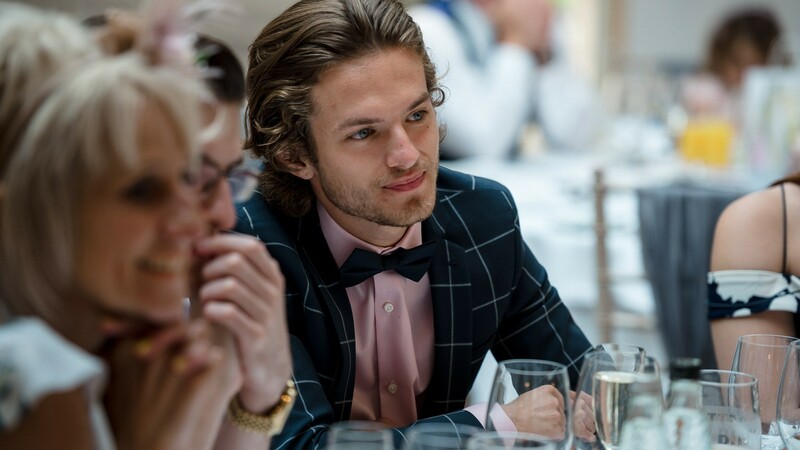 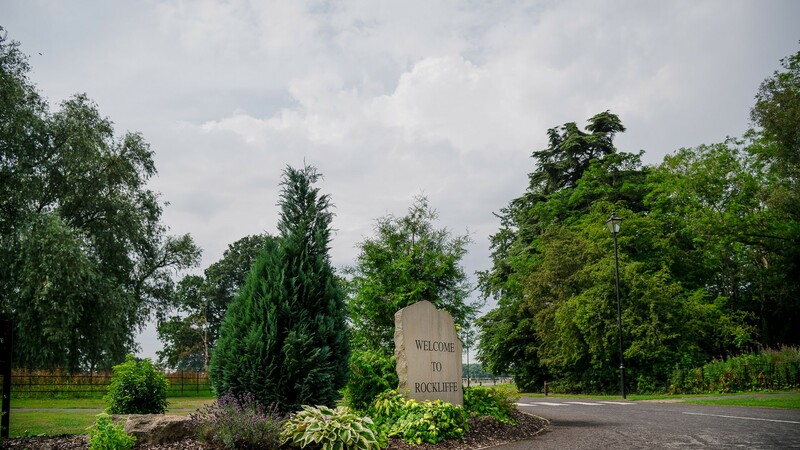 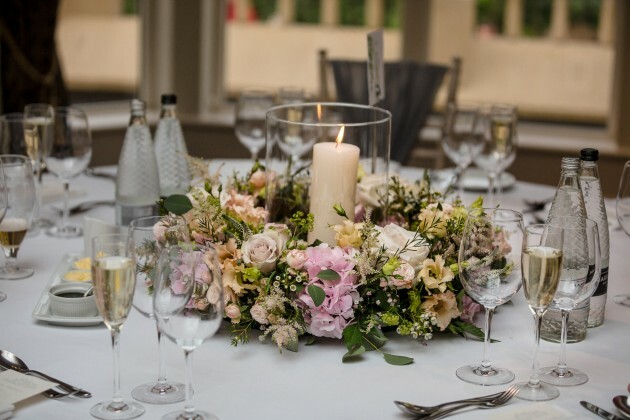 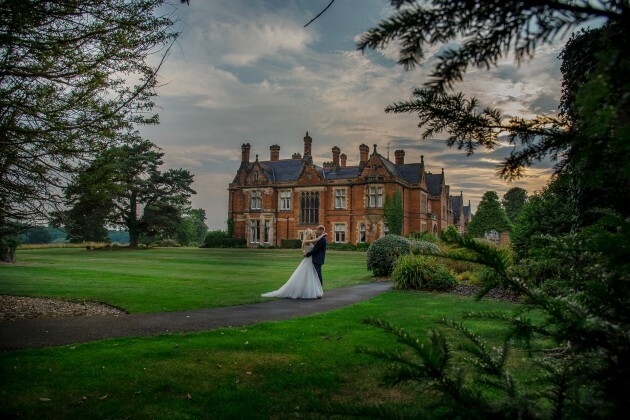 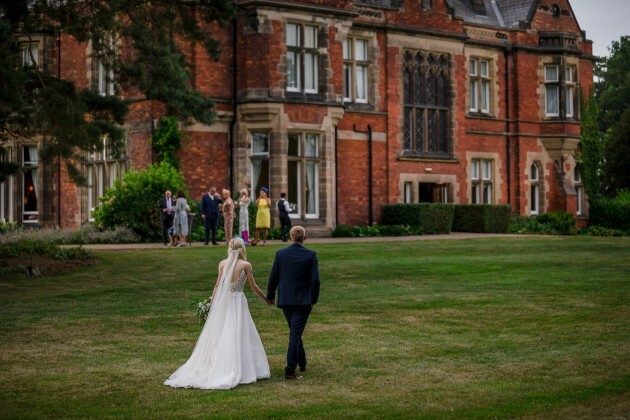 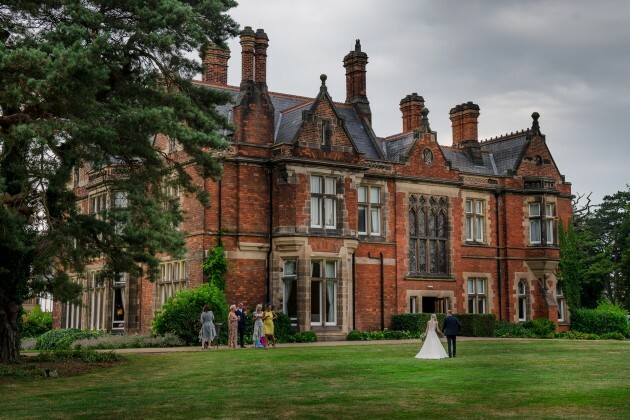 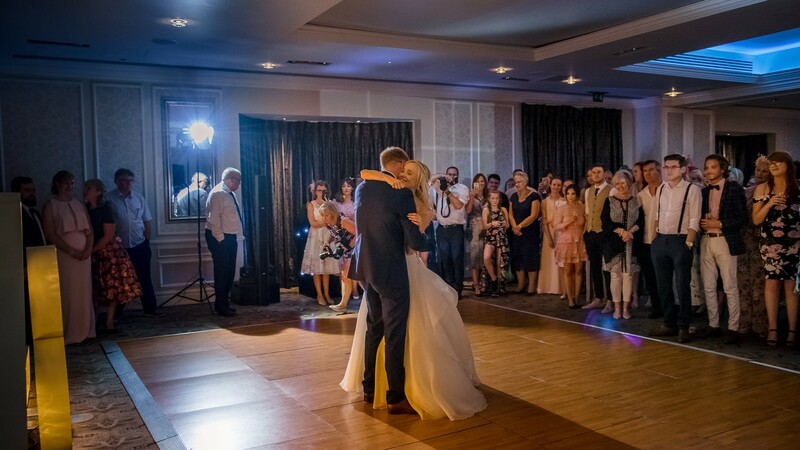 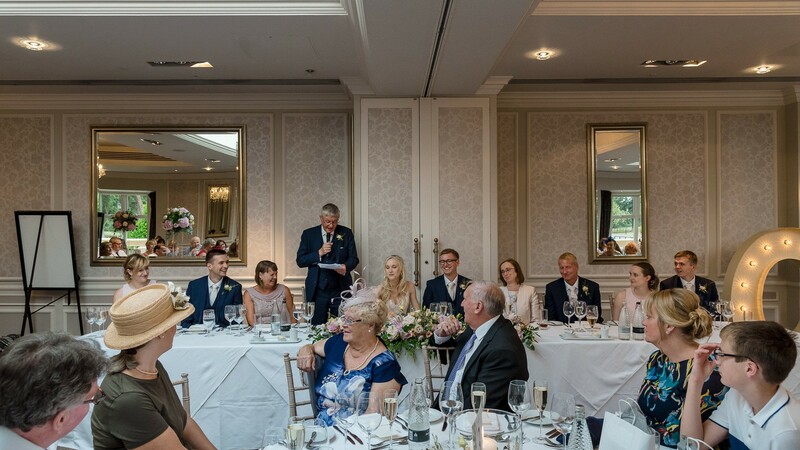 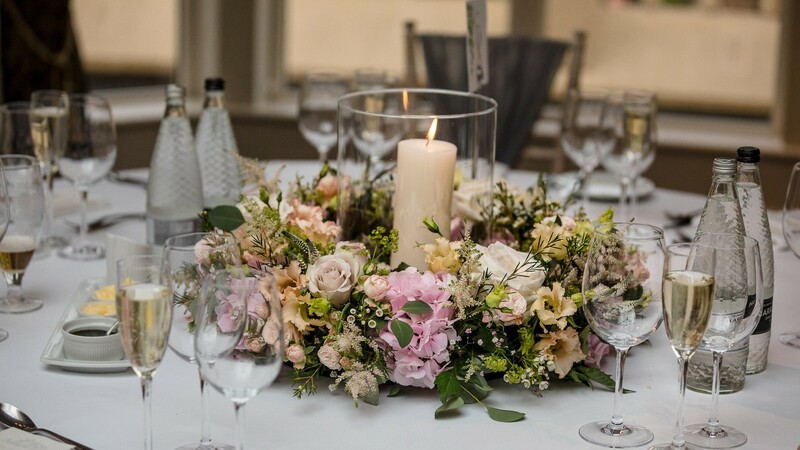 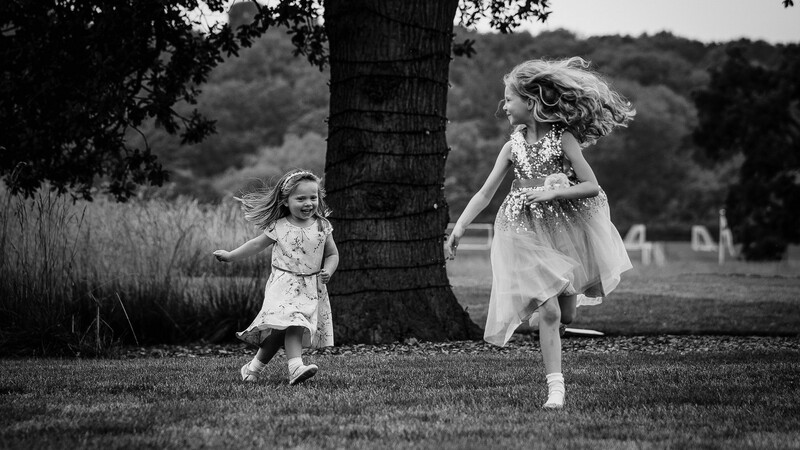 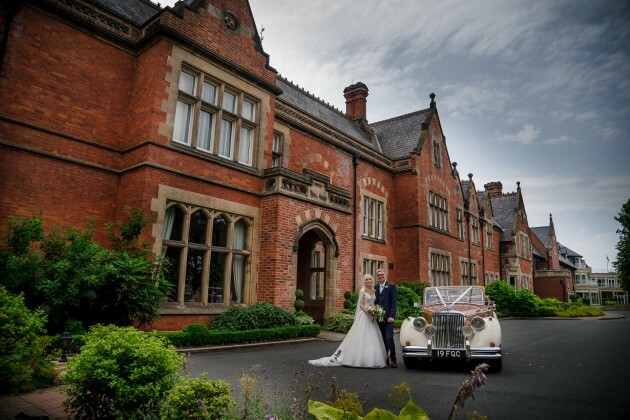 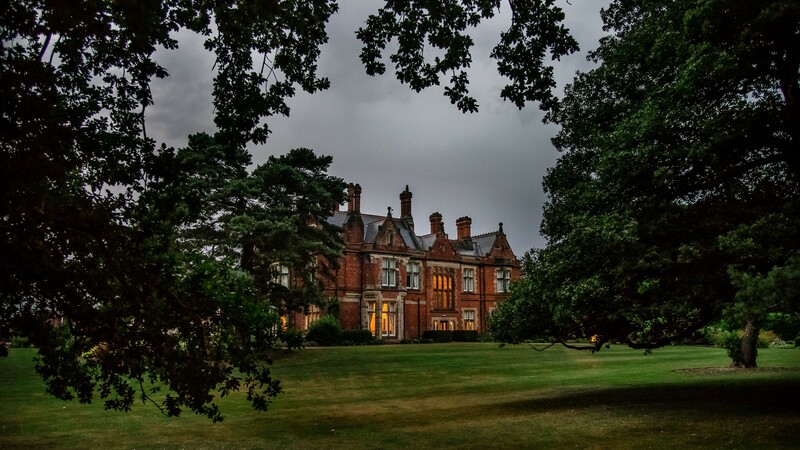 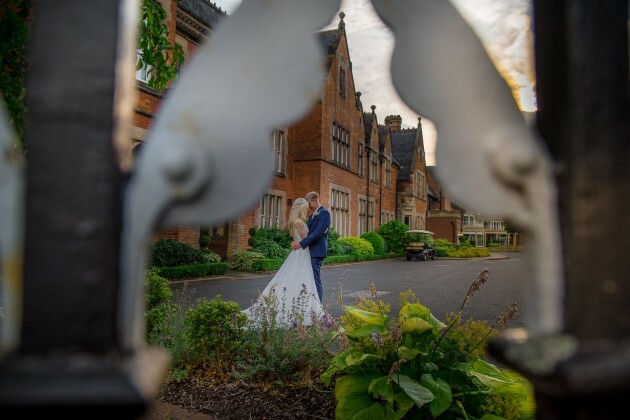 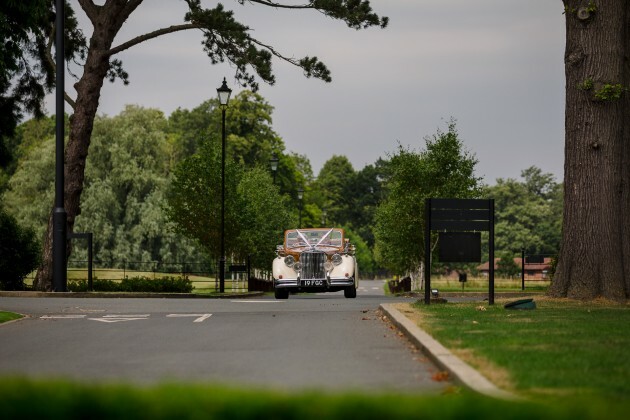 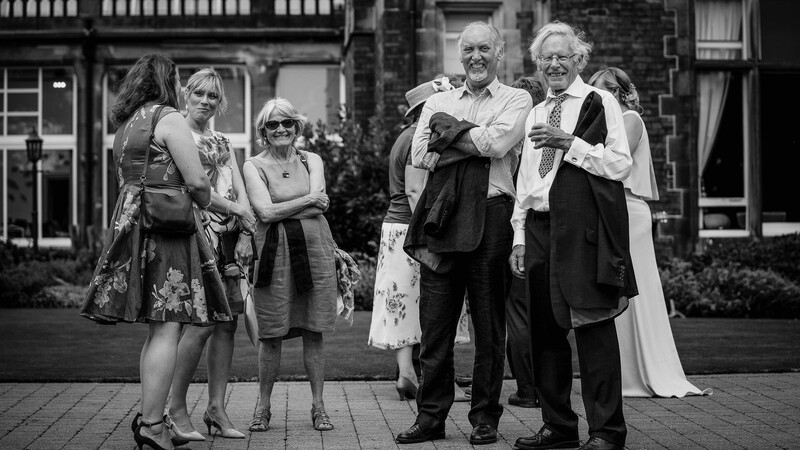 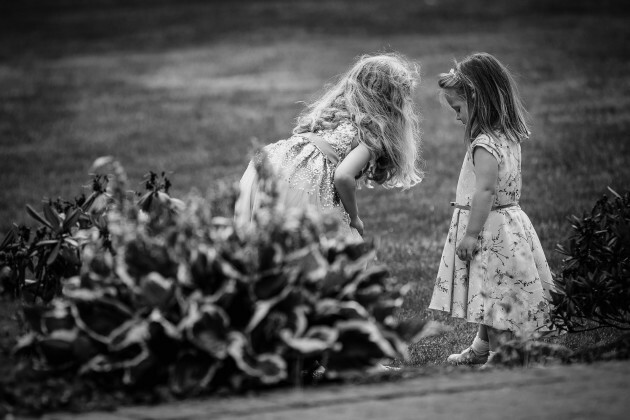 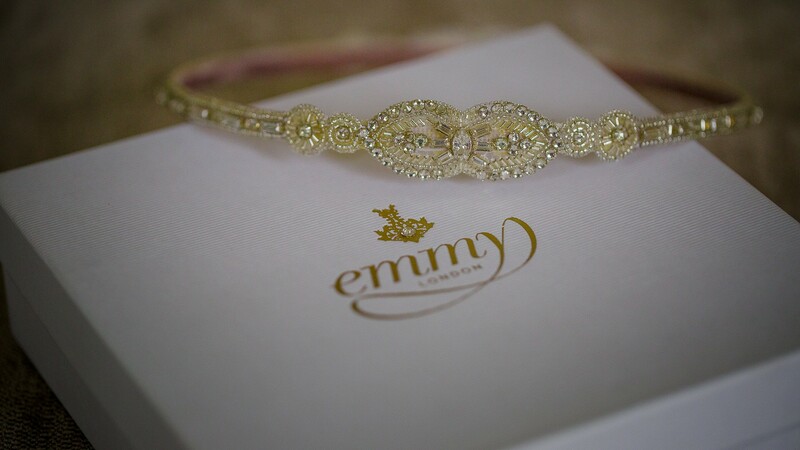 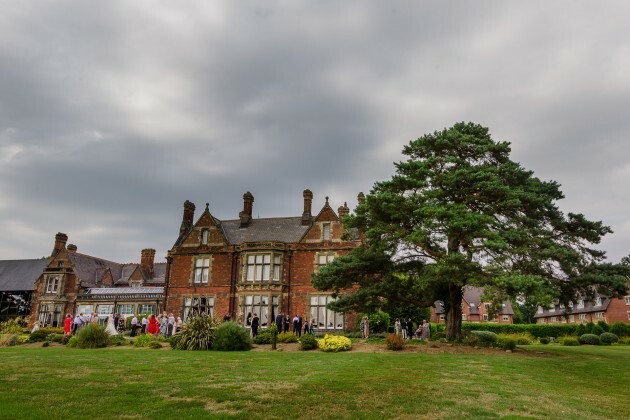 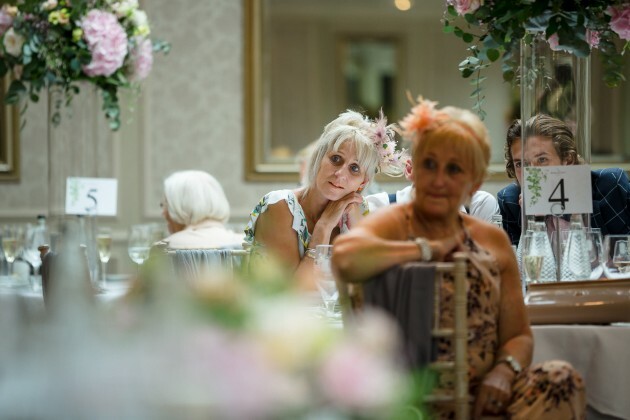 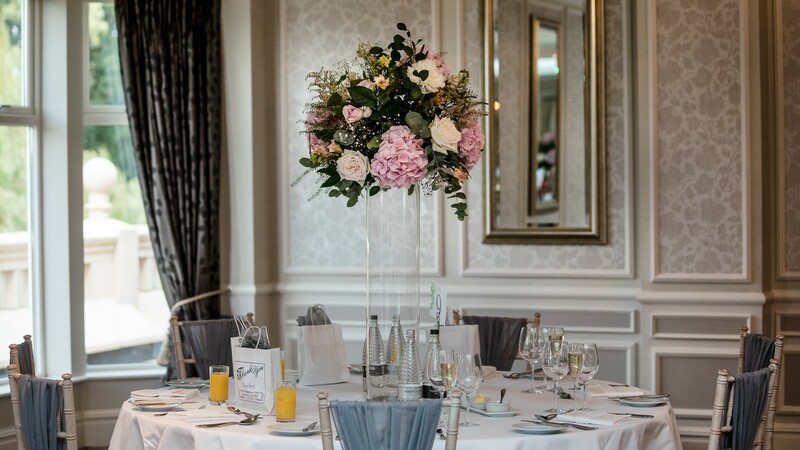 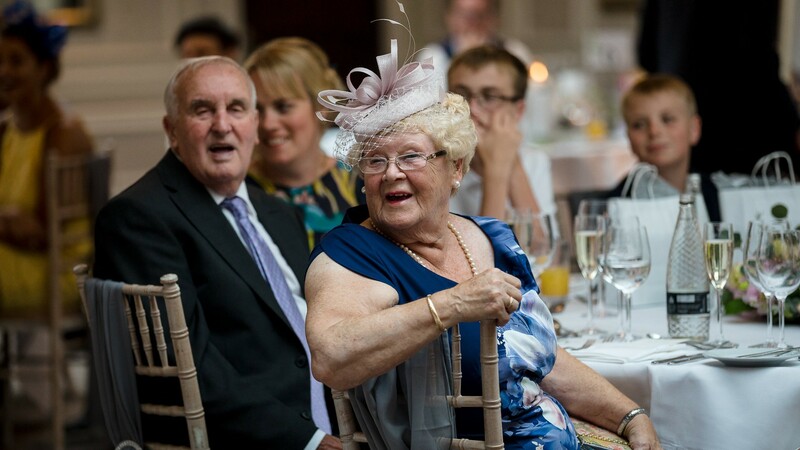 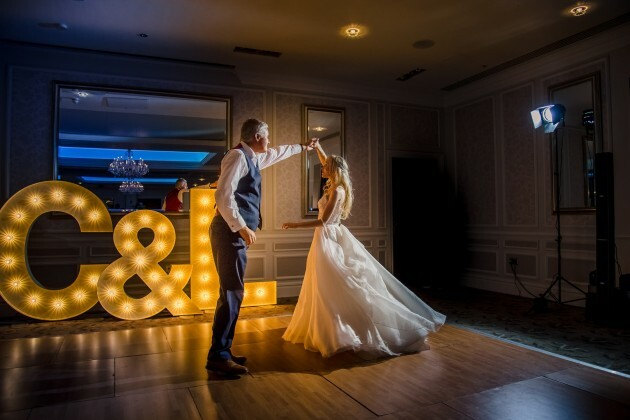 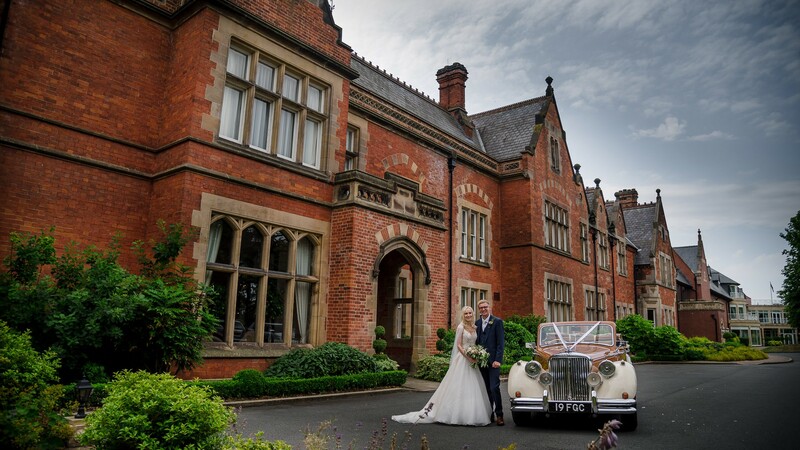 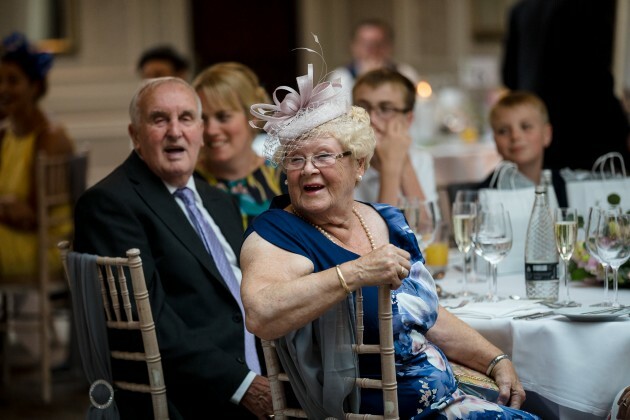 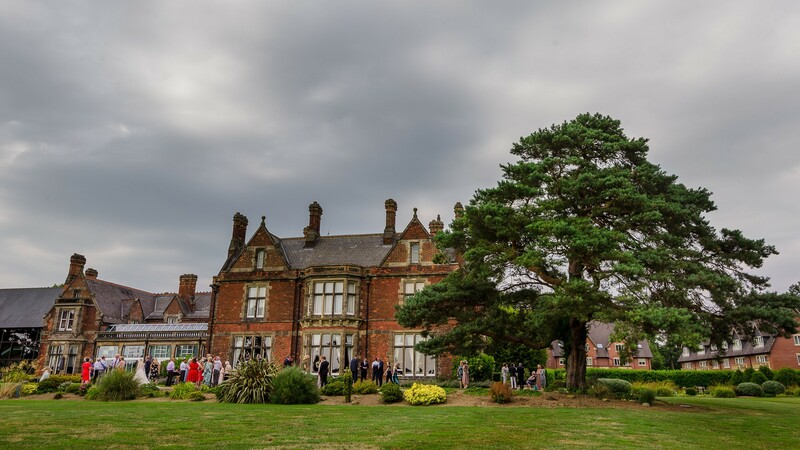 Once there, the Wedding guests experienced the five star Rockliffe Hall treatment with drinks and canapes on the lawn followed by a fabulous meal in the Rockliffe Suite. 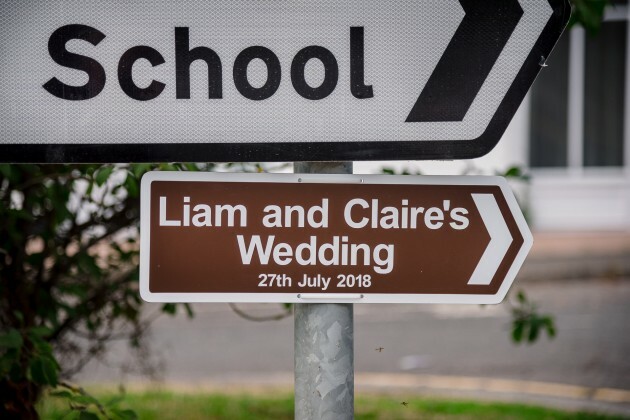 Claire and Liam were great fun to photographed but most of all he had a wonderful day celebrating with their family and friends.